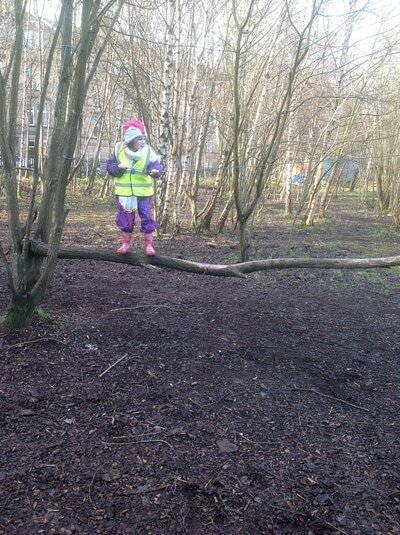 We had such a fun morning exploring the woods. 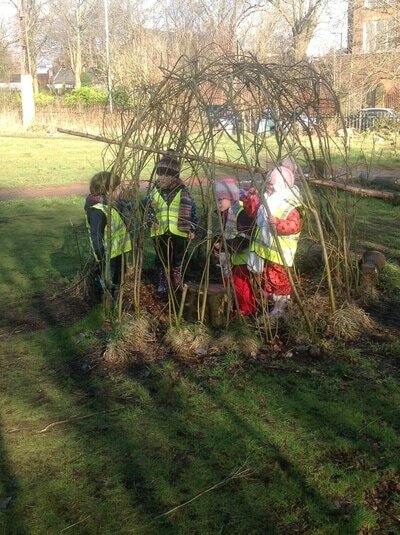 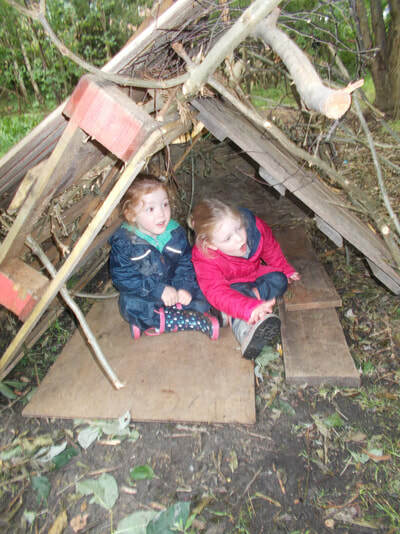 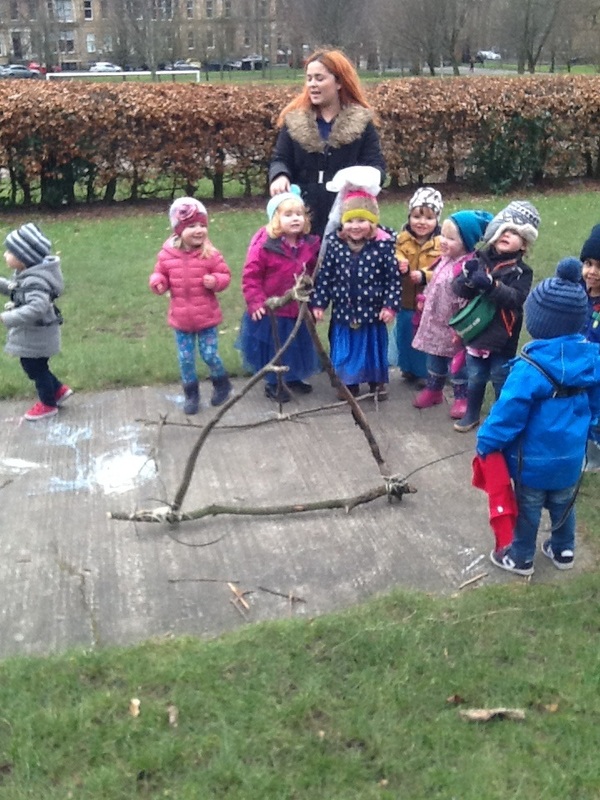 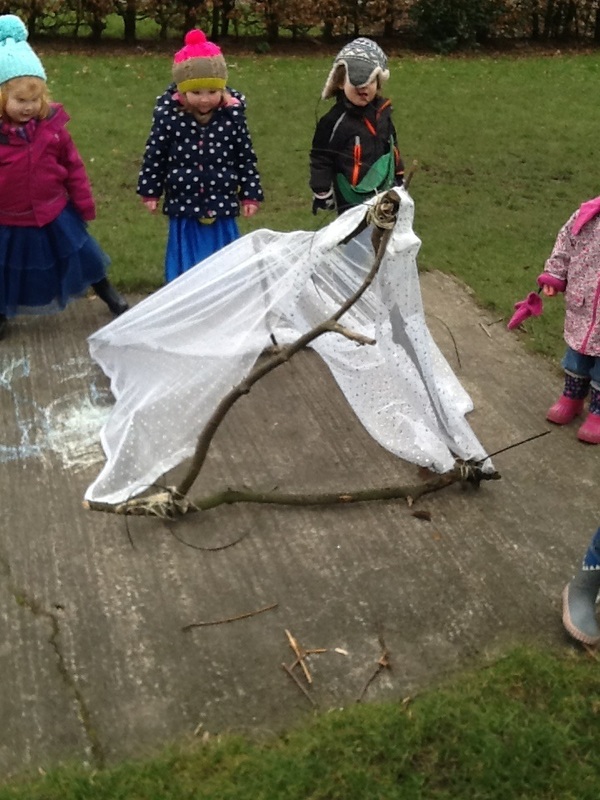 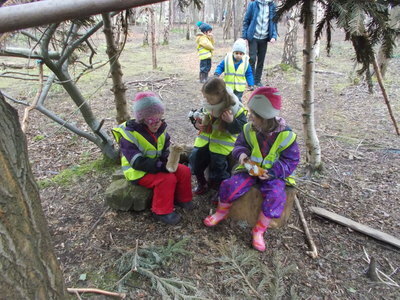 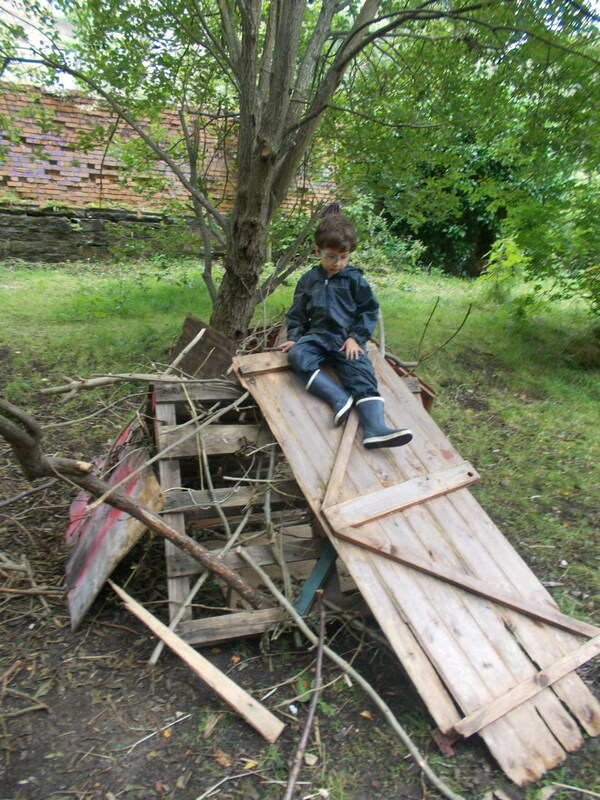 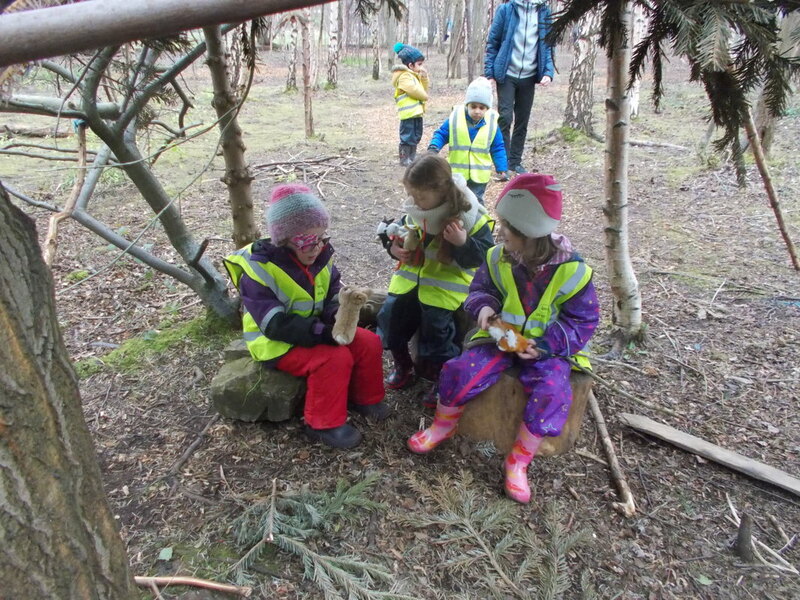 We practiced climbing, built a shelter, painted with mud and made pirate soup! 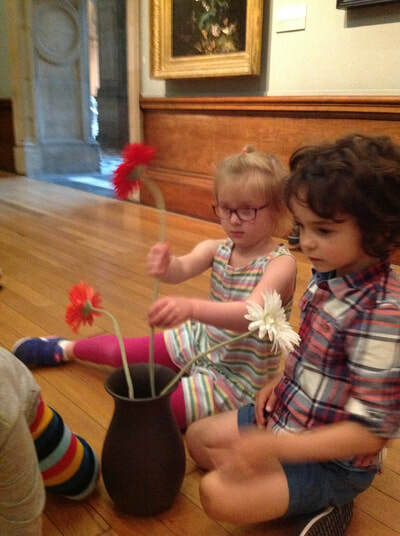 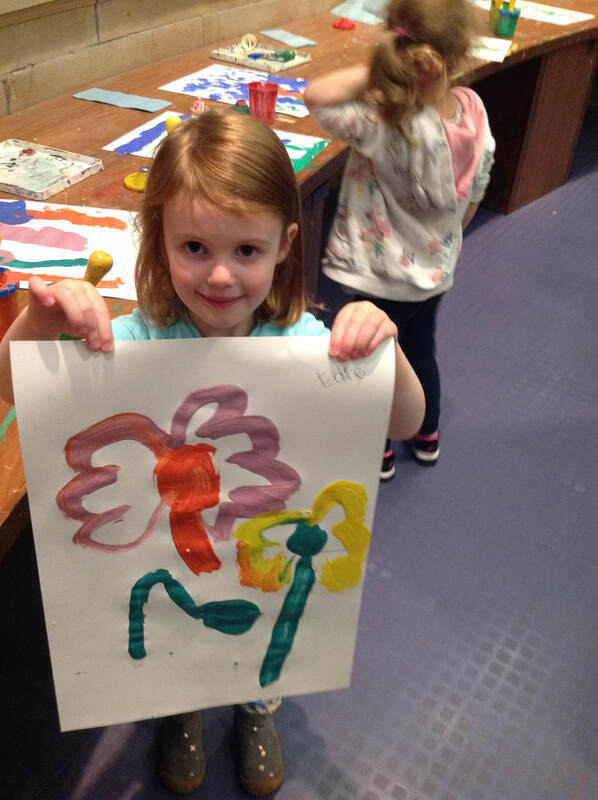 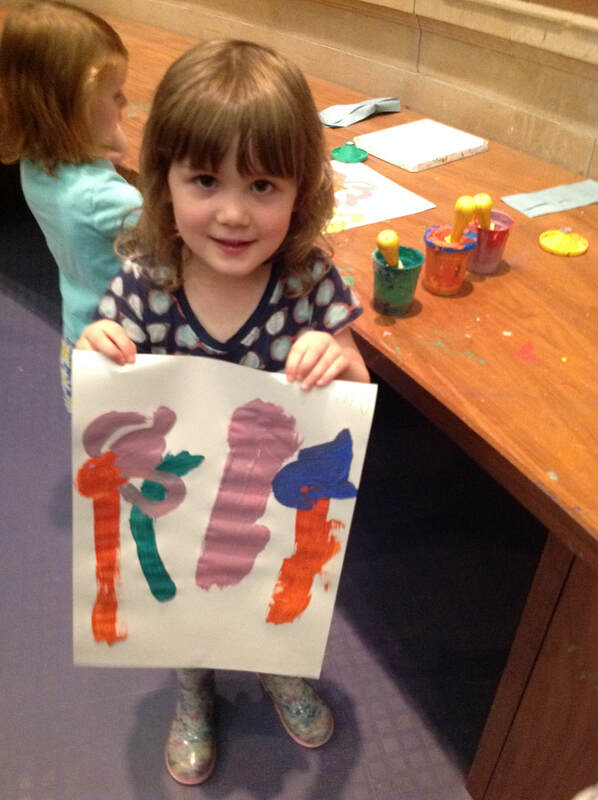 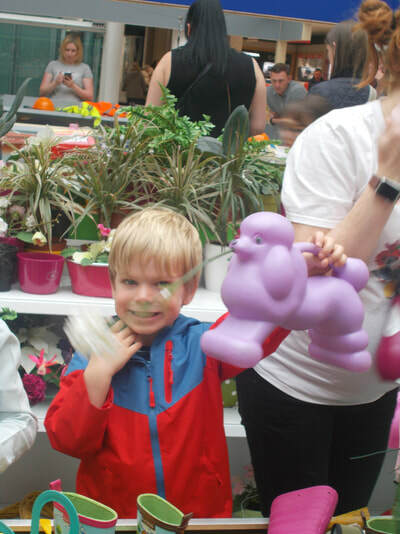 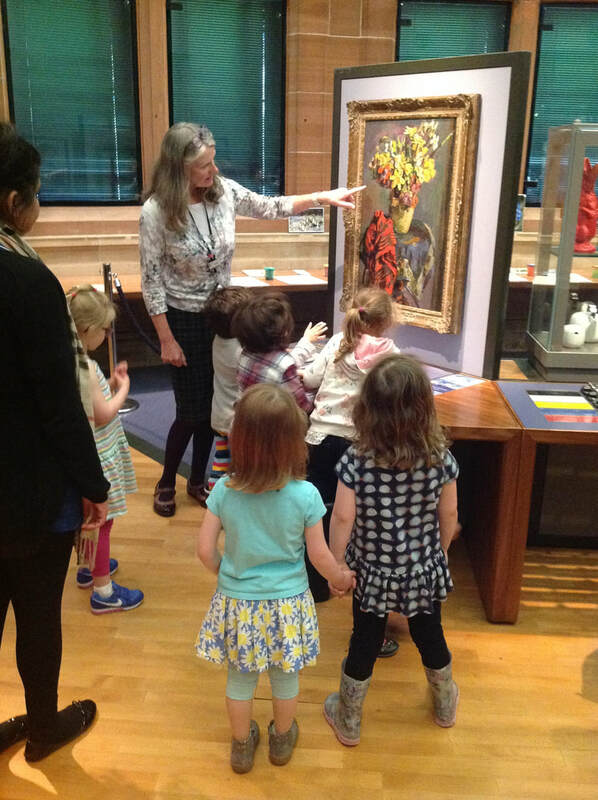 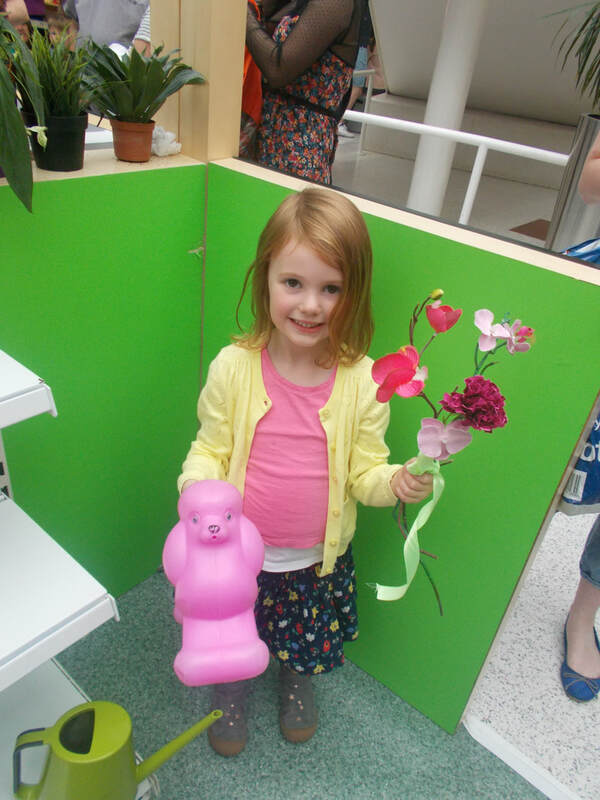 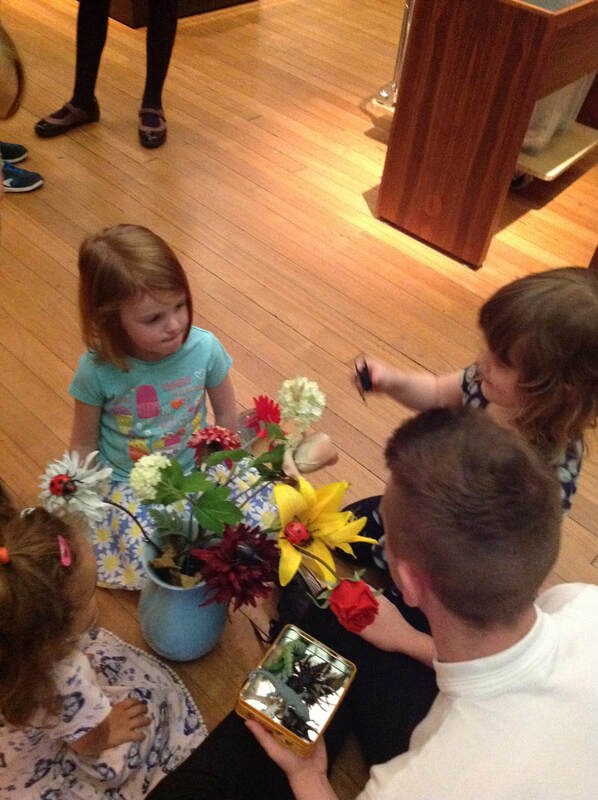 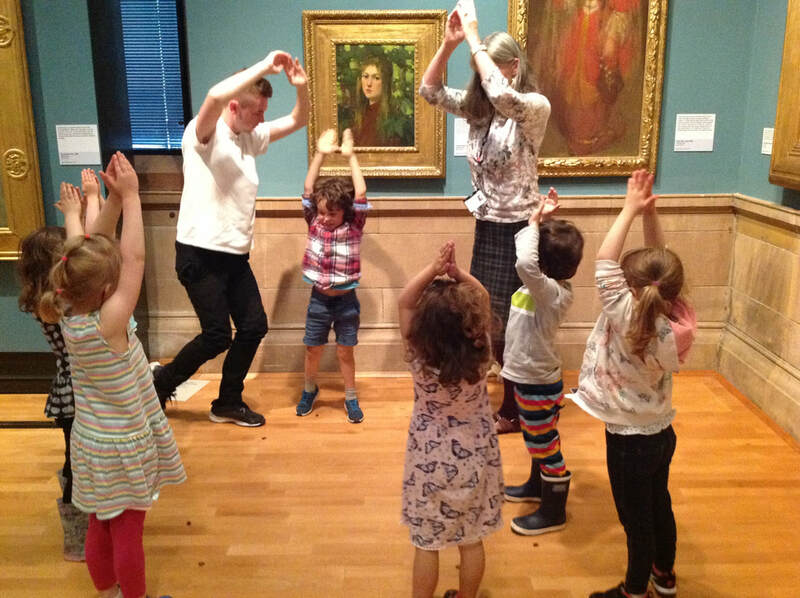 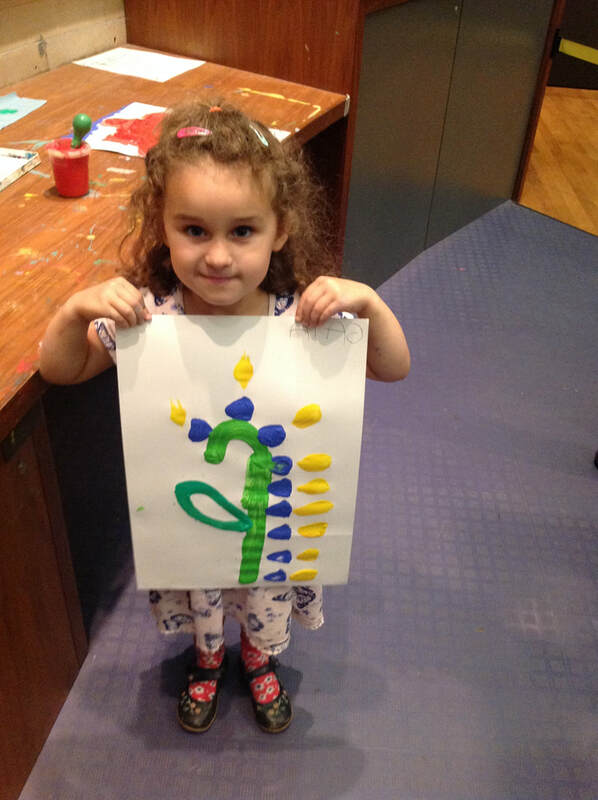 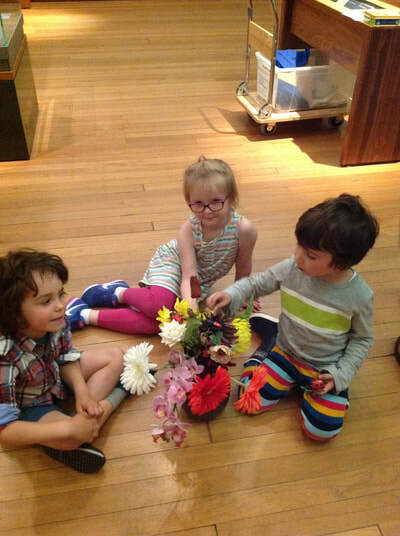 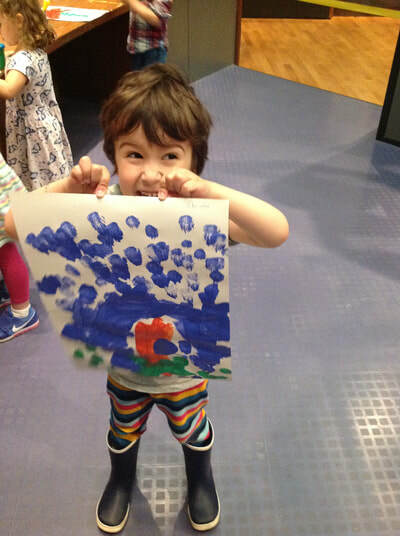 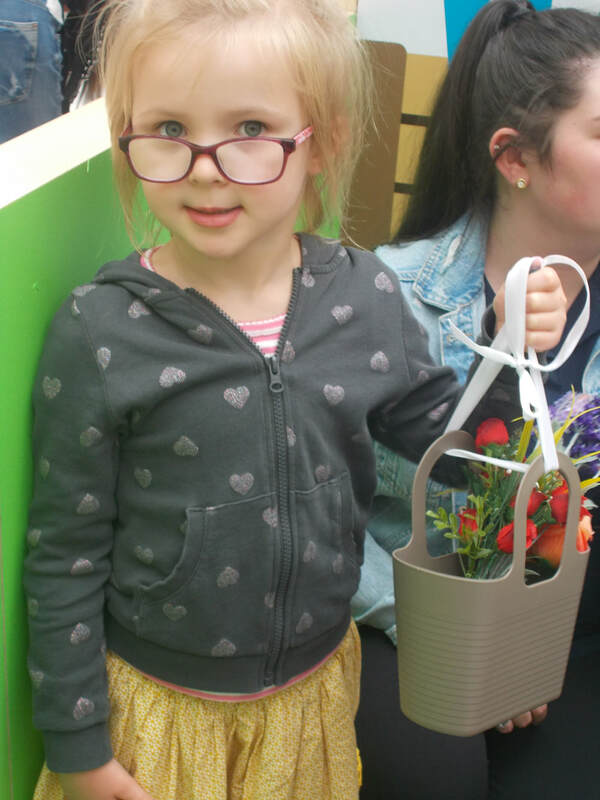 We attended a workshop at Kelvingrove Art Galleries, where we searched for paintings of flowers, created our own flower paintings and did some flower arranging! 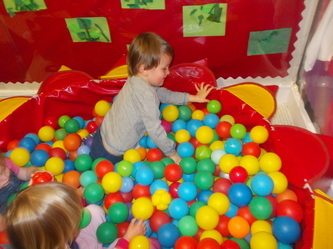 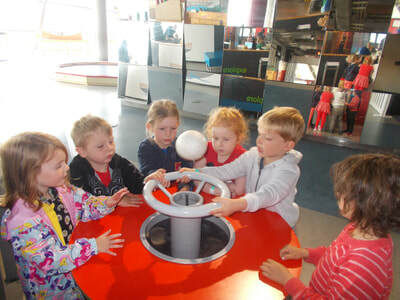 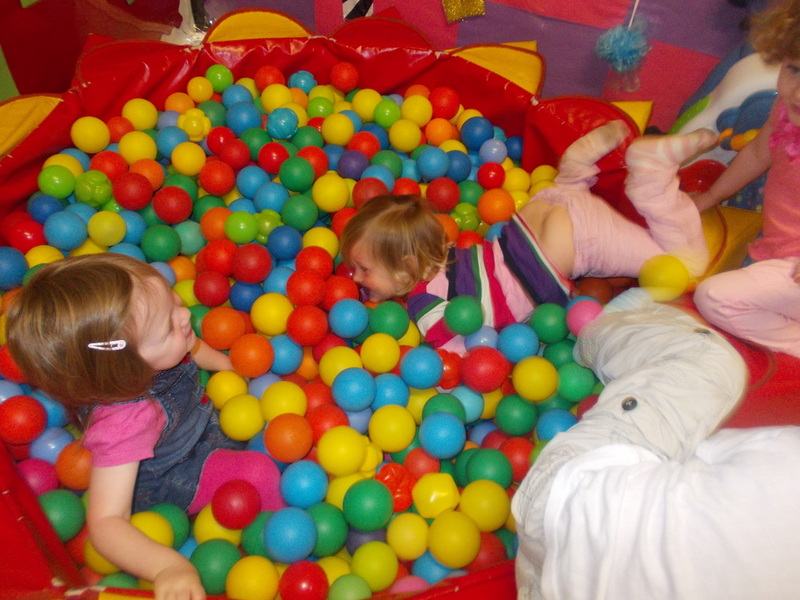 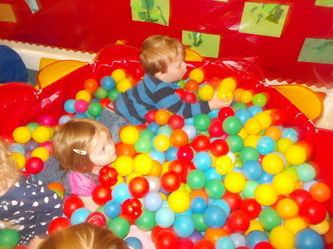 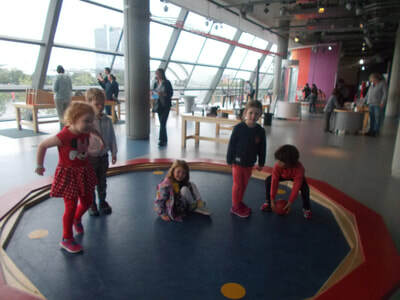 We had great fun learning about planets, forces and our bodies. 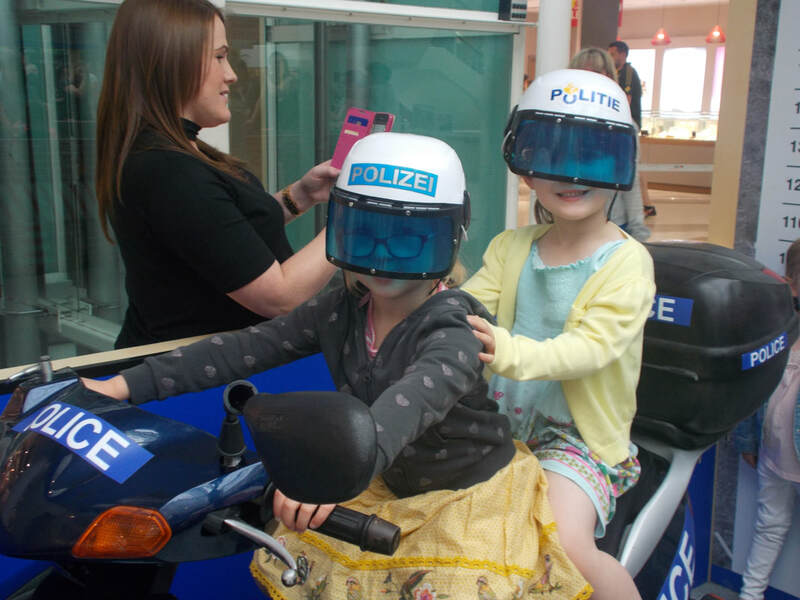 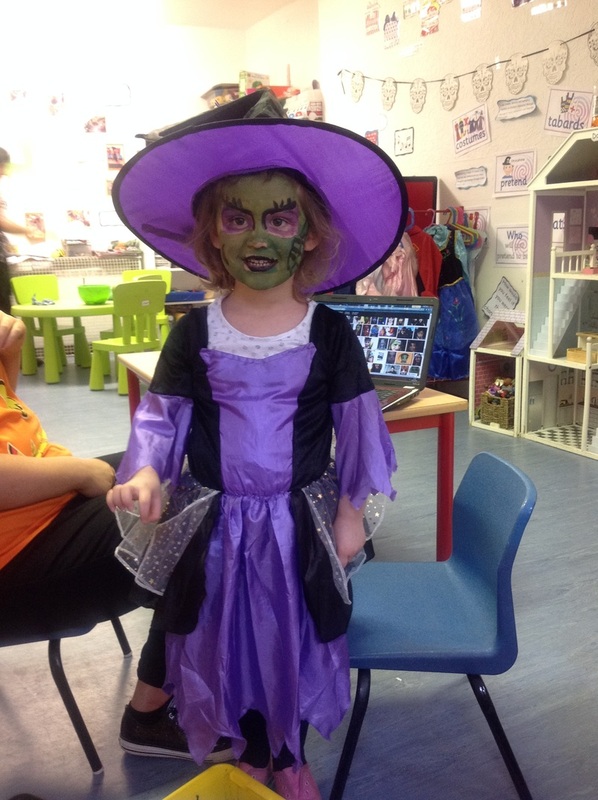 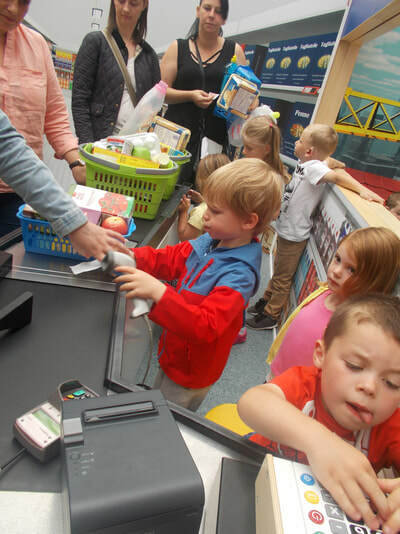 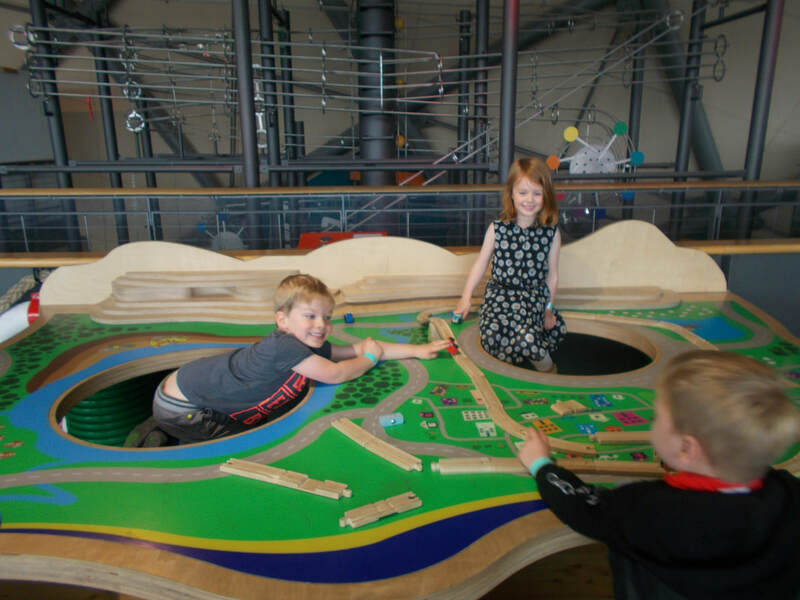 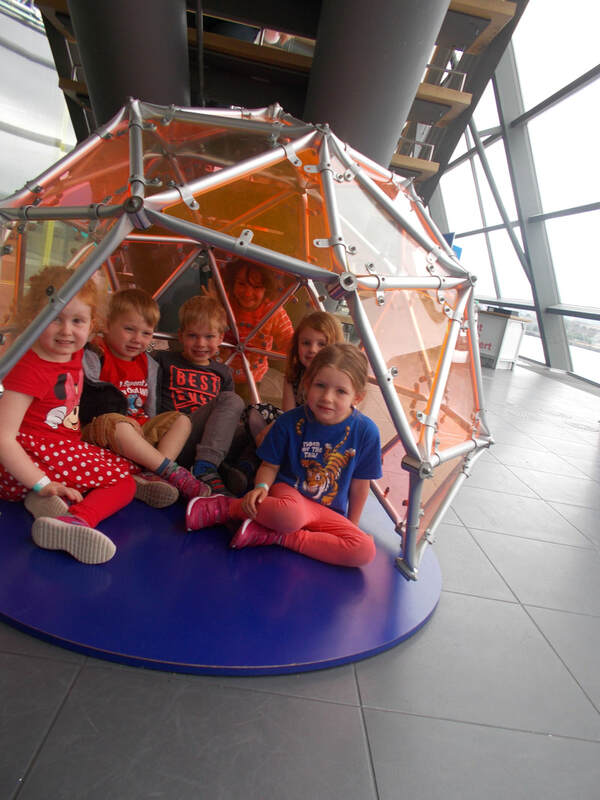 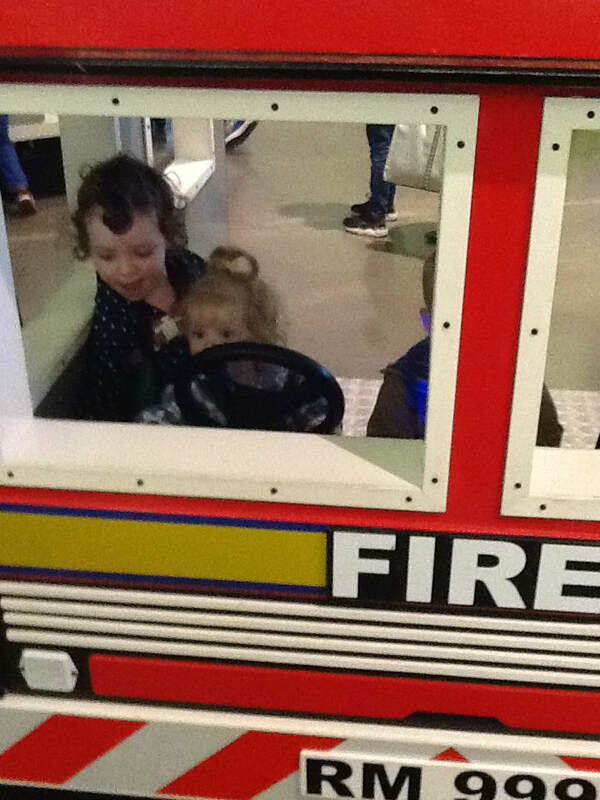 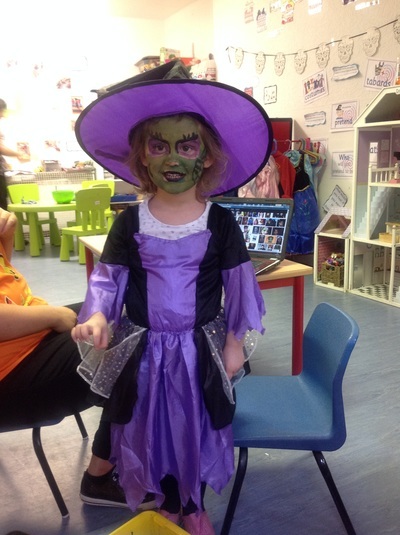 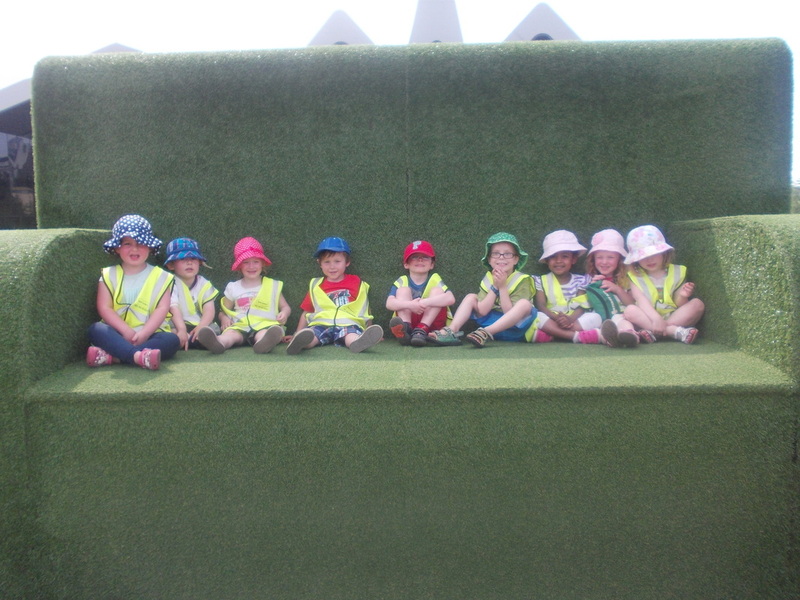 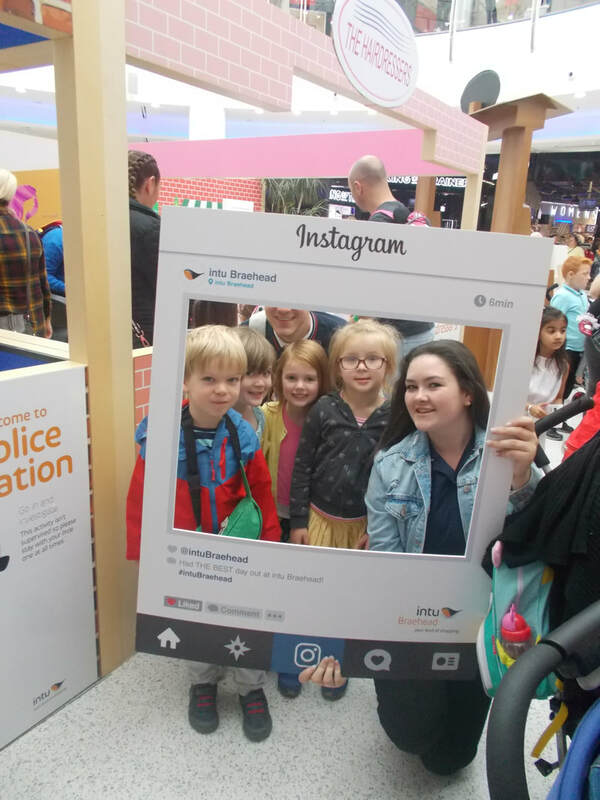 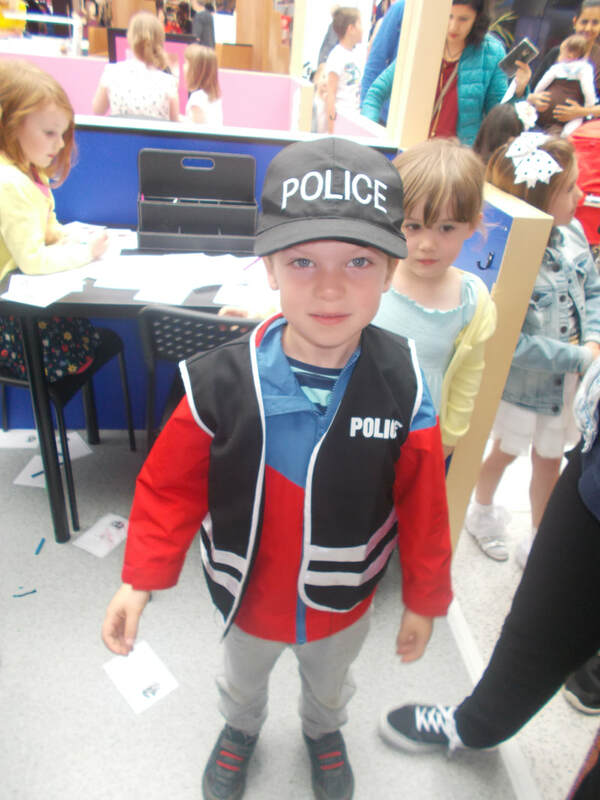 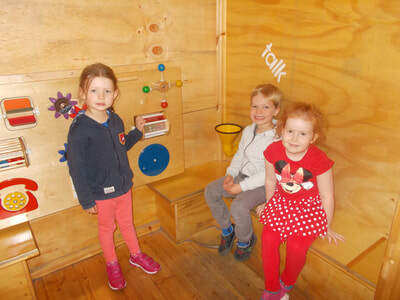 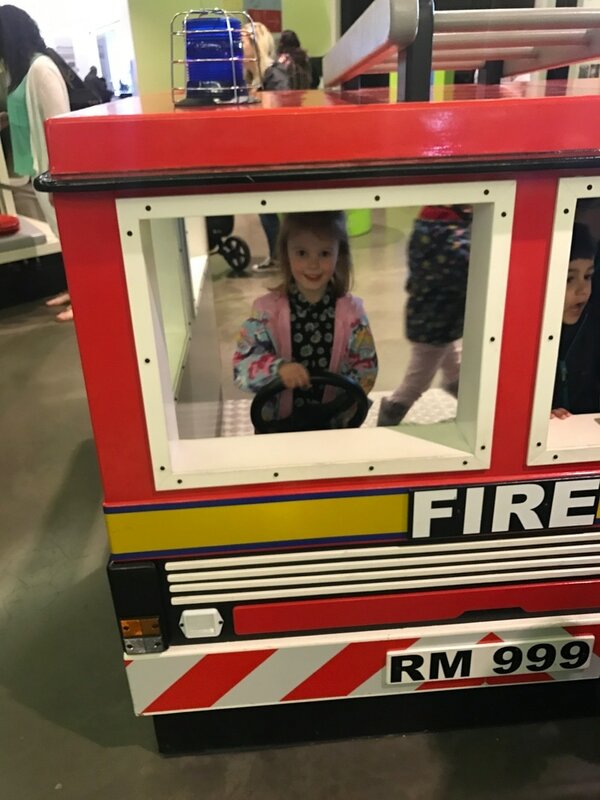 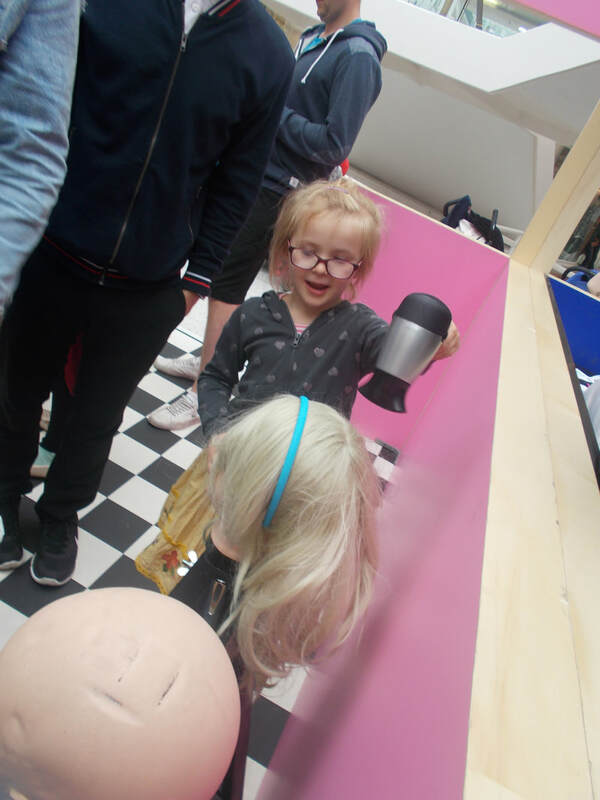 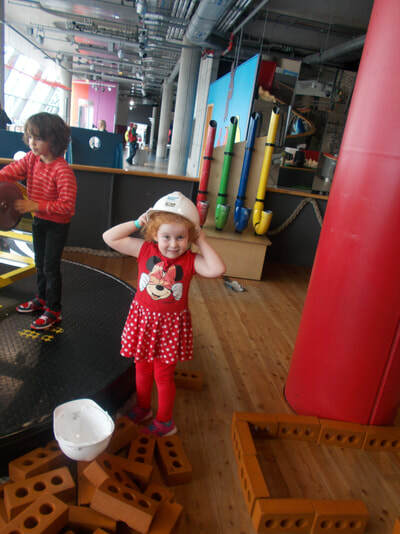 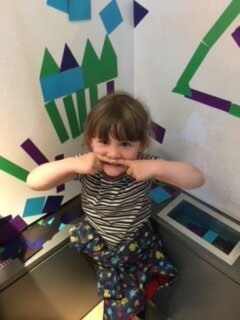 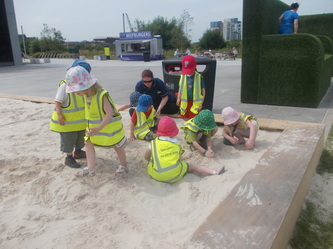 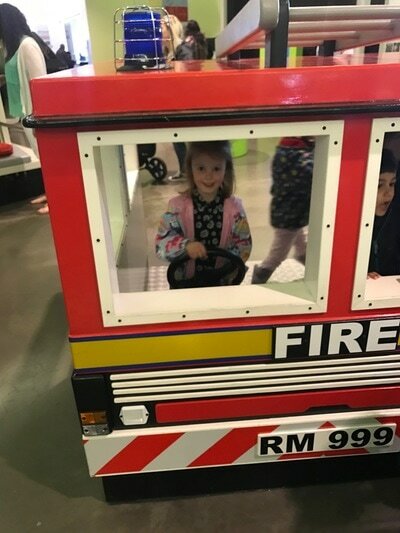 We enjoyed roleplay at the mini city in Braehead! 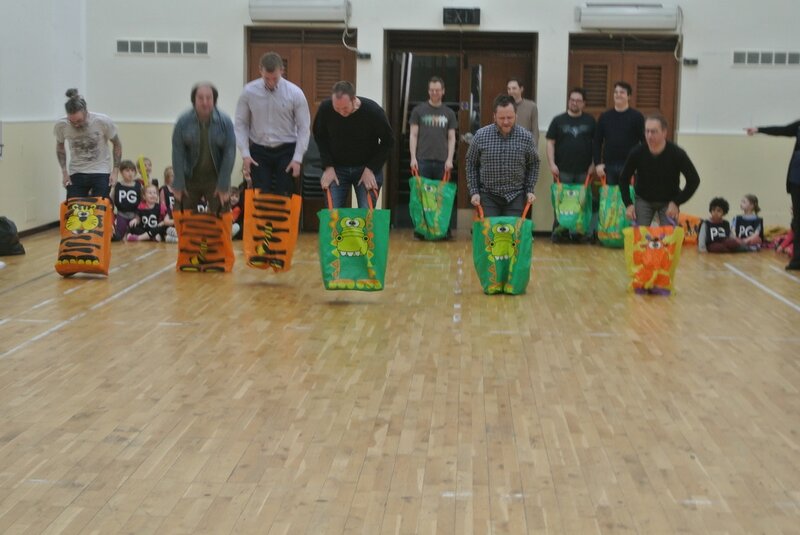 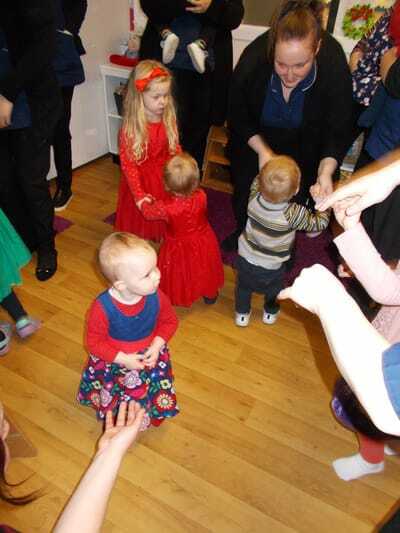 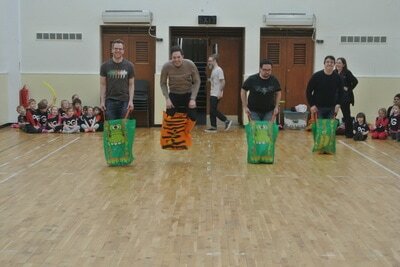 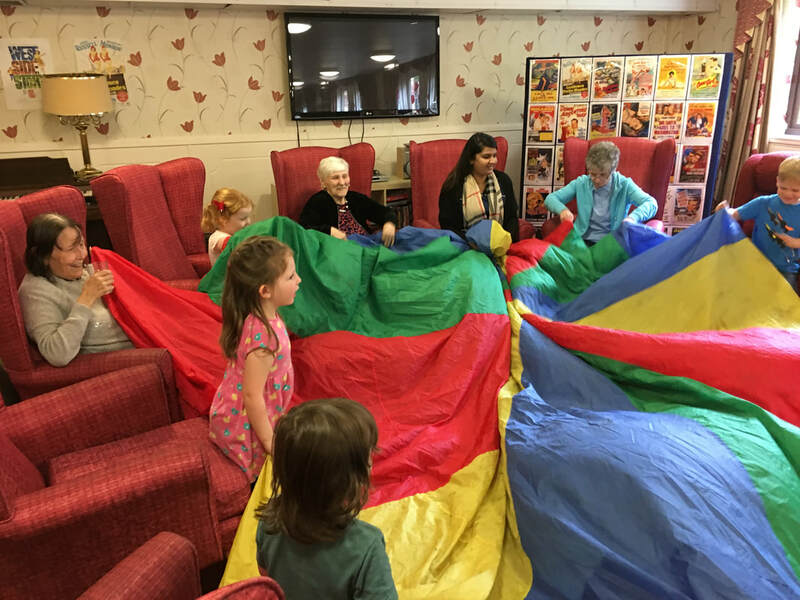 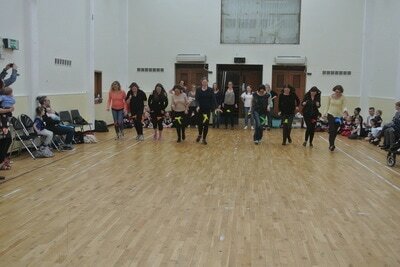 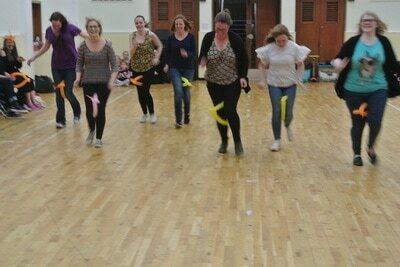 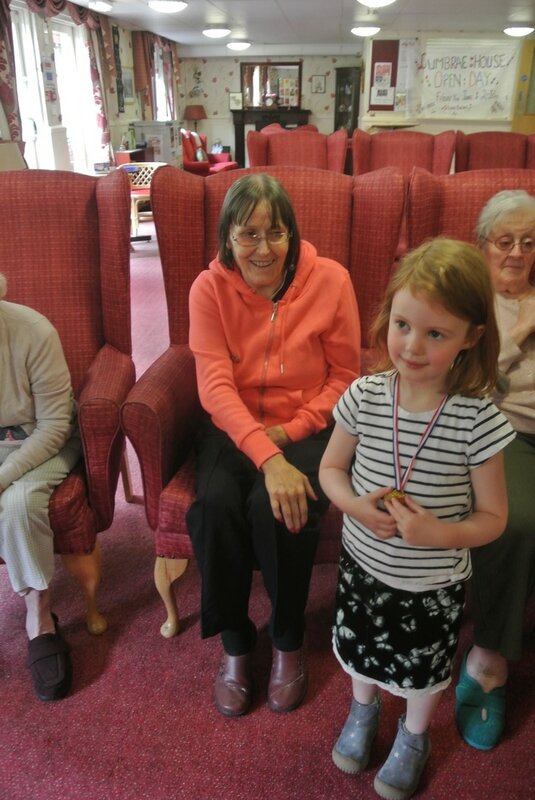 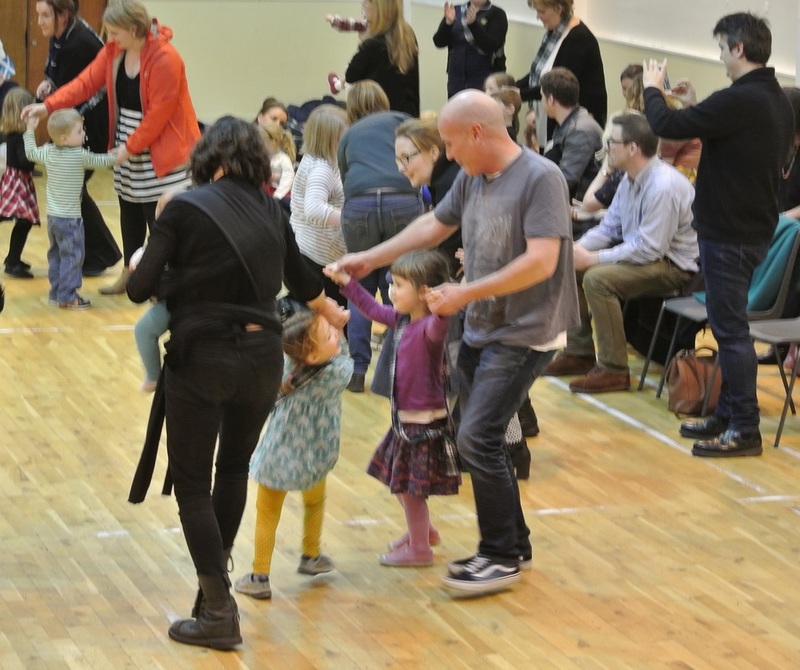 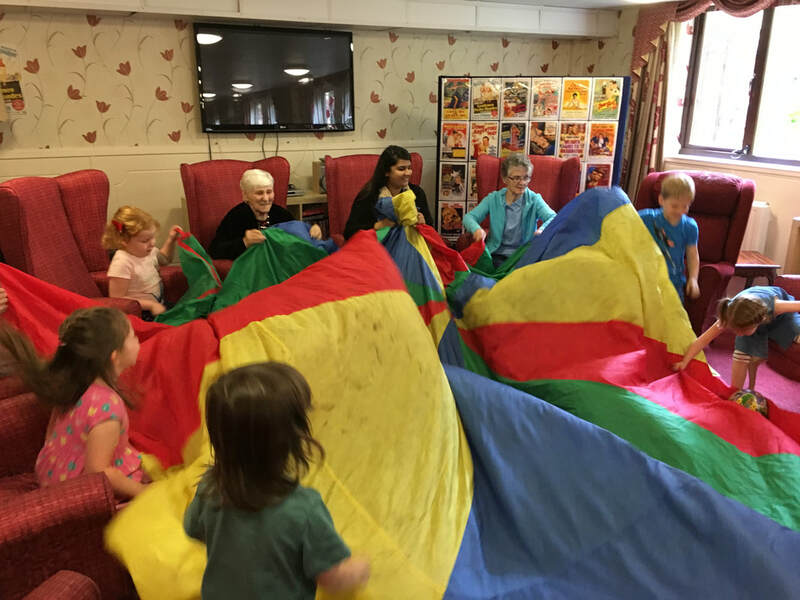 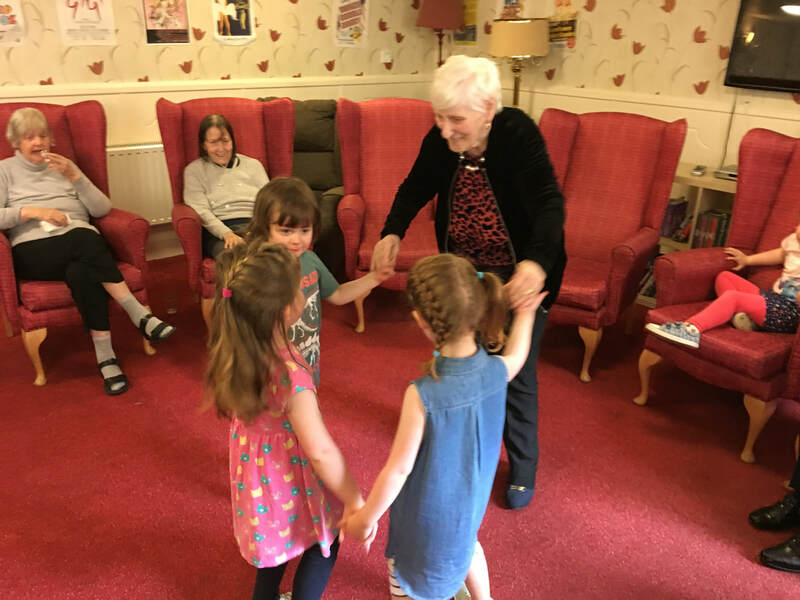 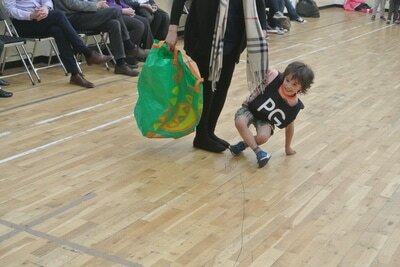 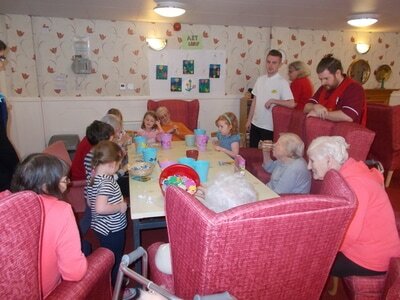 We shared songs and dances with the residents and taught them some fun parachute games! 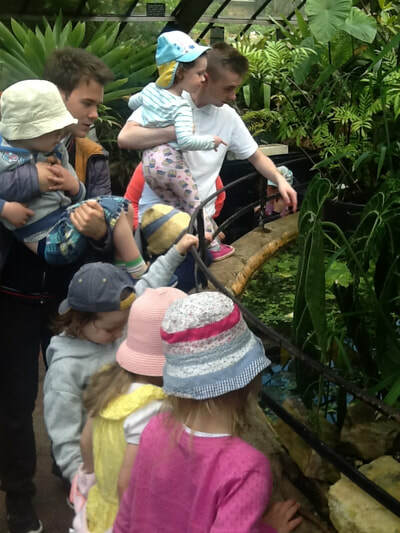 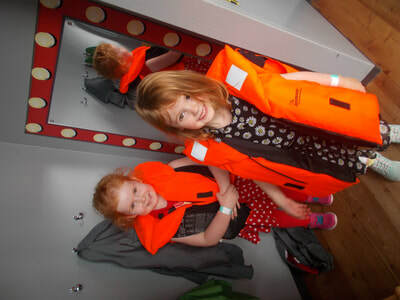 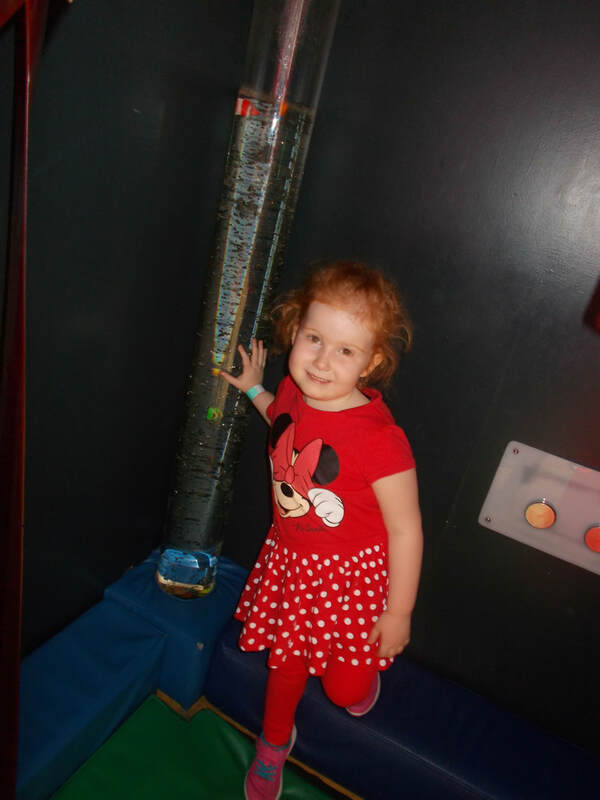 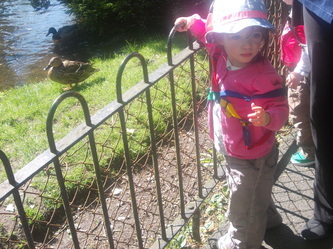 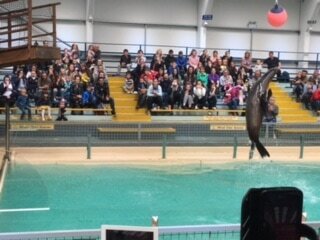 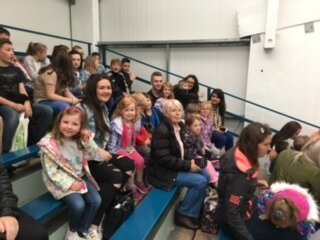 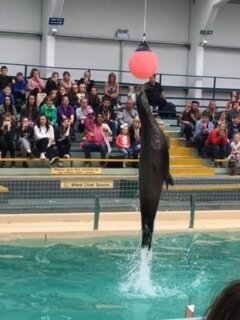 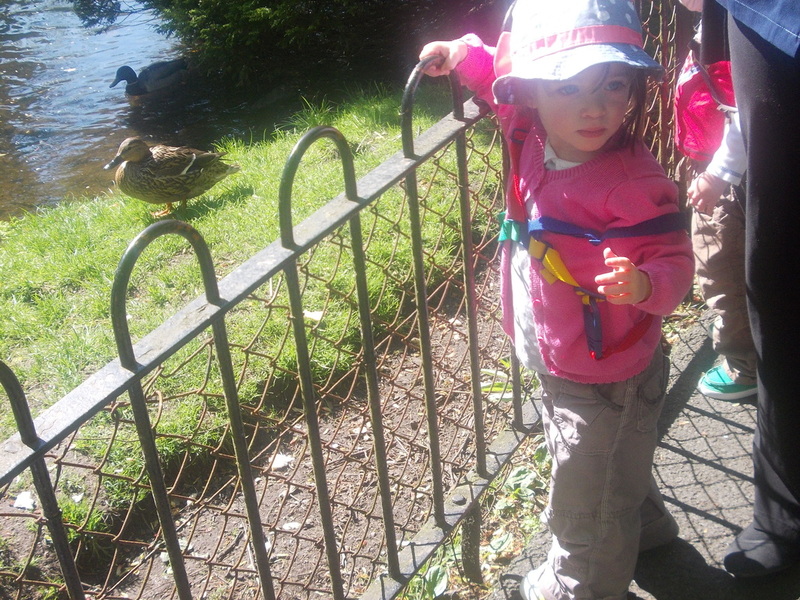 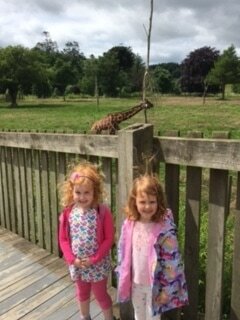 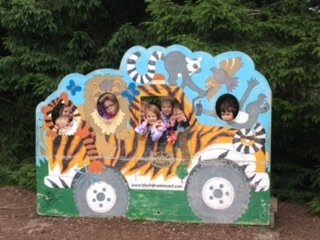 We took the train to Balloch and visited the Sealife Centre! 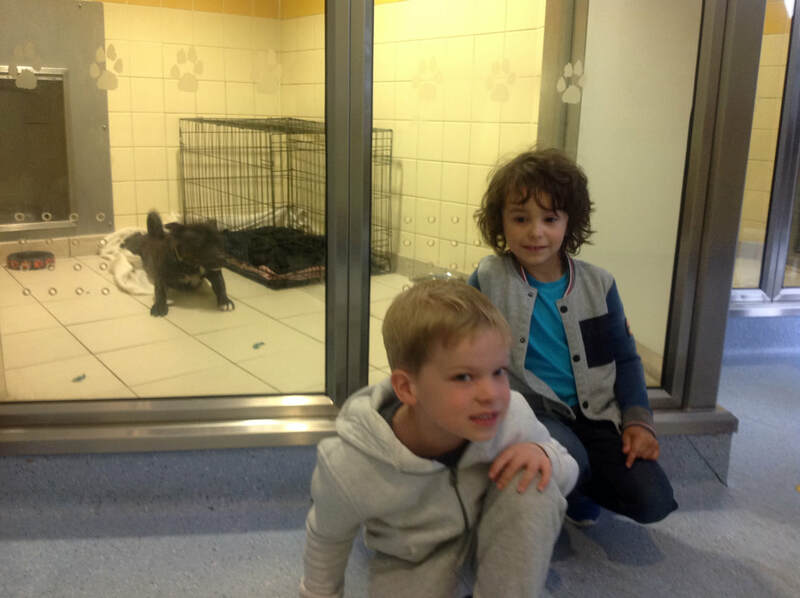 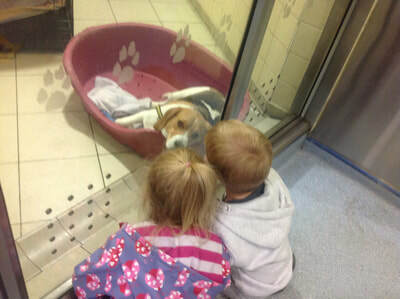 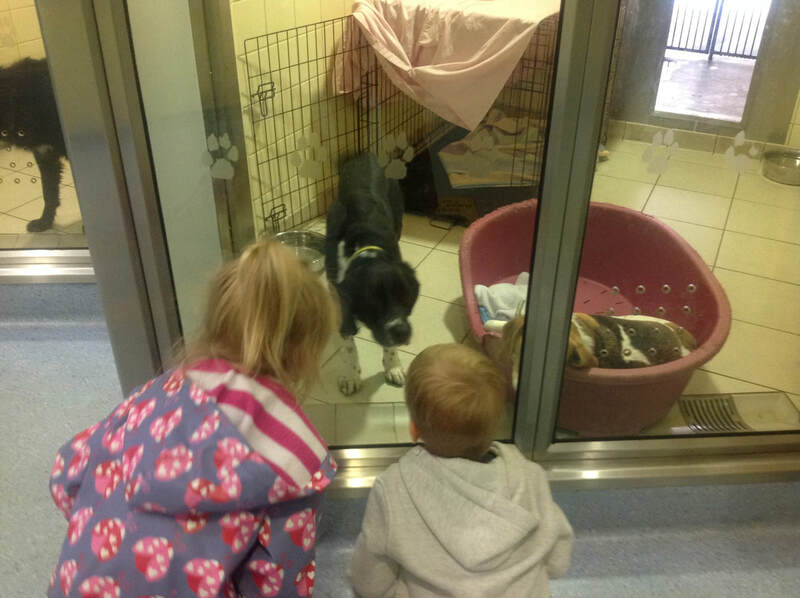 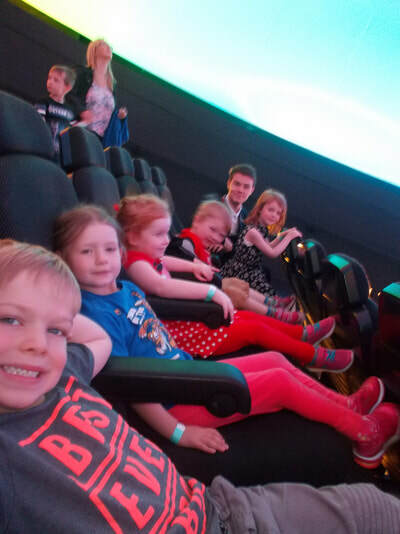 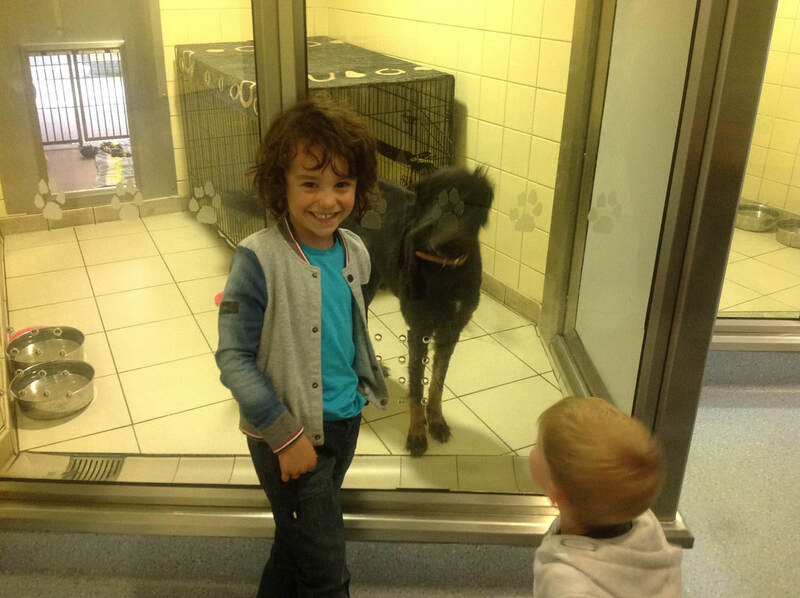 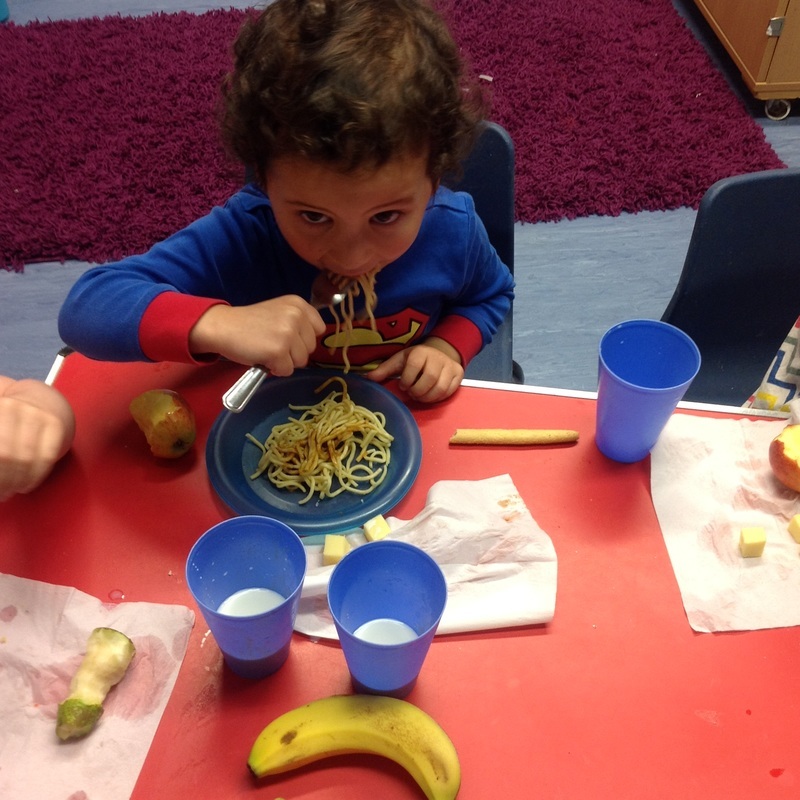 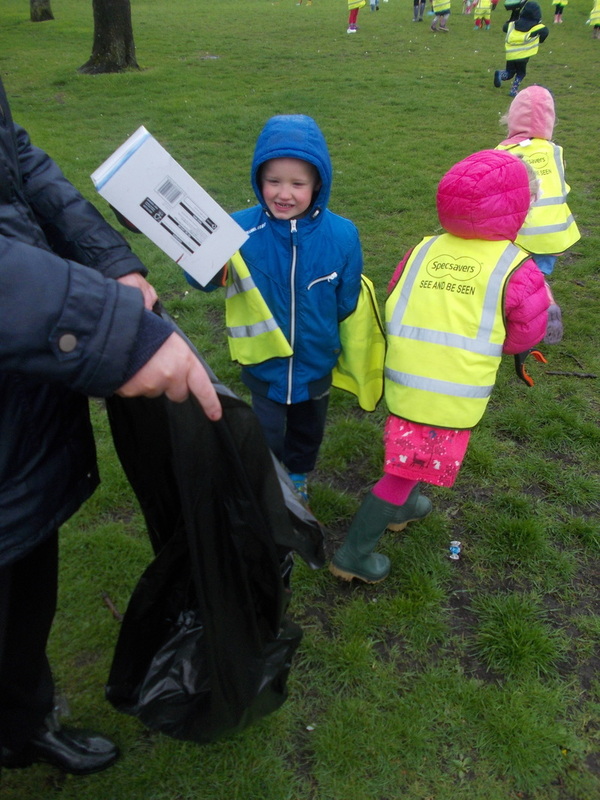 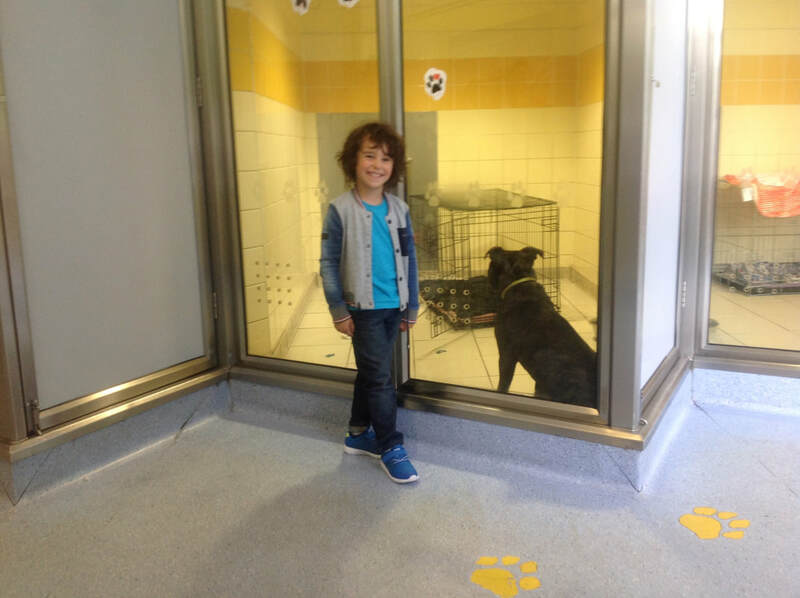 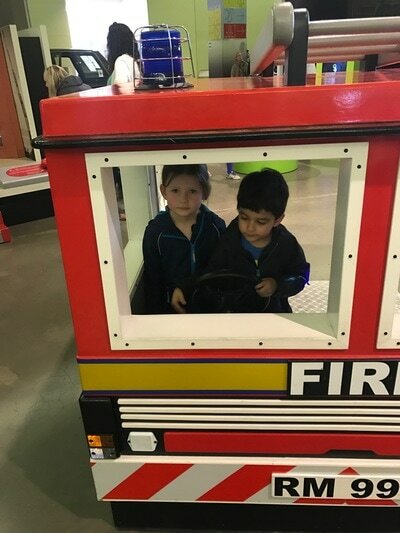 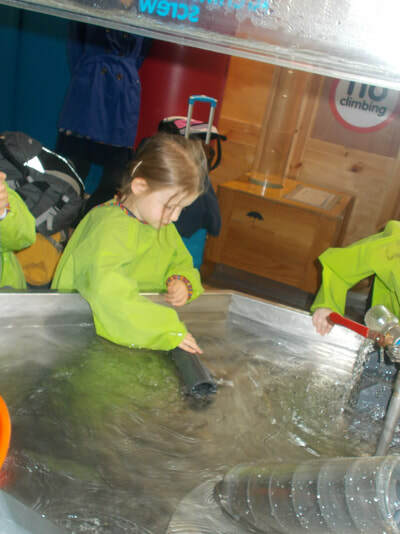 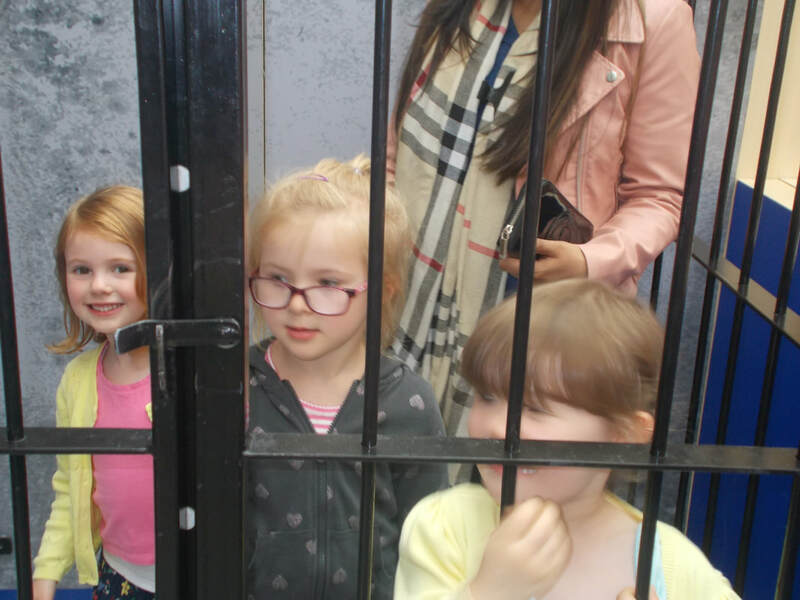 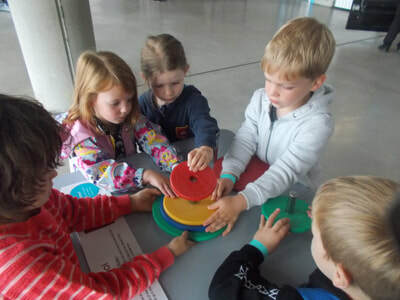 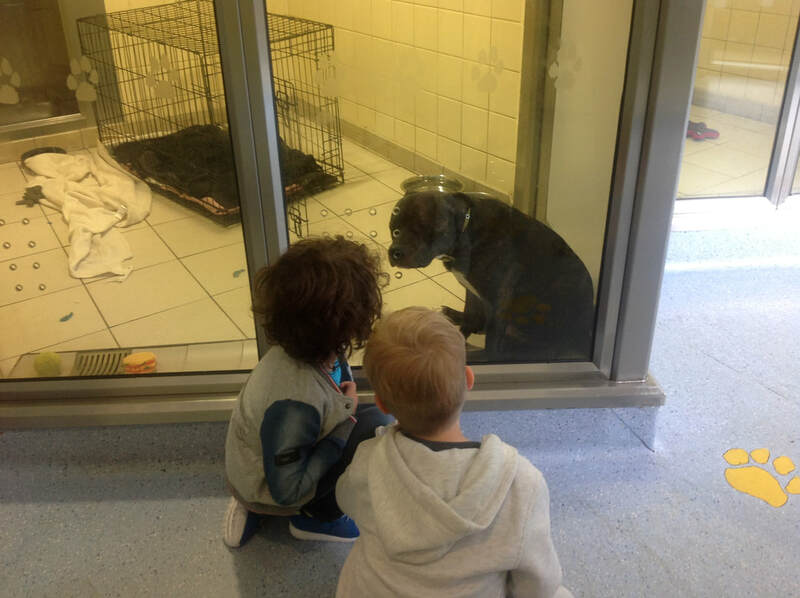 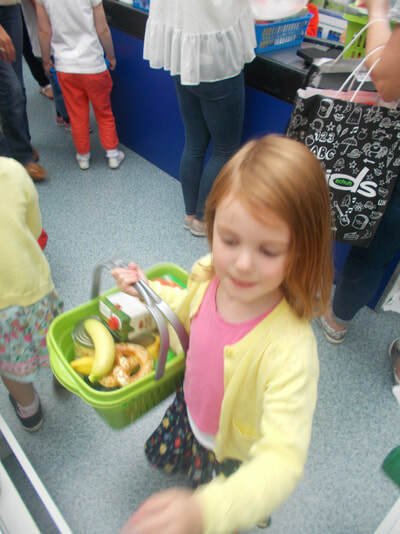 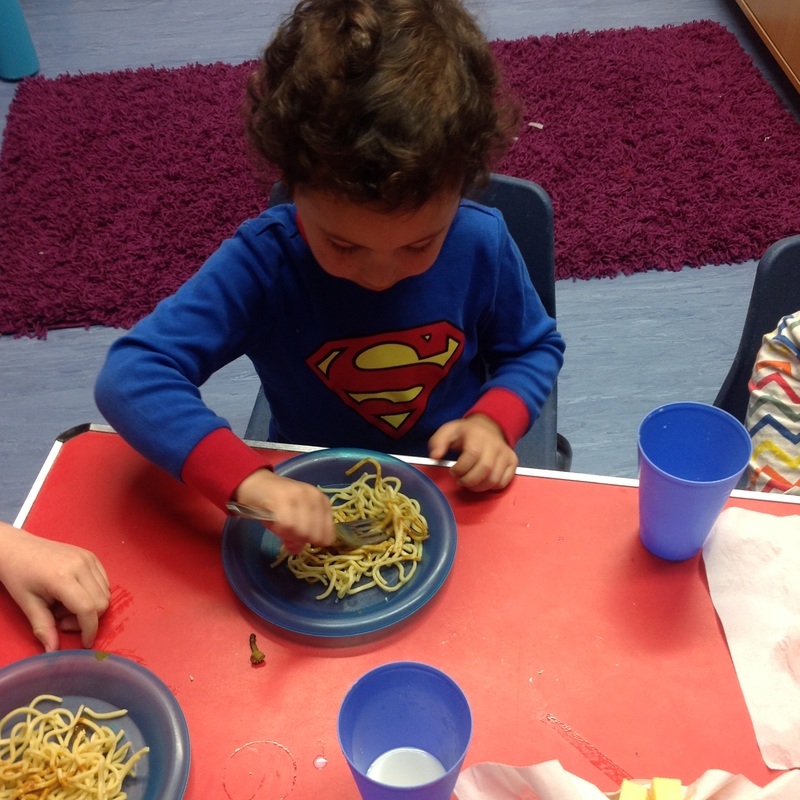 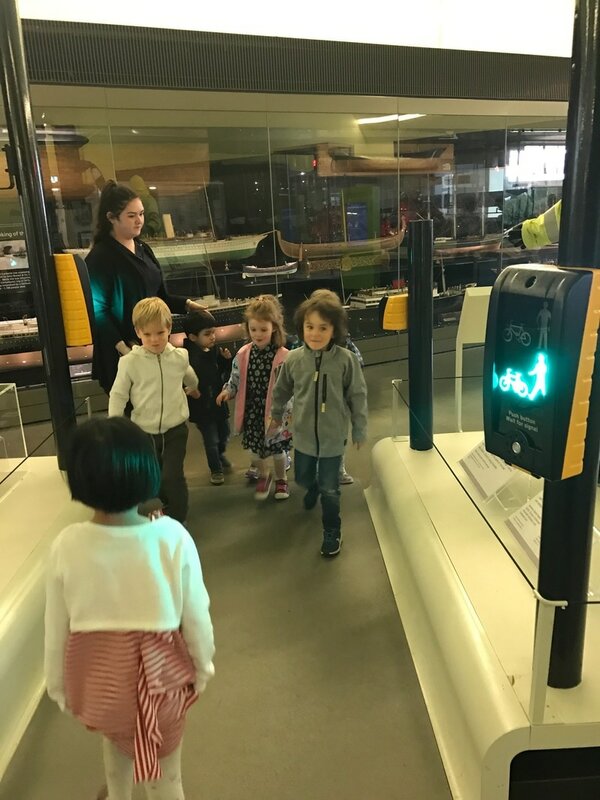 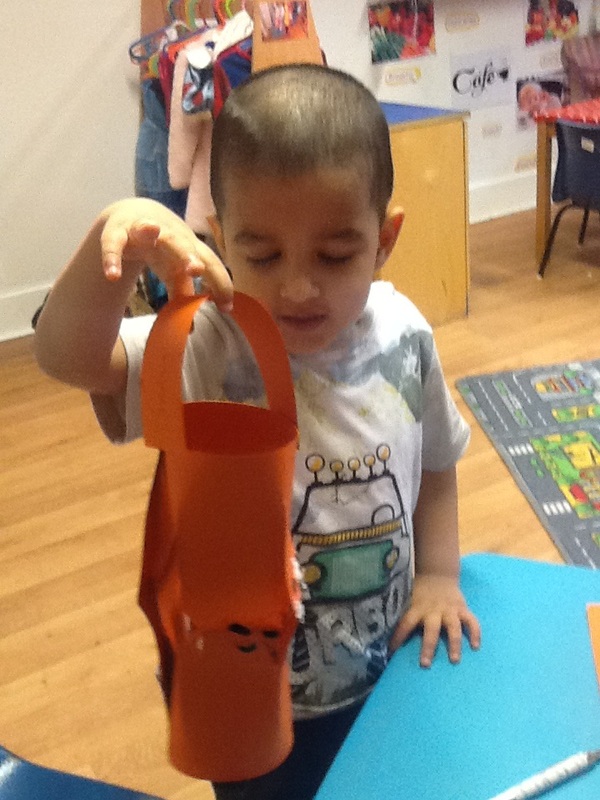 With a keen interest in animals, our kinders visited the Dogs Trust, where they met several dogs, learned about what they eat and drink and what they like to play with. 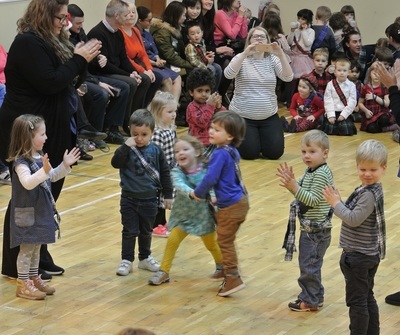 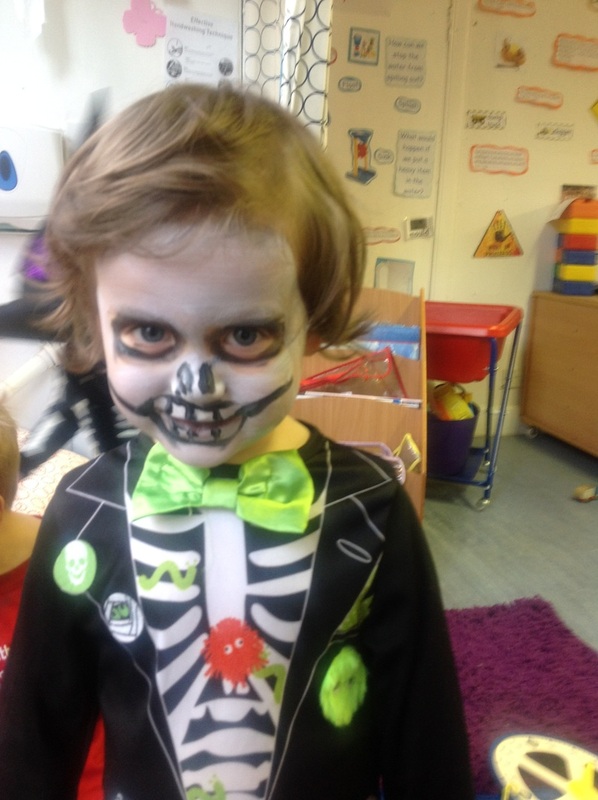 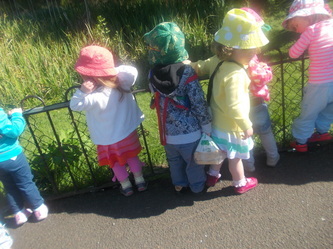 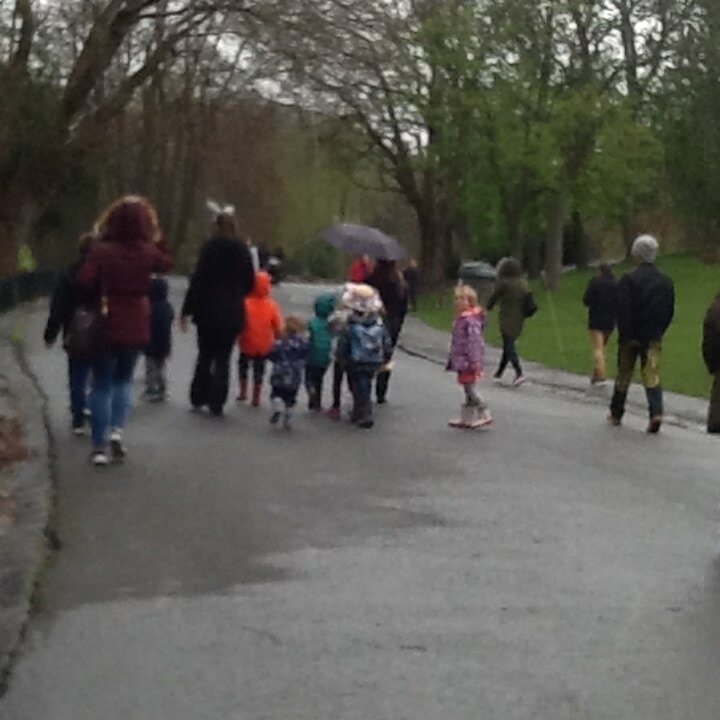 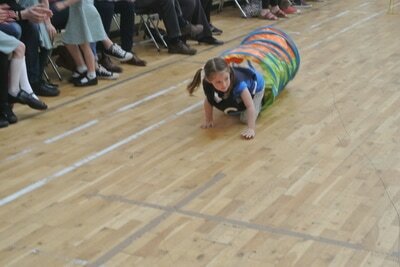 Some were very keen on bringing one dog back to nursery! 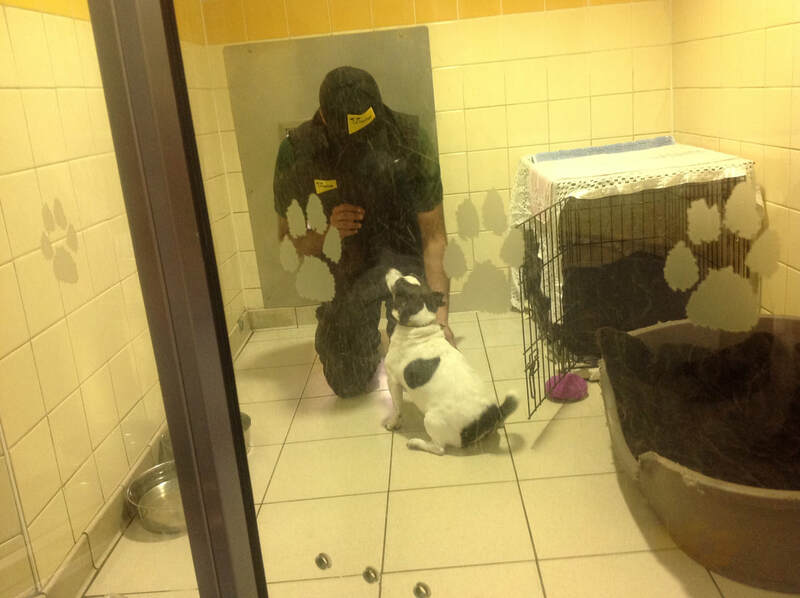 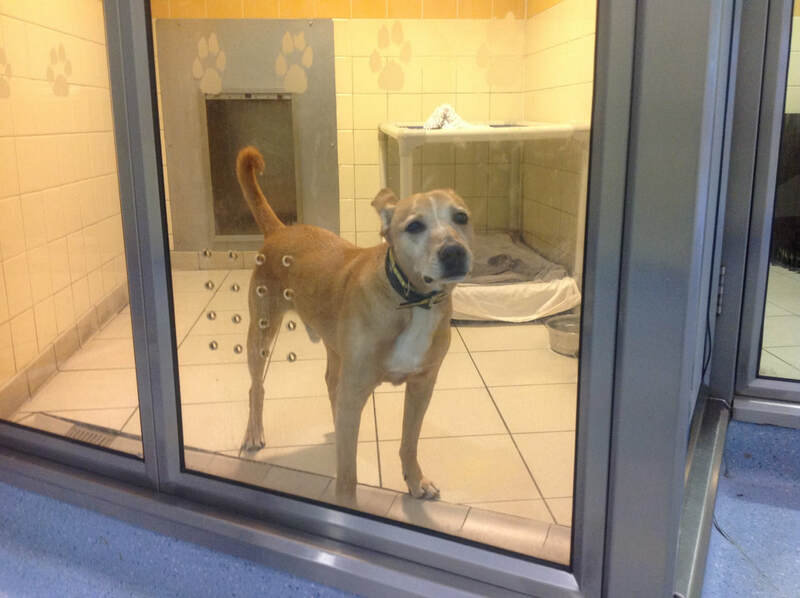 We thought that might be a bit too much work, so we are going to sponsor a Dogs Trust dog instead! 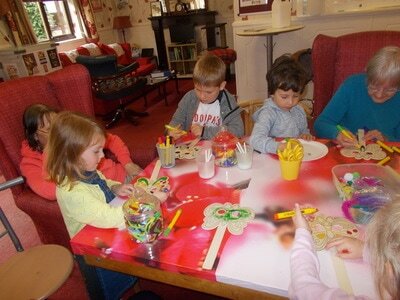 Mask Making with Cumbrae House. 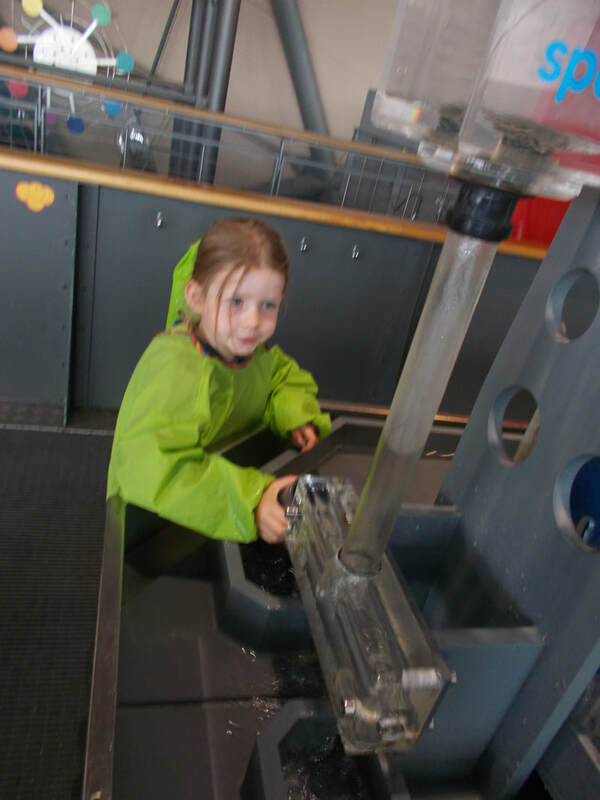 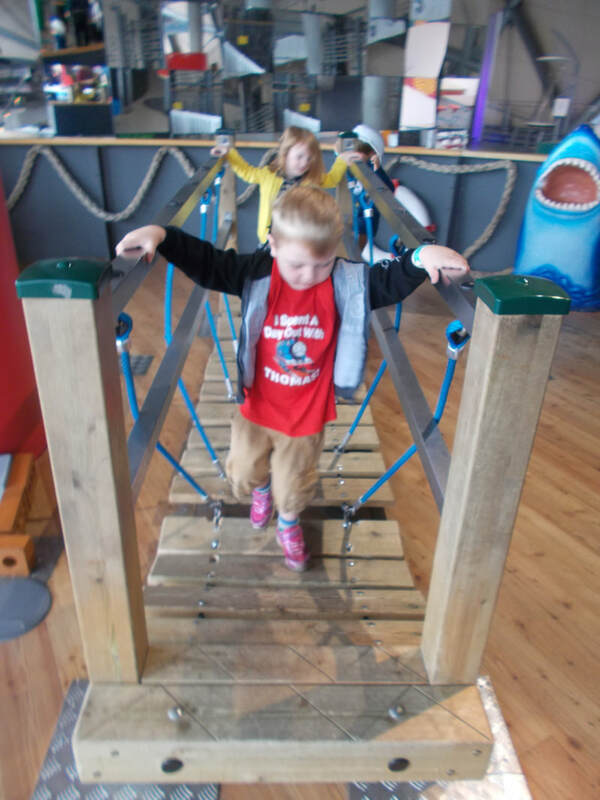 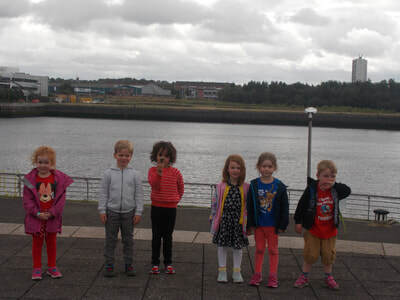 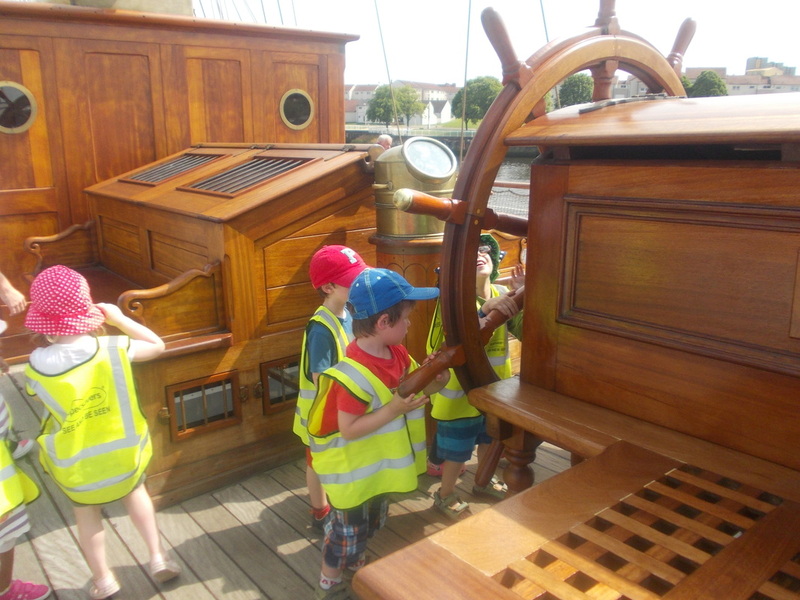 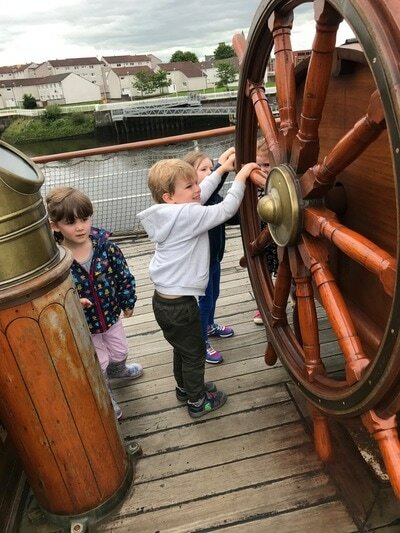 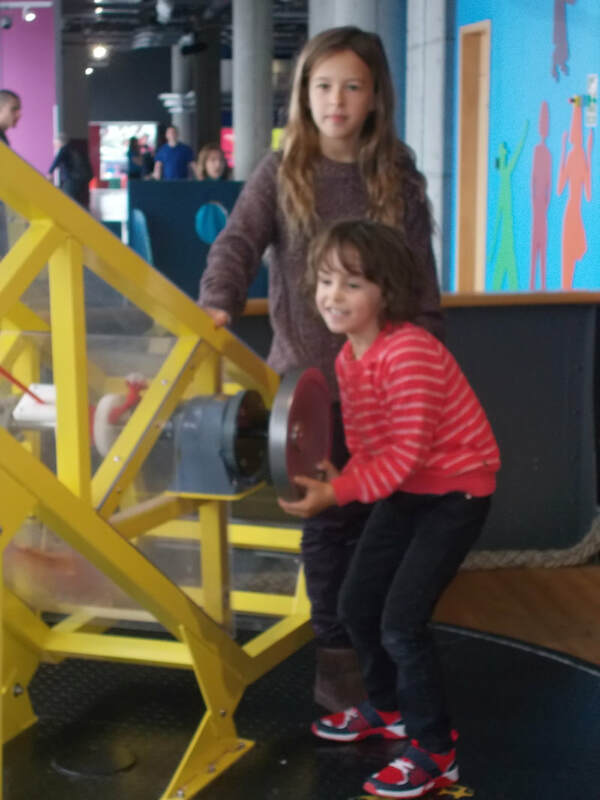 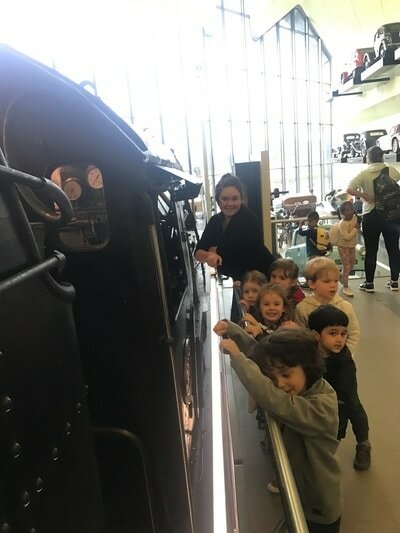 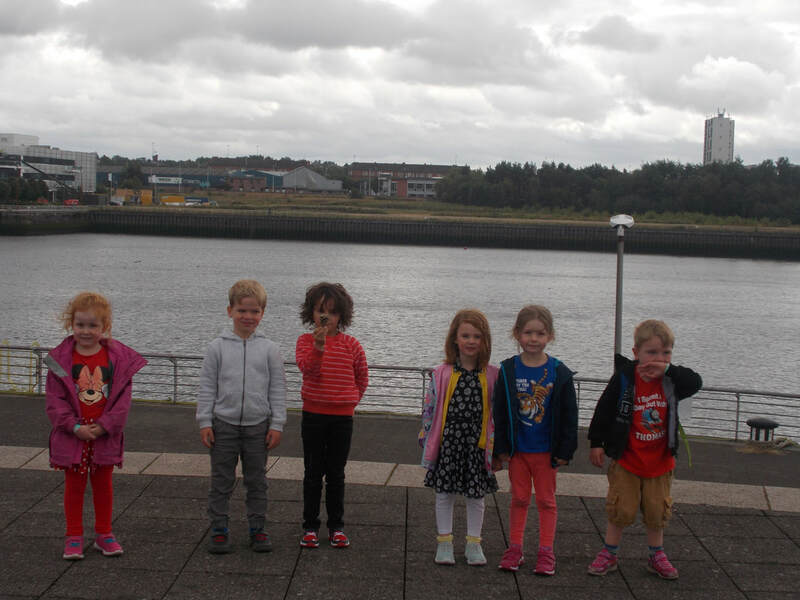 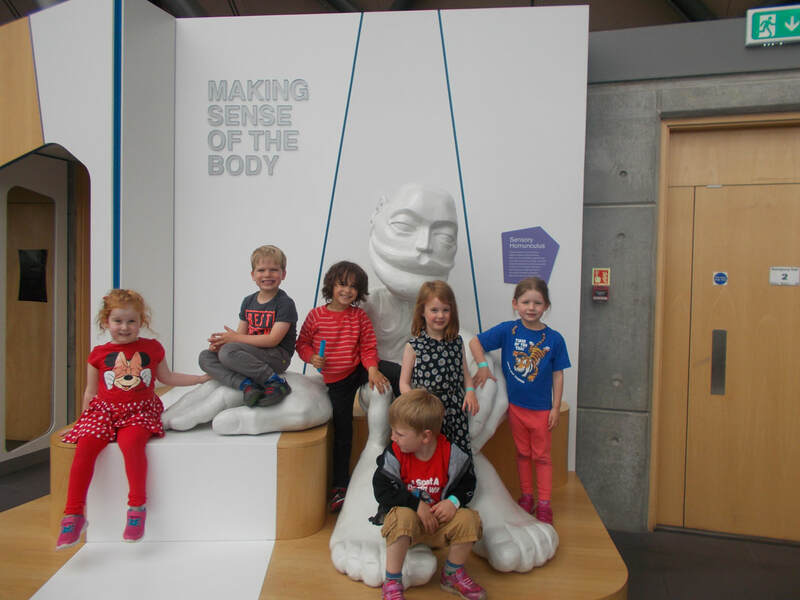 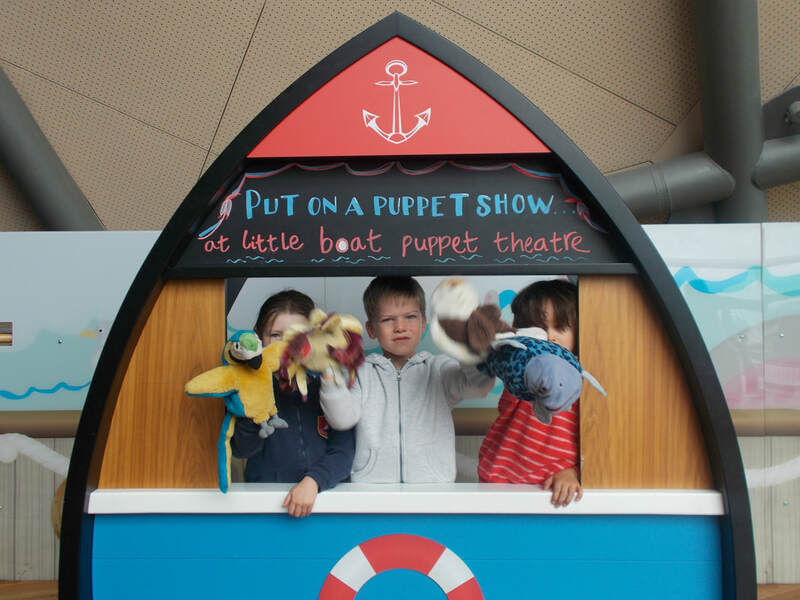 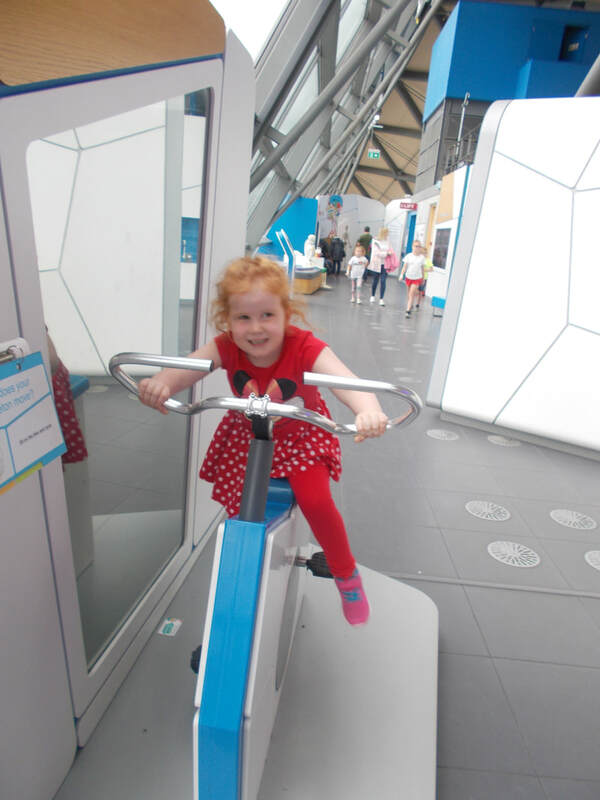 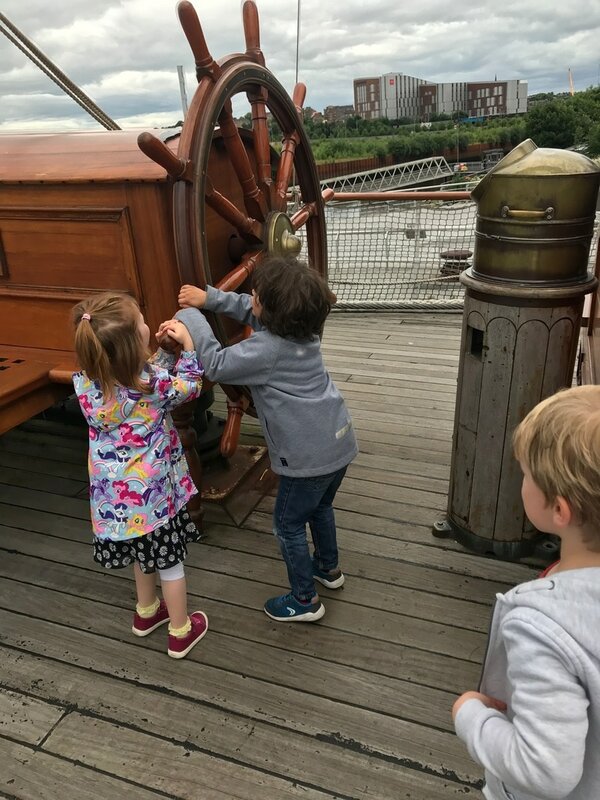 Visit to The Riverside Museum. 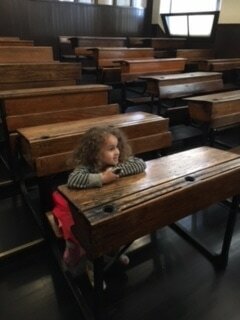 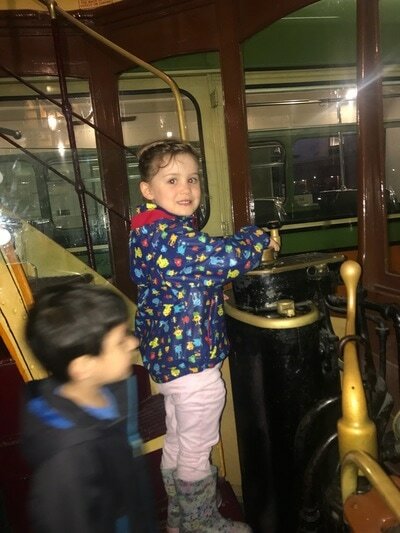 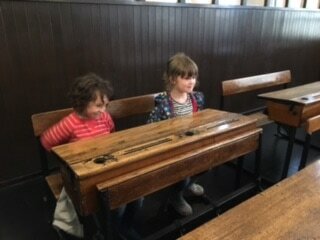 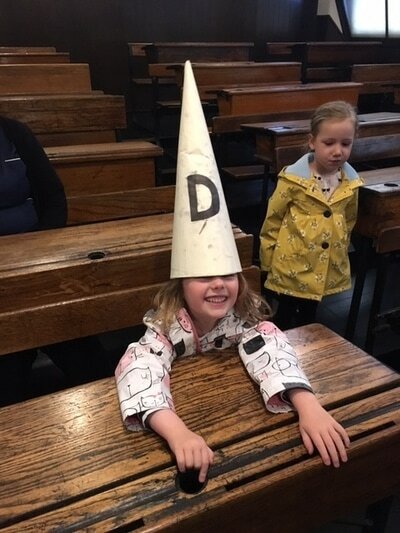 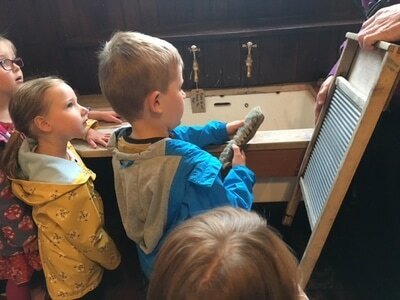 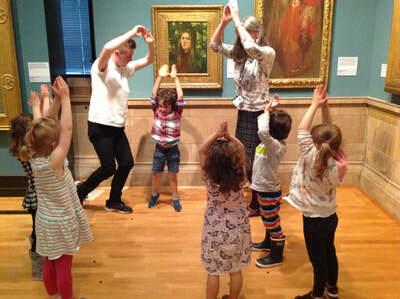 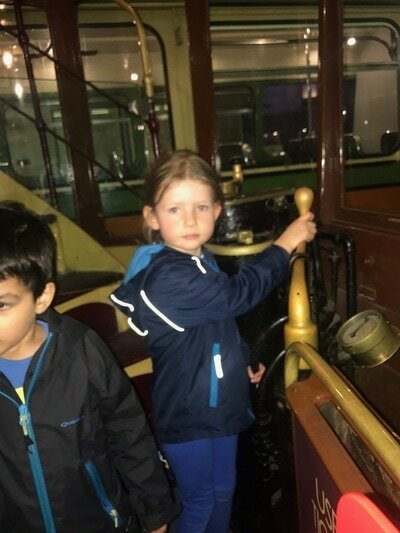 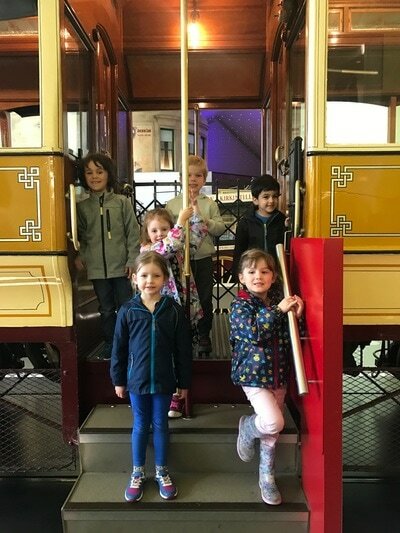 Pre school visit to Scotland Street Museum. 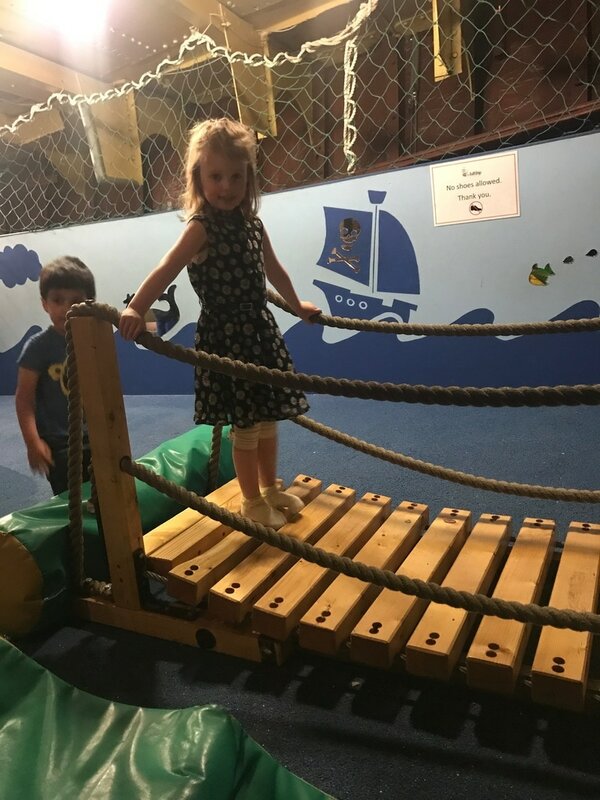 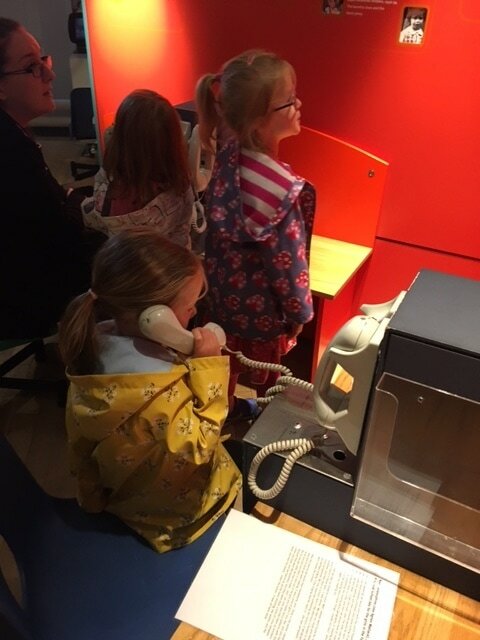 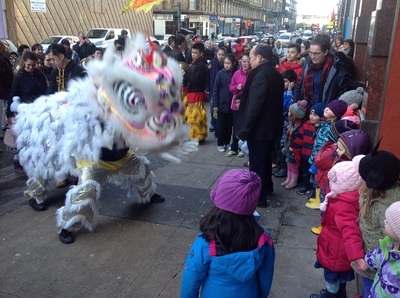 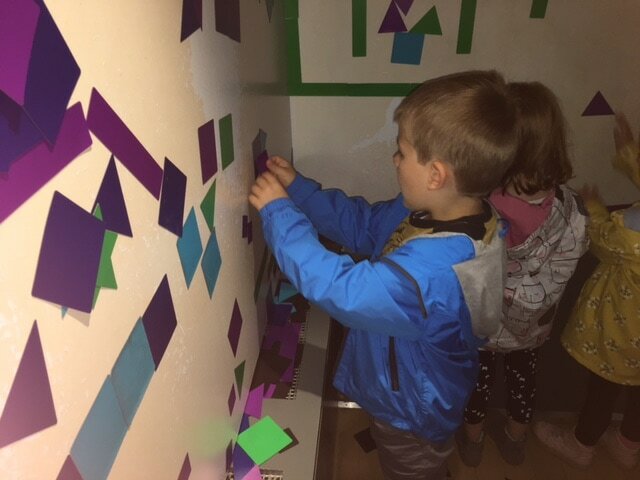 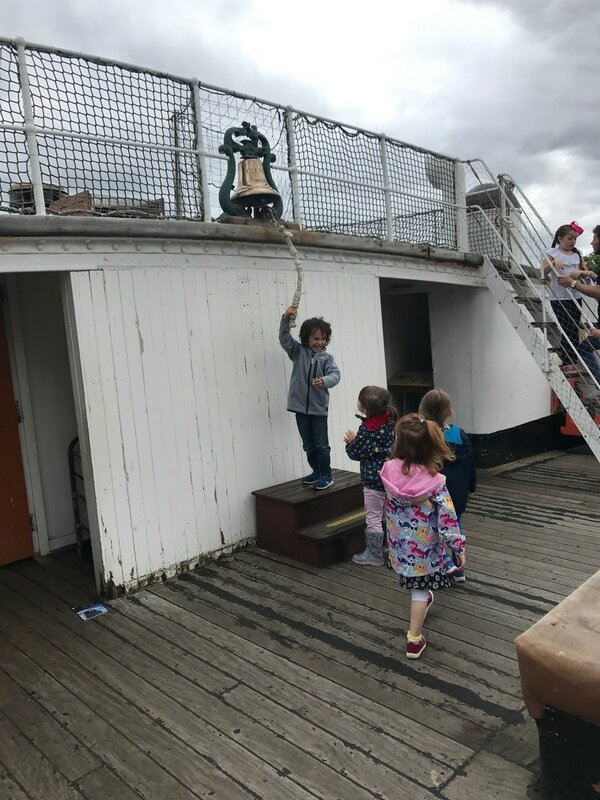 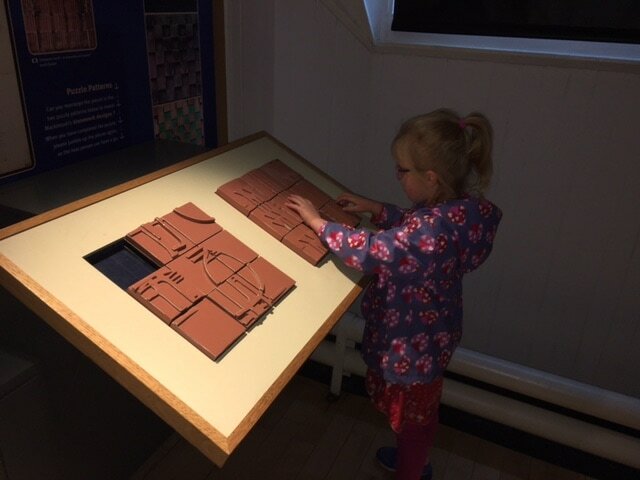 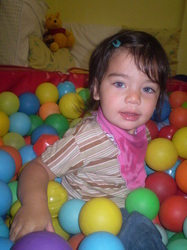 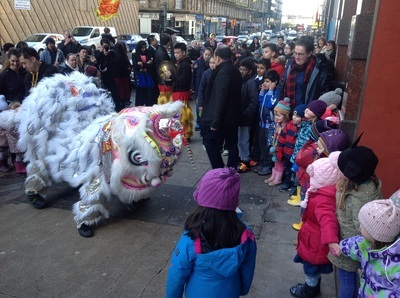 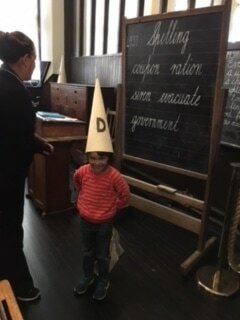 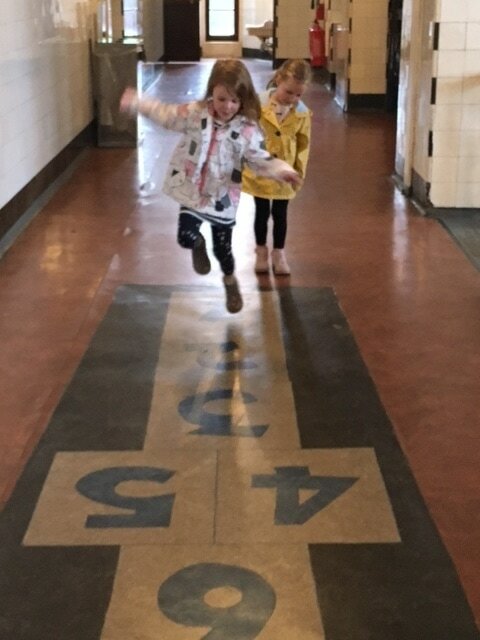 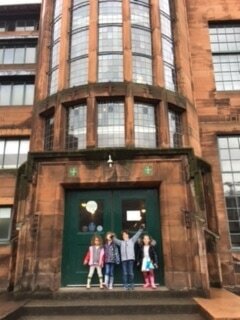 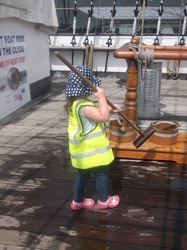 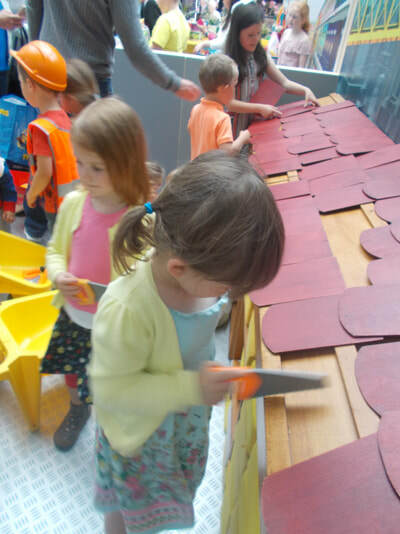 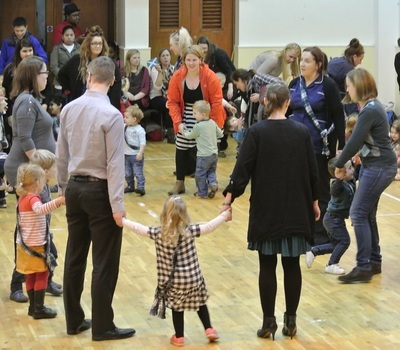 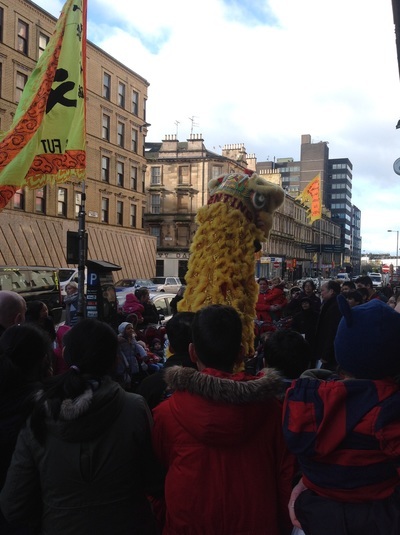 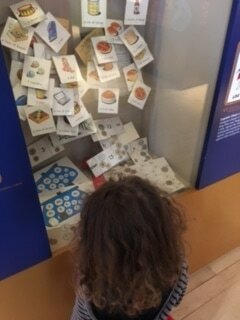 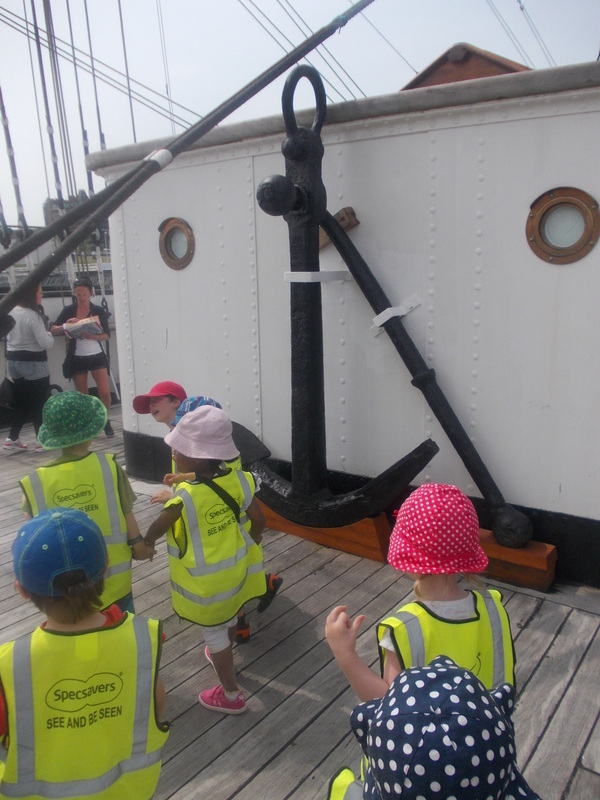 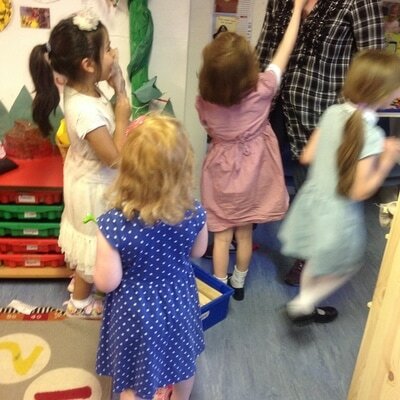 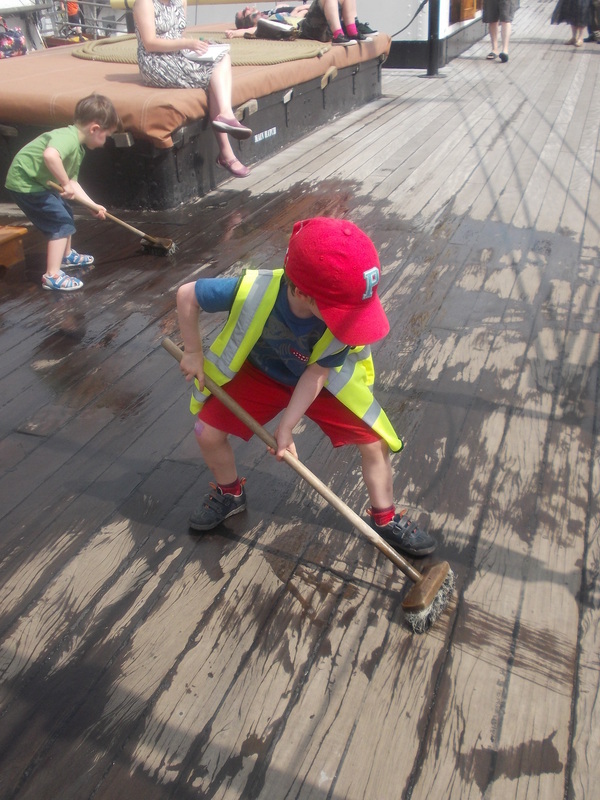 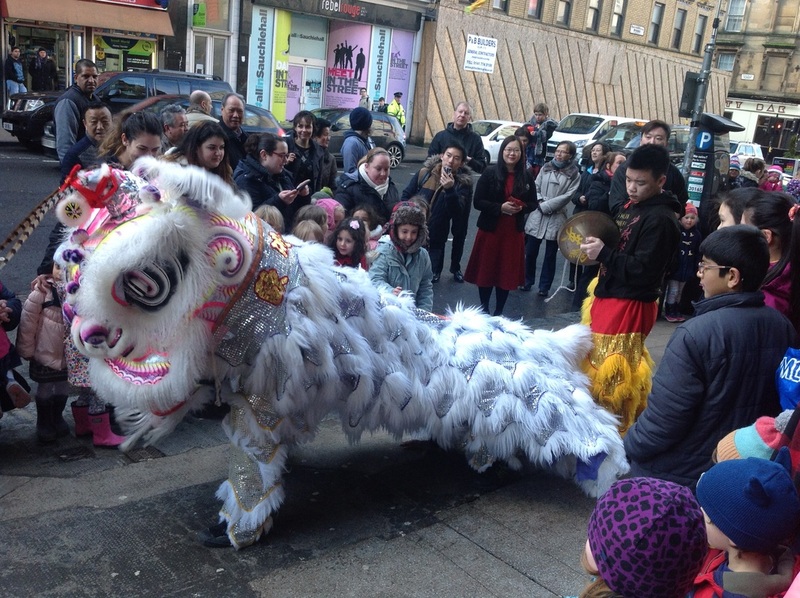 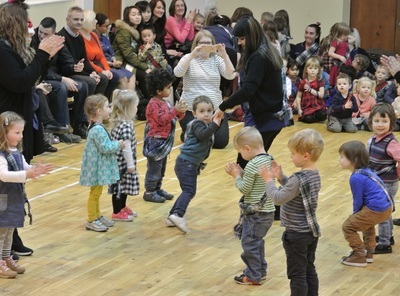 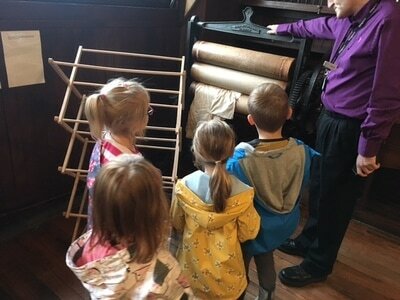 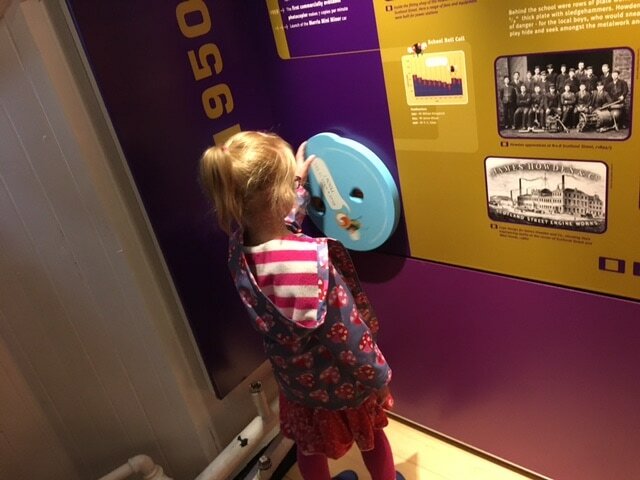 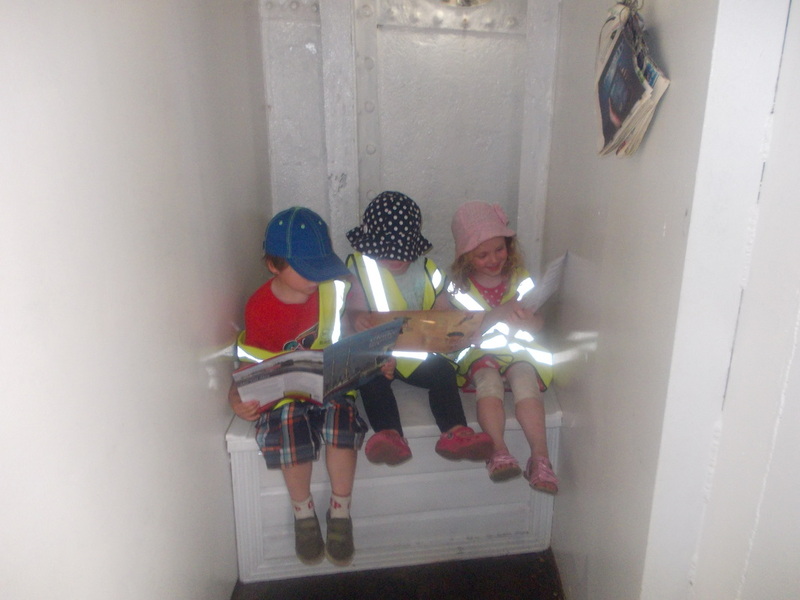 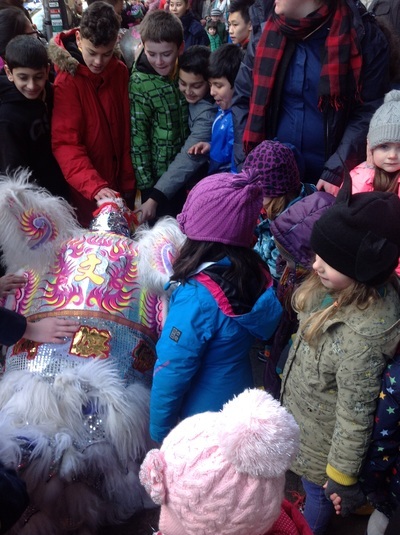 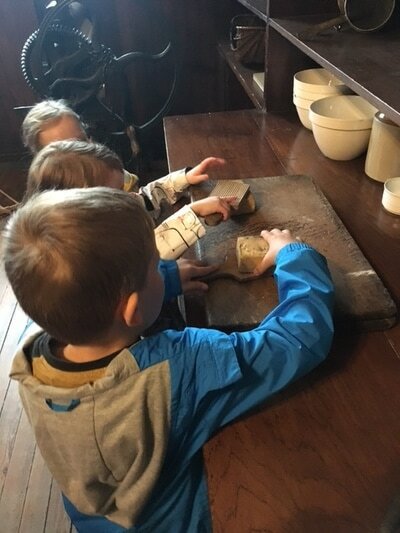 As part of our pre school transition to school, we visited Scotland Street Museum. 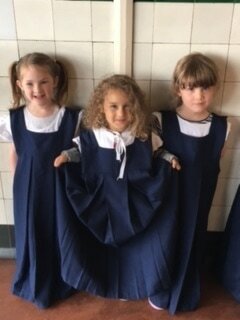 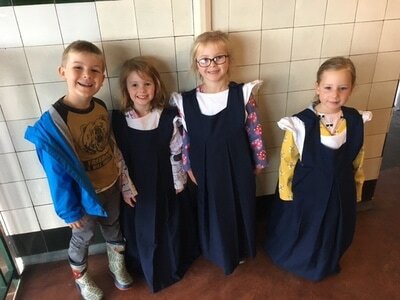 We learned all about what school was like many years ago and had fun dressing up in the old uniforms! 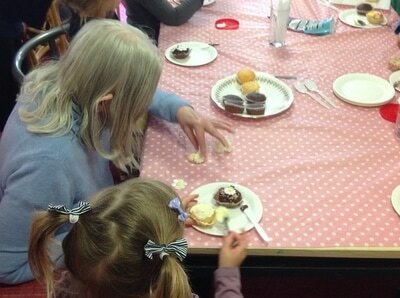 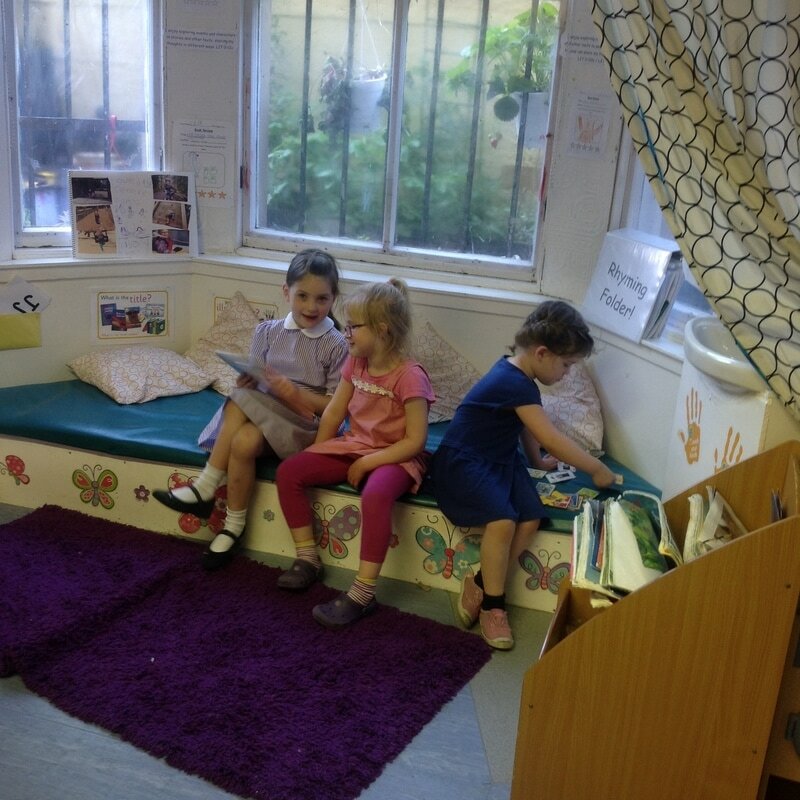 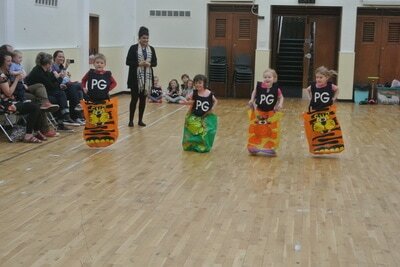 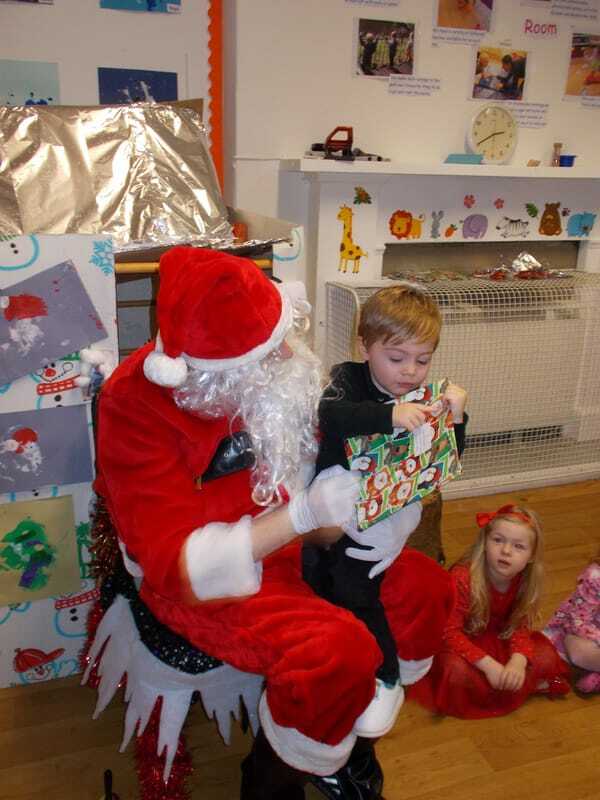 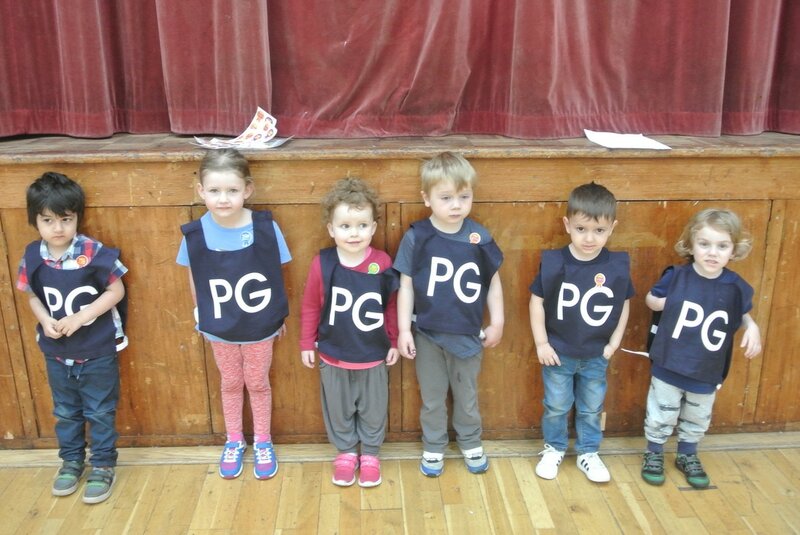 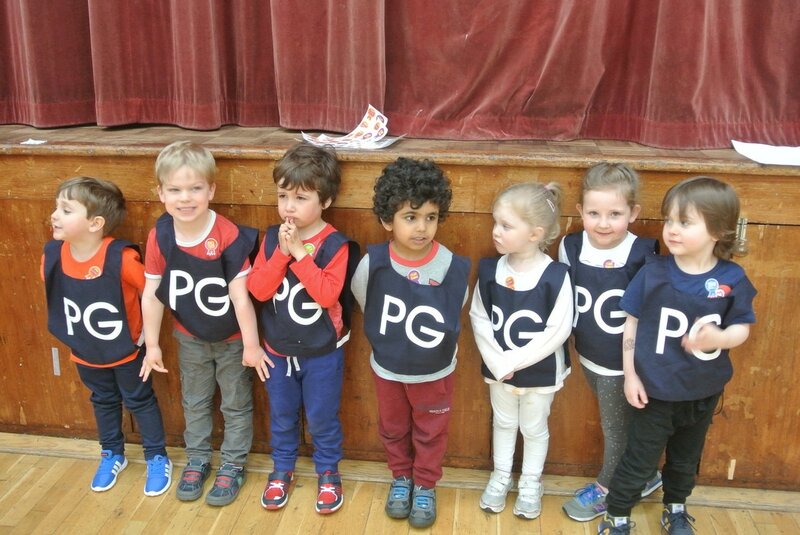 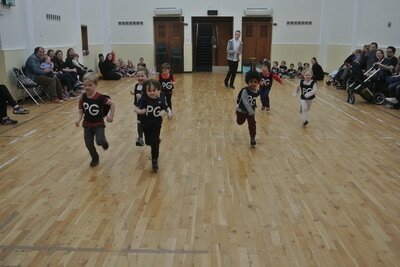 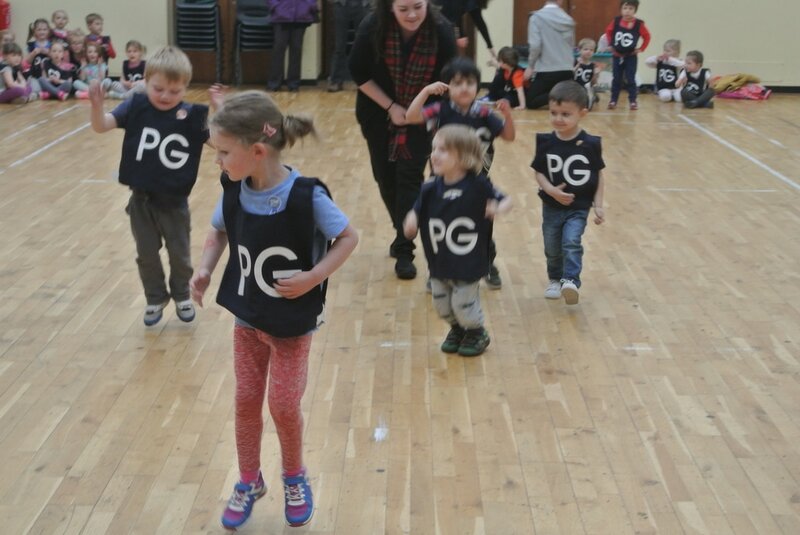 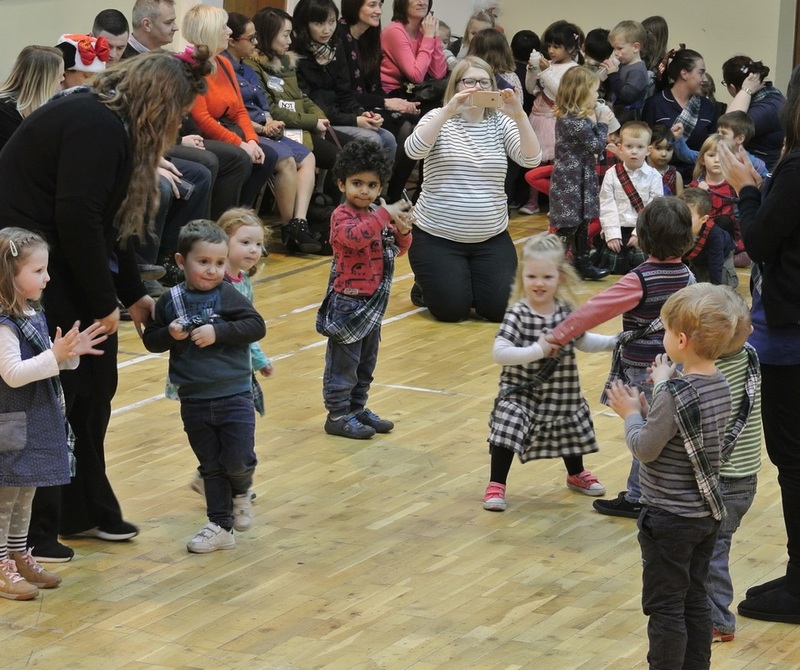 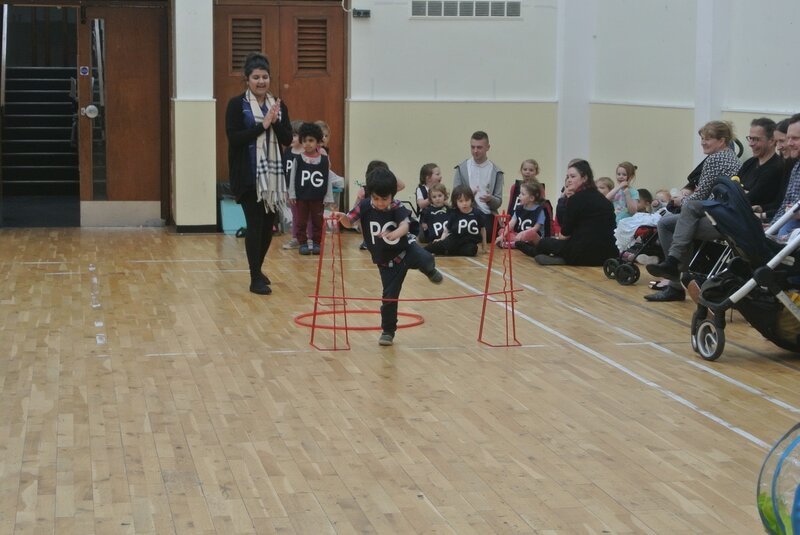 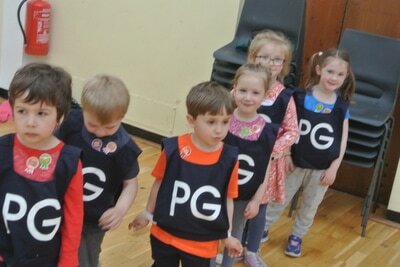 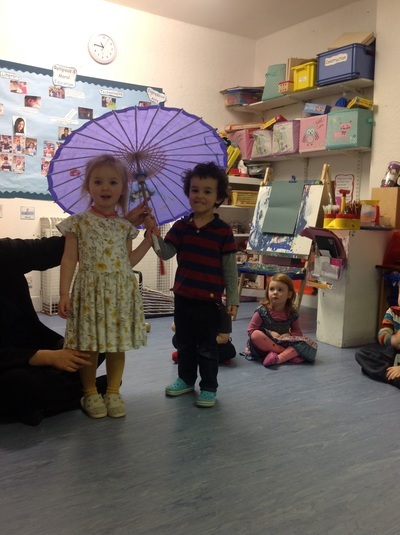 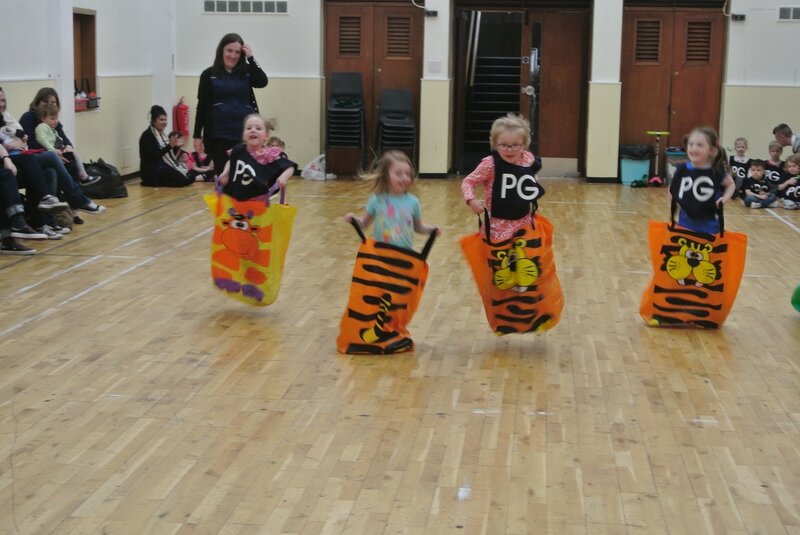 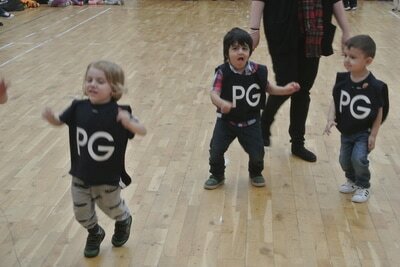 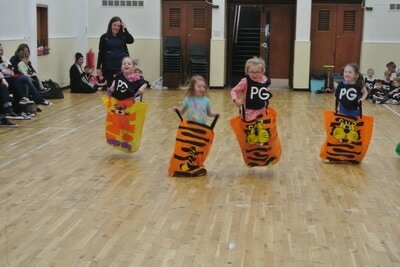 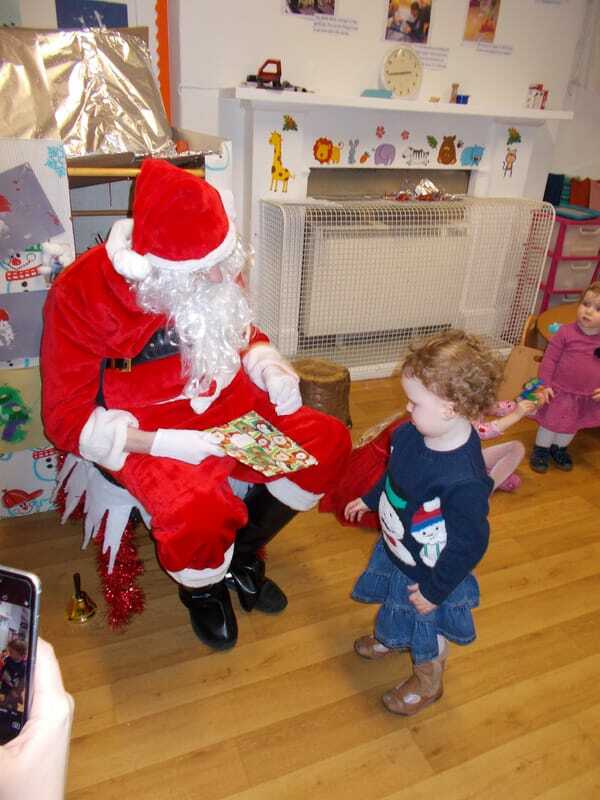 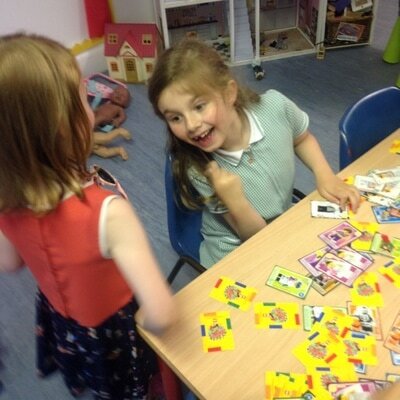 As part of the transition to primary school, we invite some P1's in to chat to our preschool group. 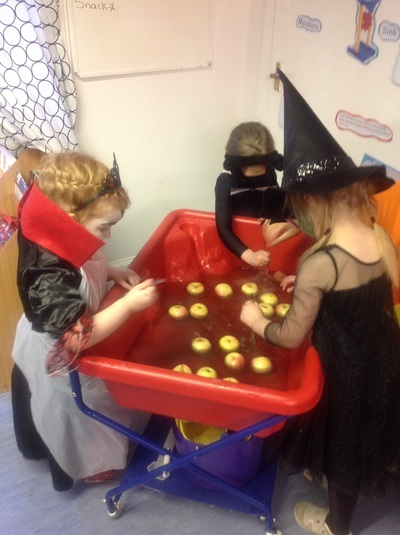 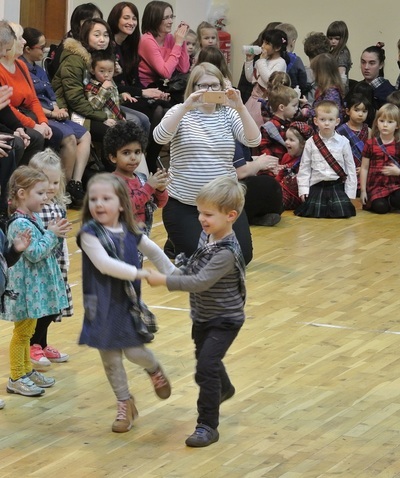 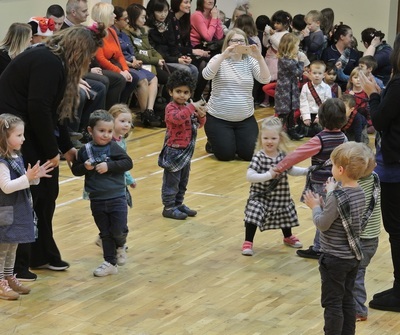 They tell us all about how to survive the first year of primary school! 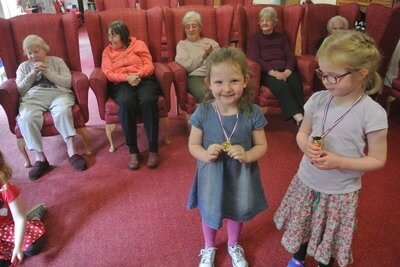 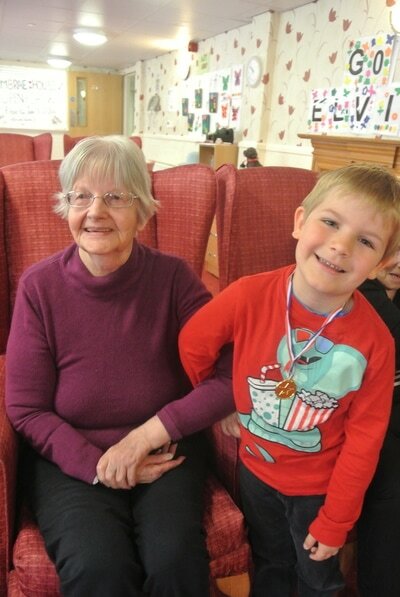 We worked together in pairs during our bowling tournament and each won a medal! 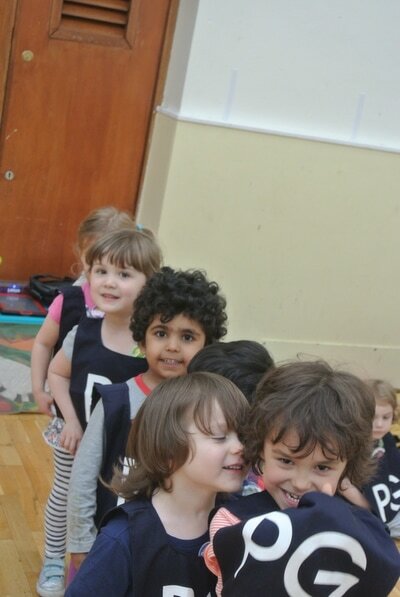 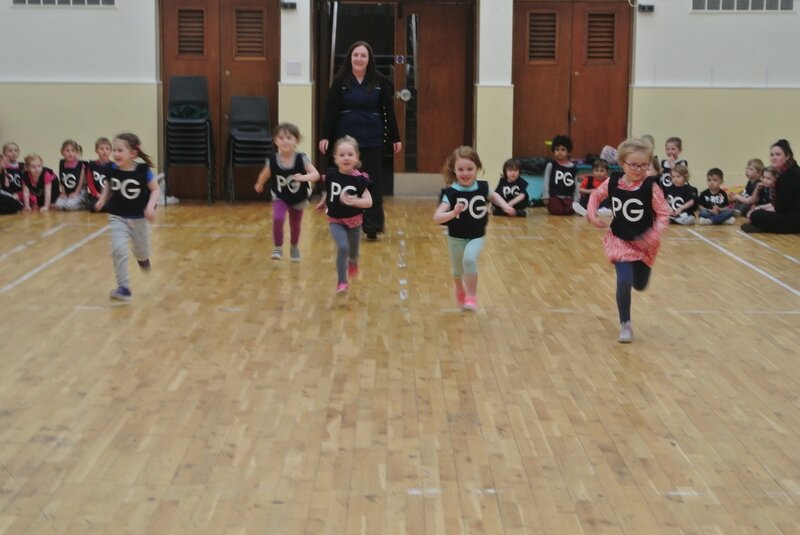 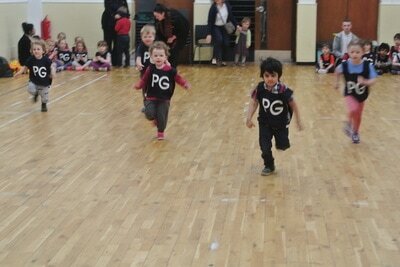 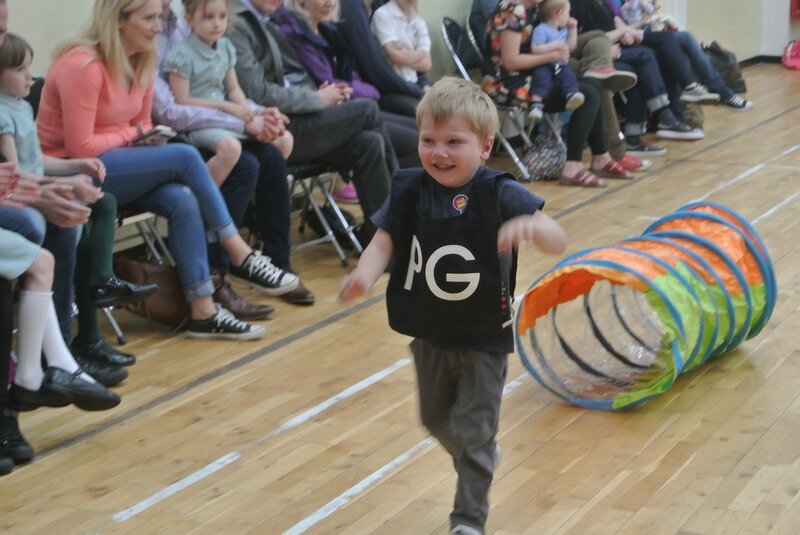 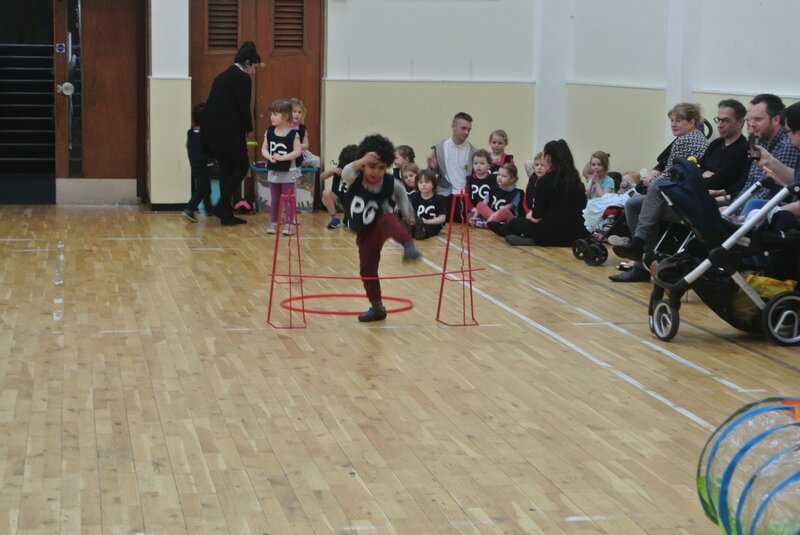 We have been learning lots about how to keep our body healthy through exercise! 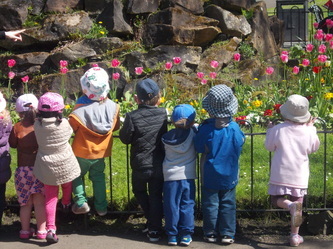 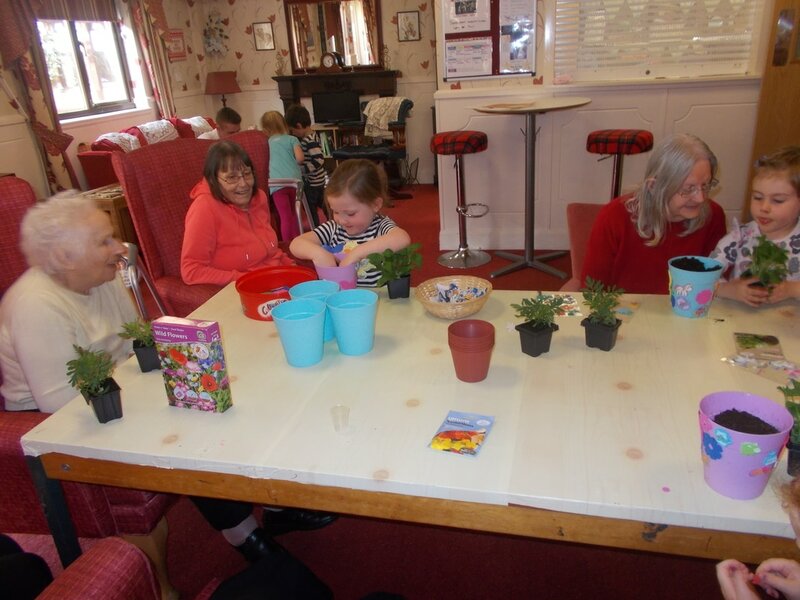 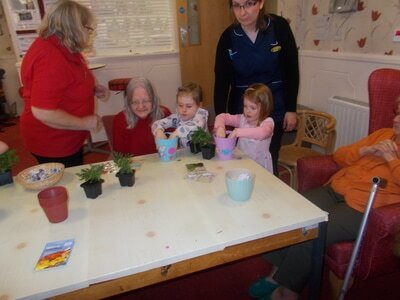 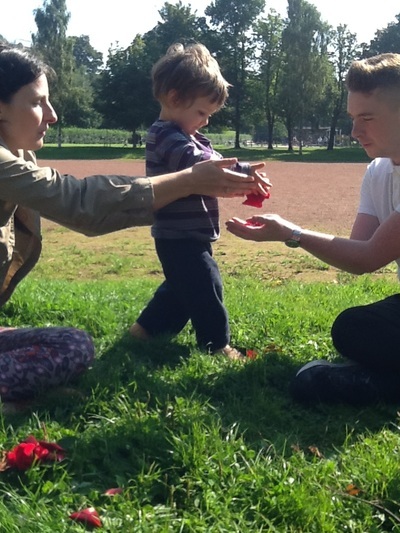 We planted flowers with the residents of Cumbrae House. 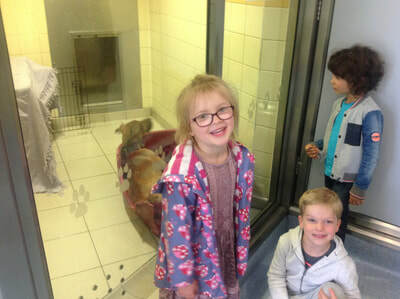 We also made friends with Candy the cat, that's him hiding under the chair! 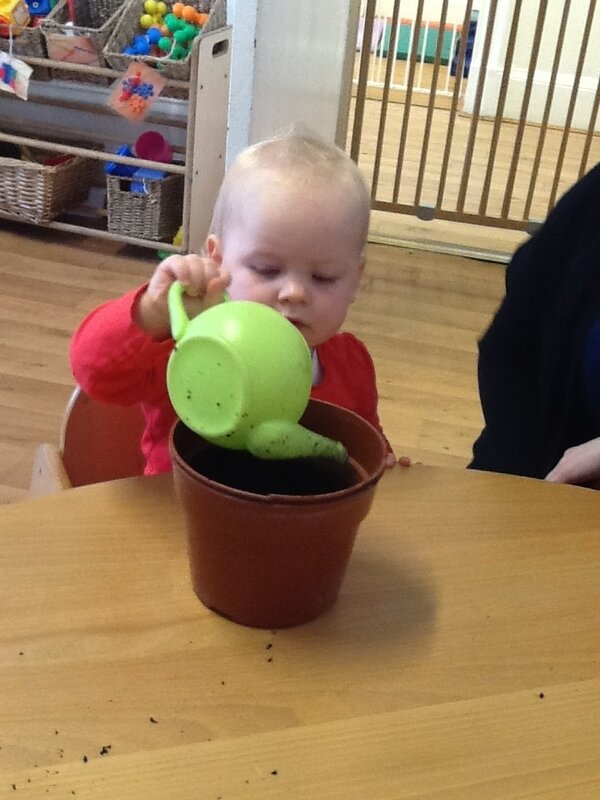 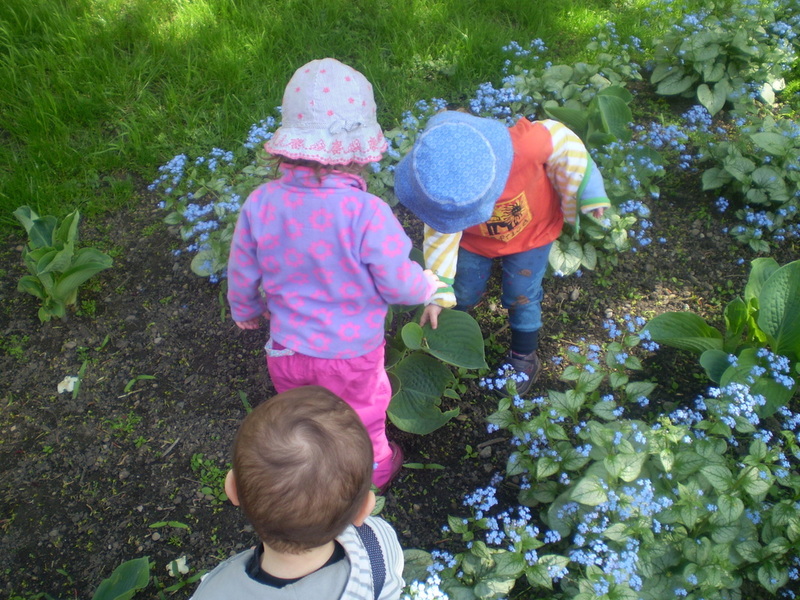 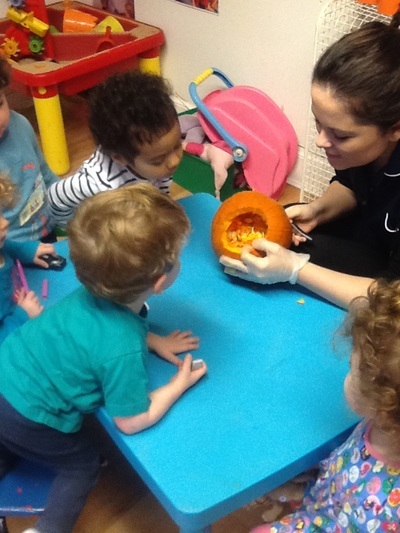 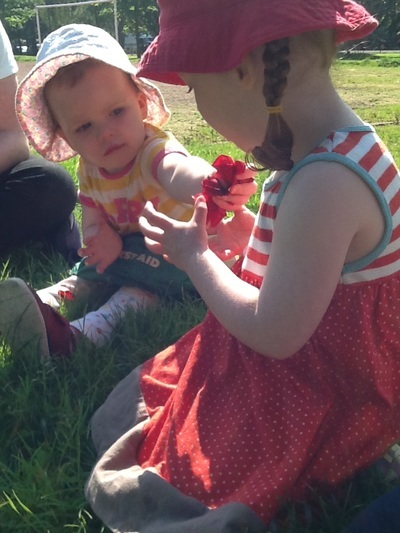 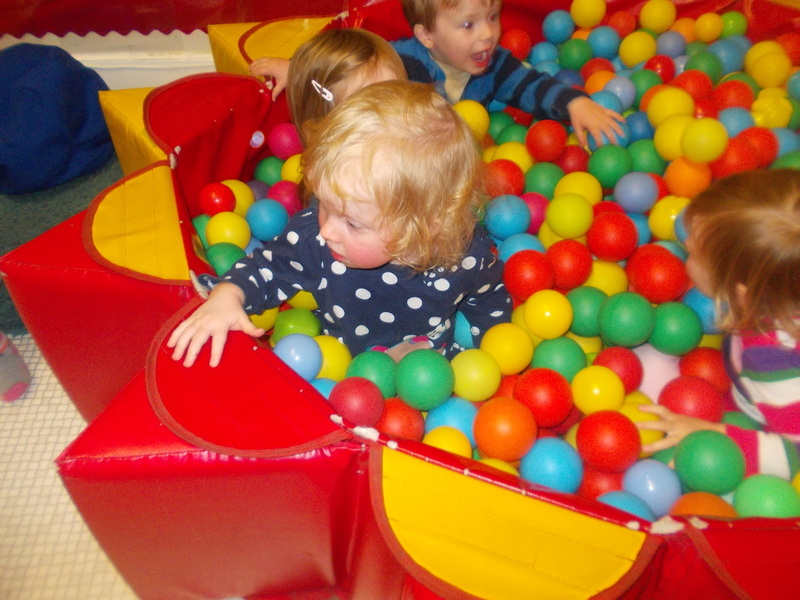 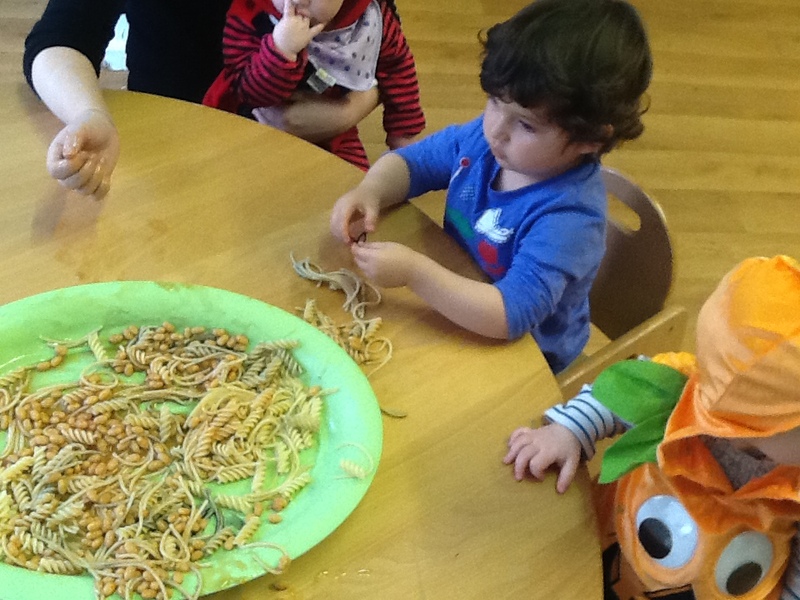 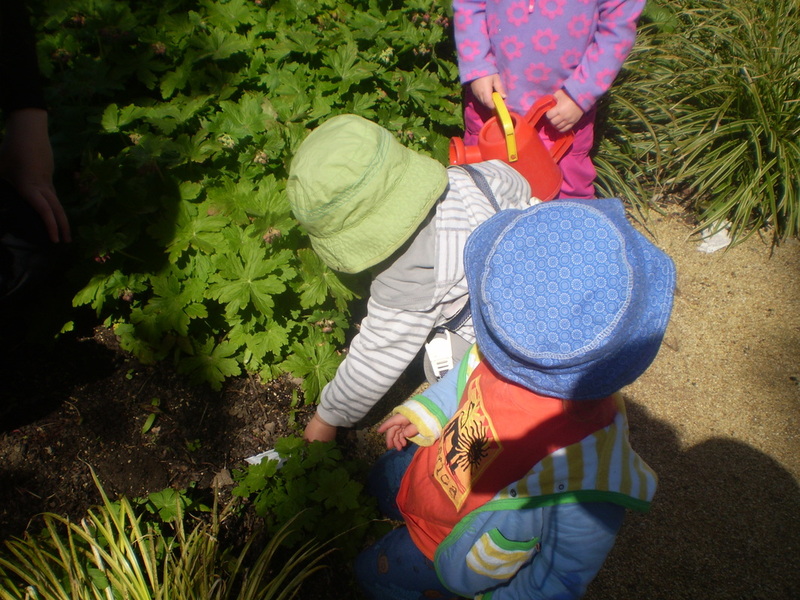 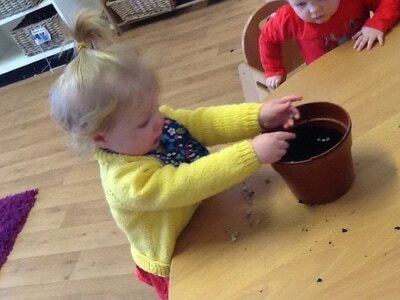 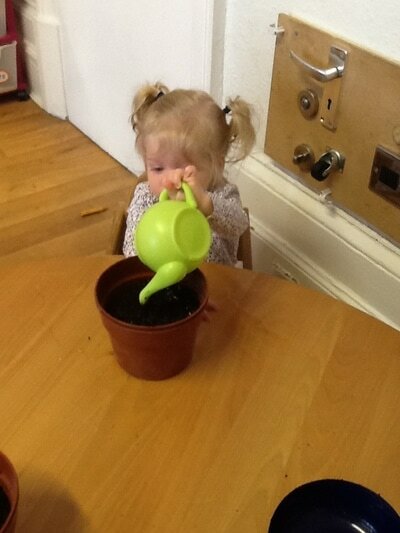 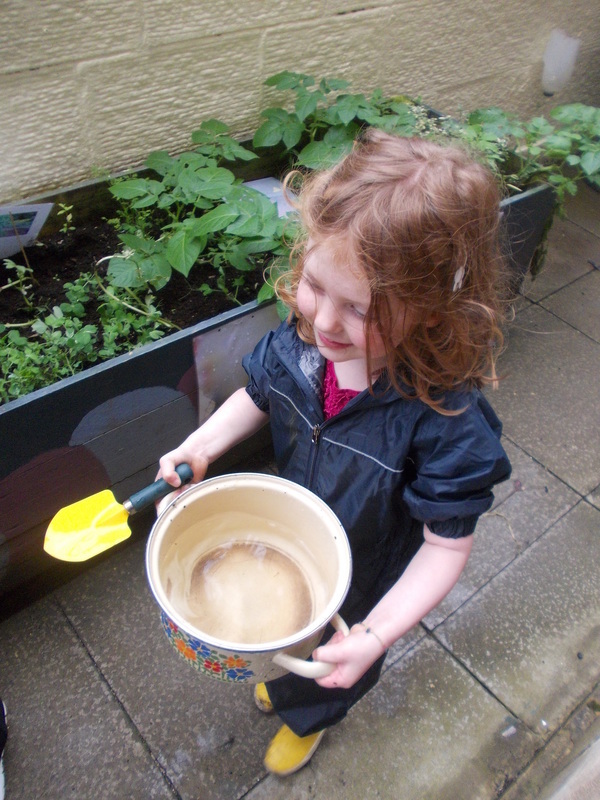 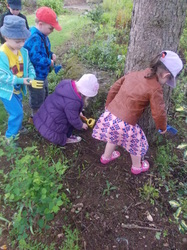 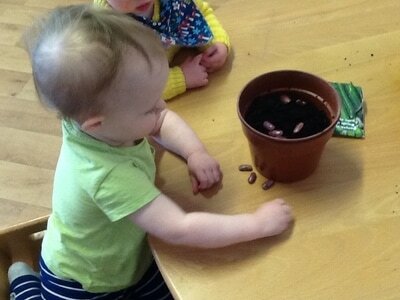 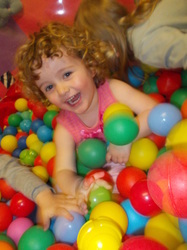 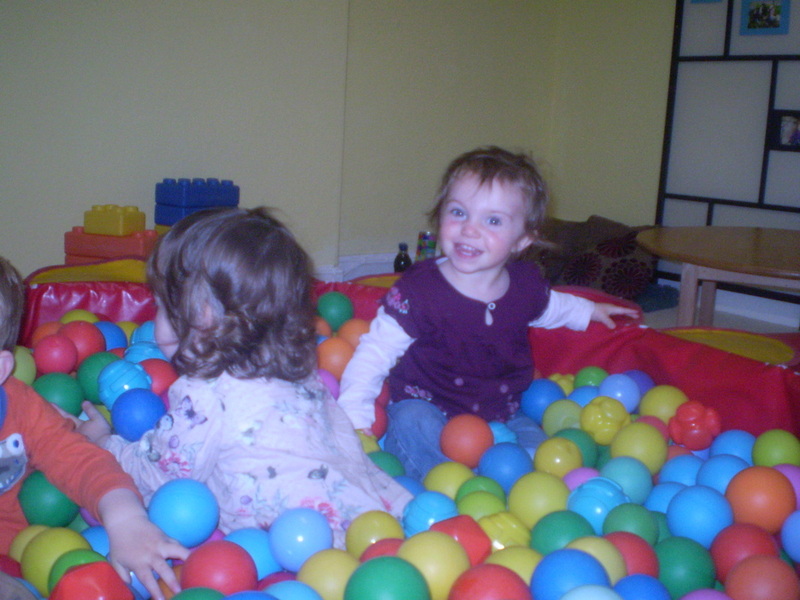 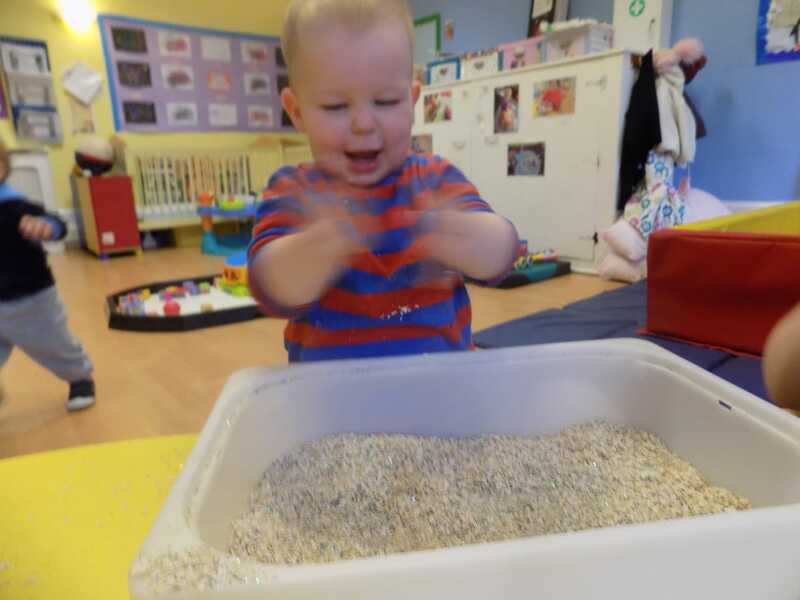 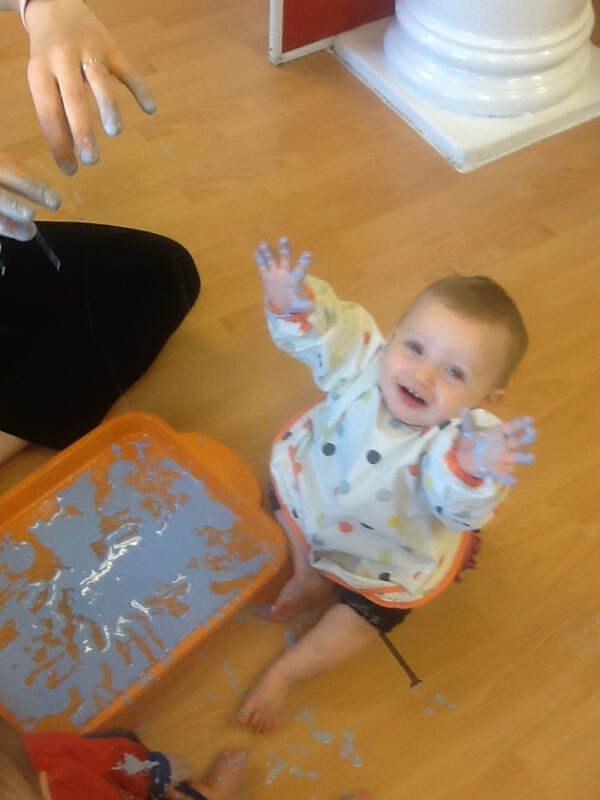 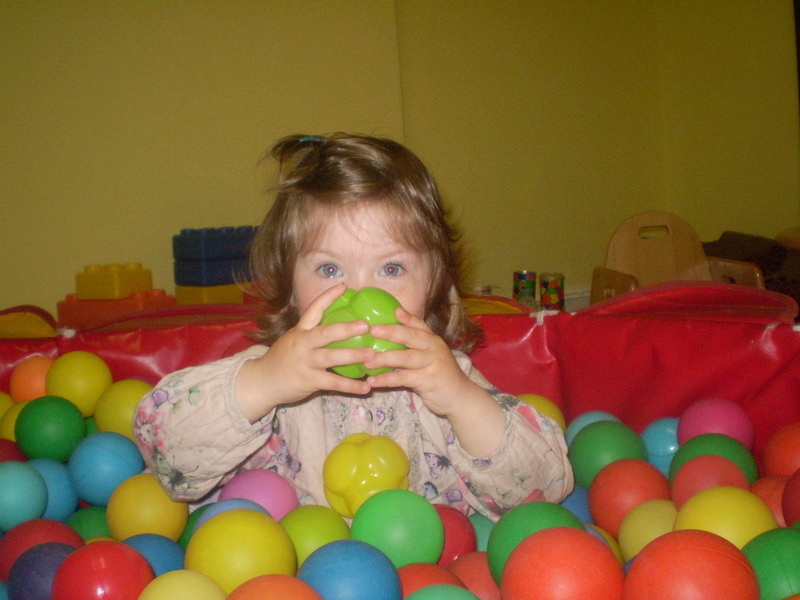 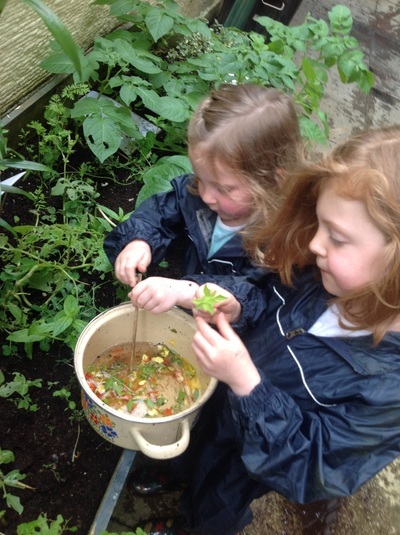 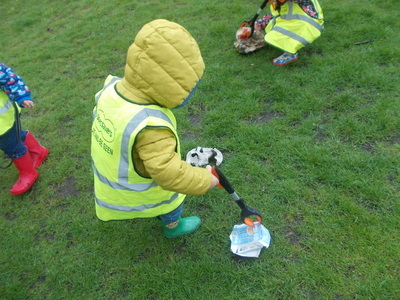 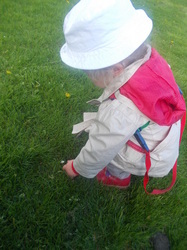 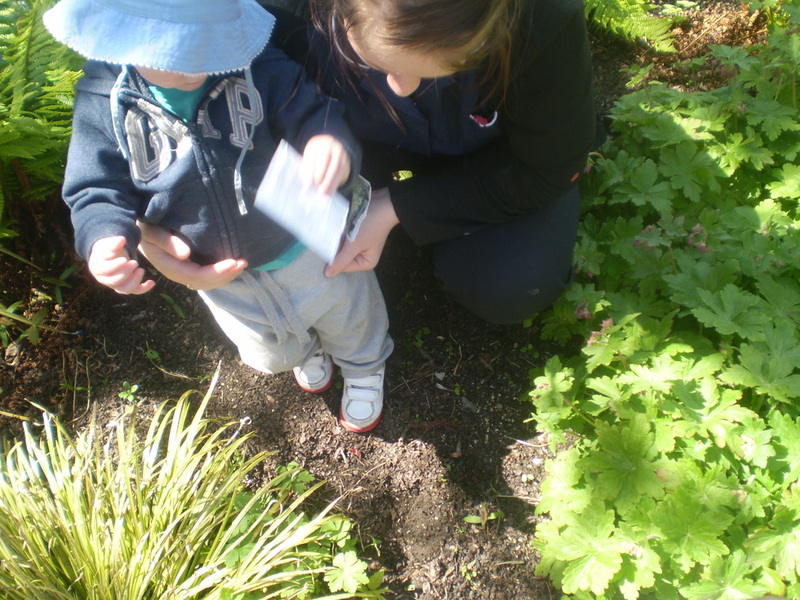 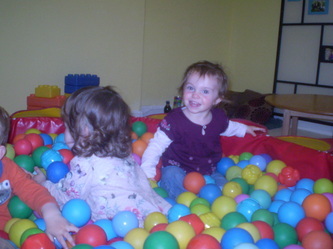 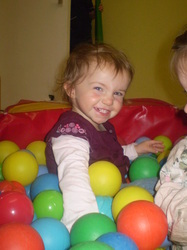 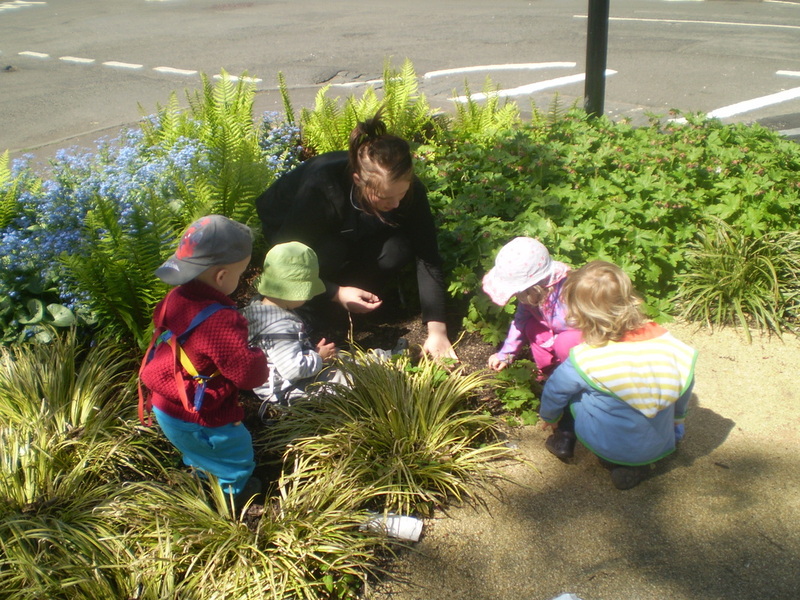 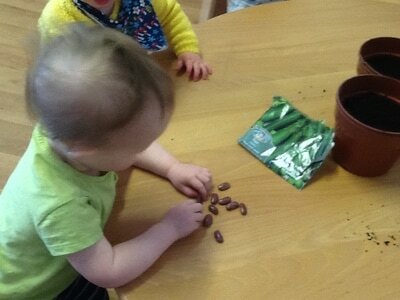 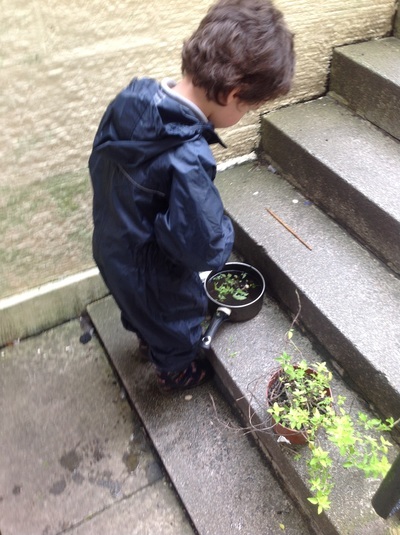 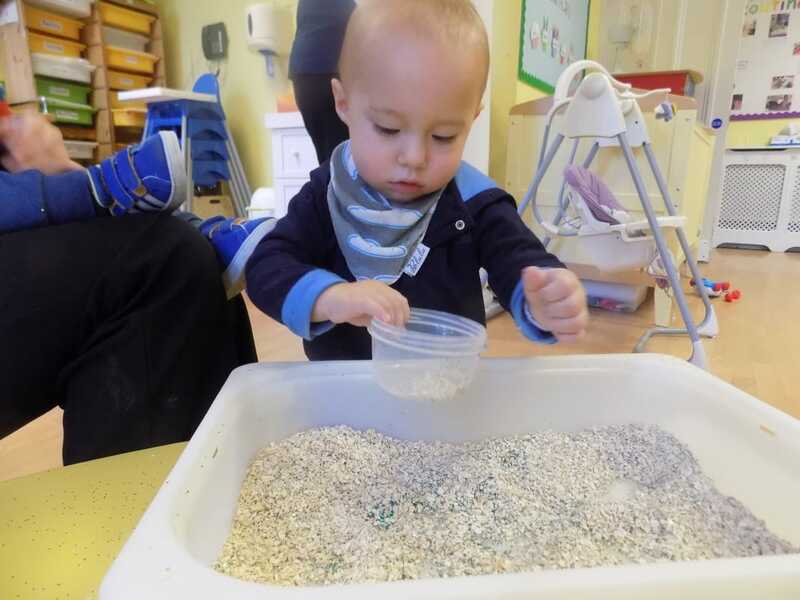 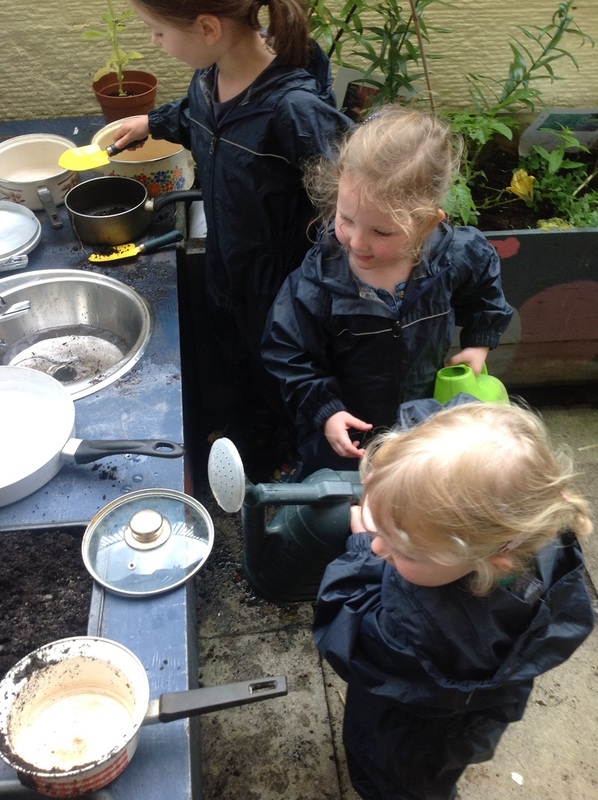 Our toddlers are having great fun planting their peas and beans! 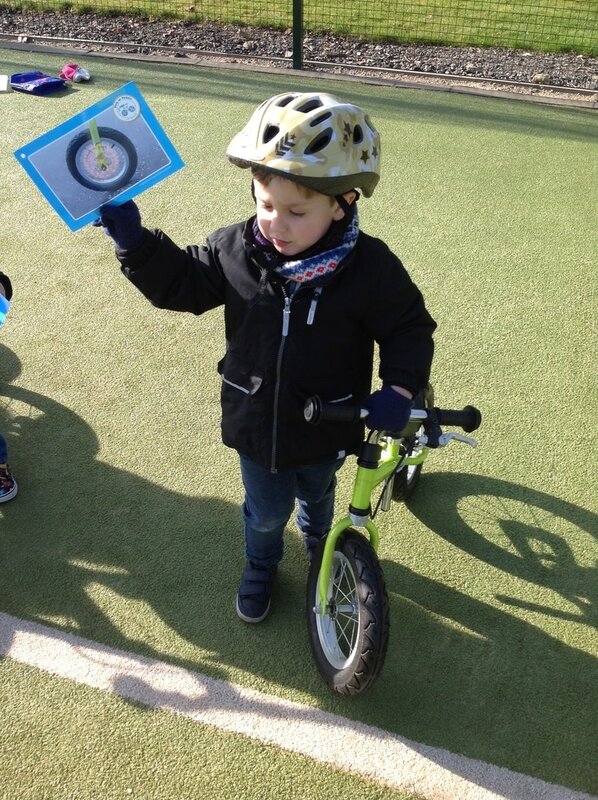 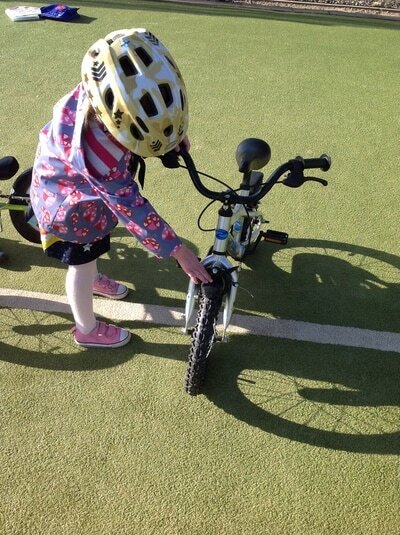 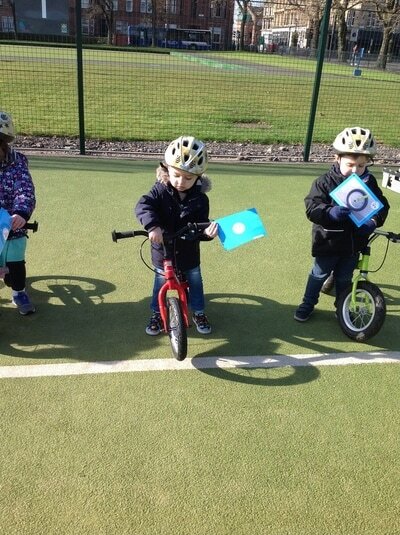 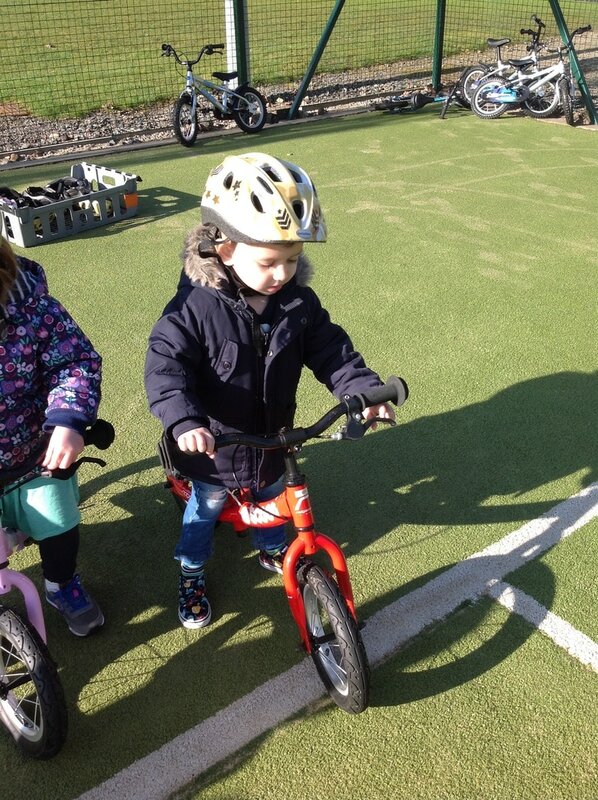 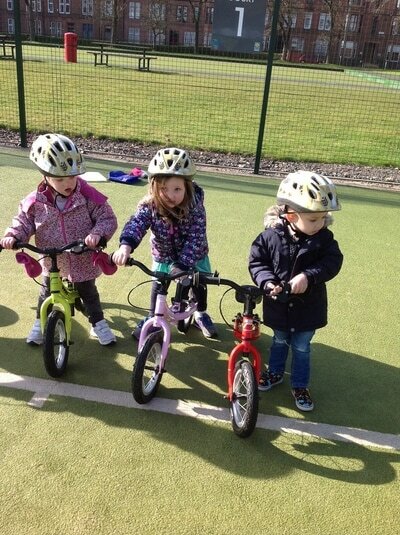 Practicing our cycling skills at out weekly play on pedals class. 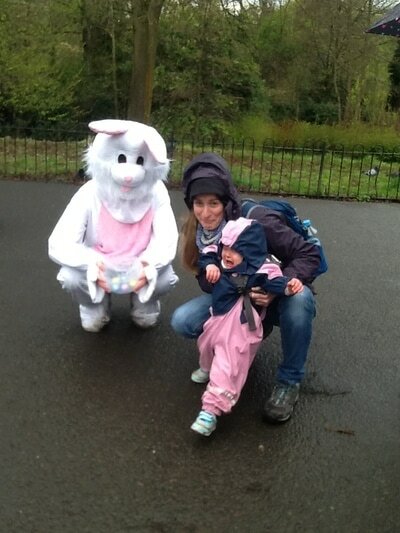 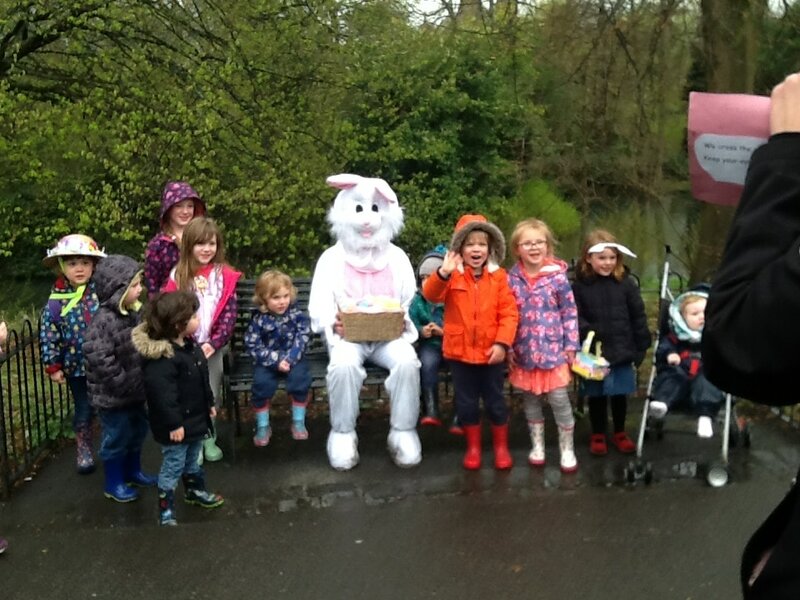 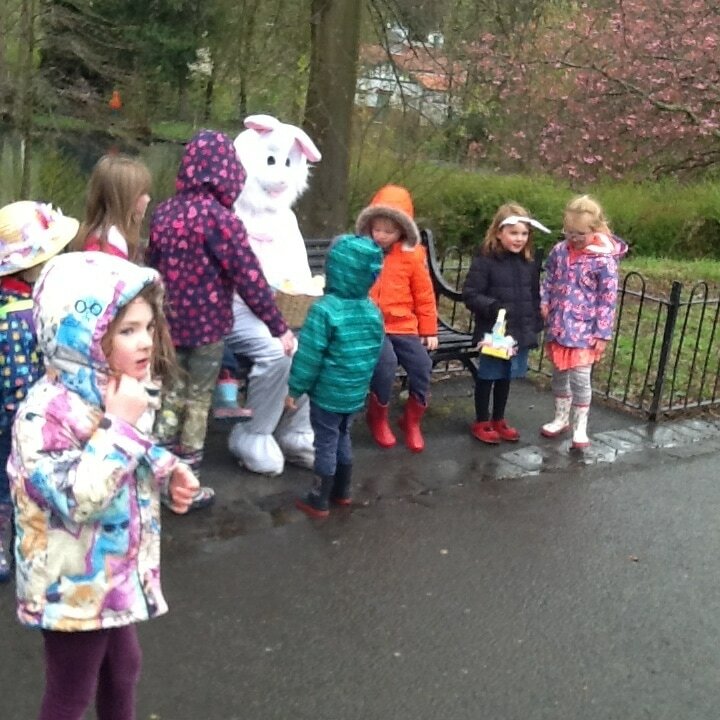 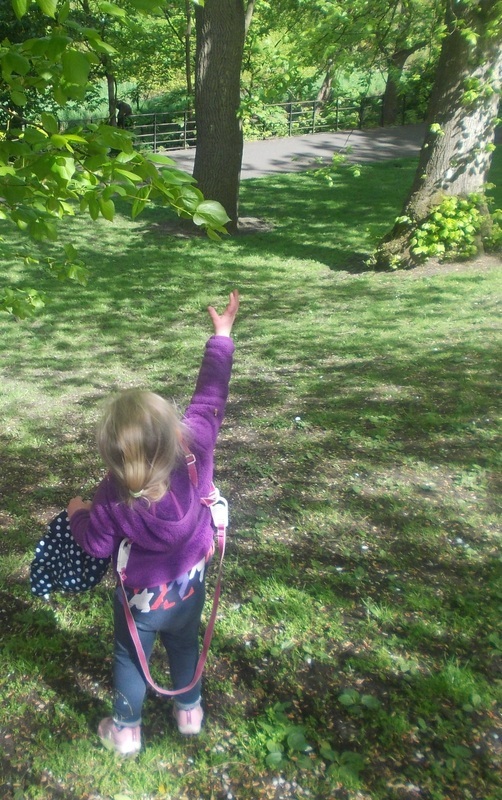 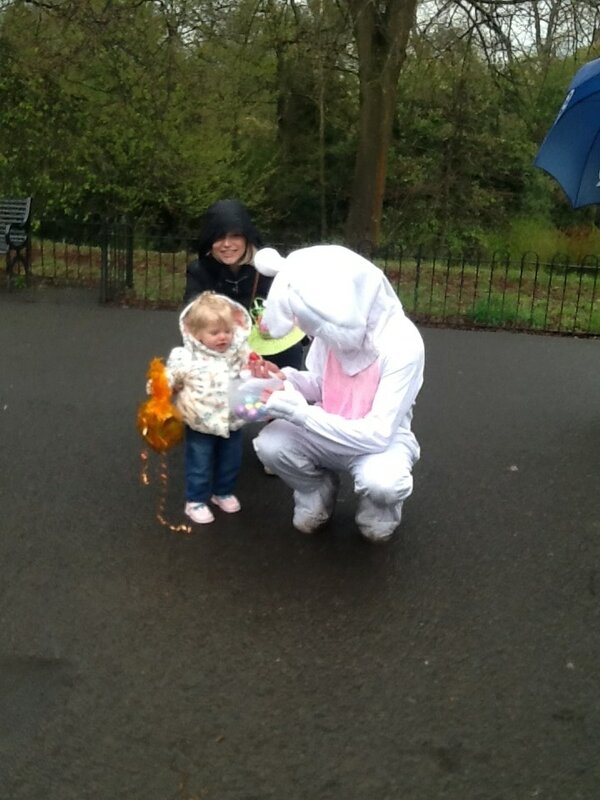 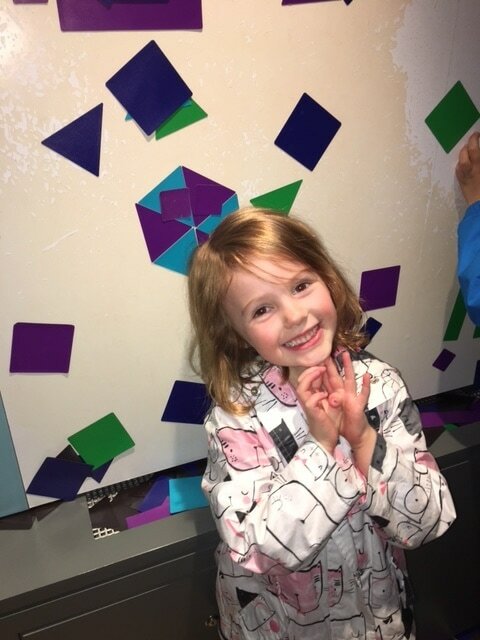 We followed the clues to find the Easter Bunny! 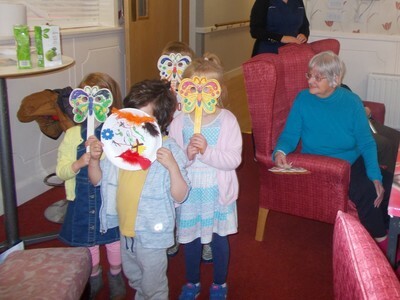 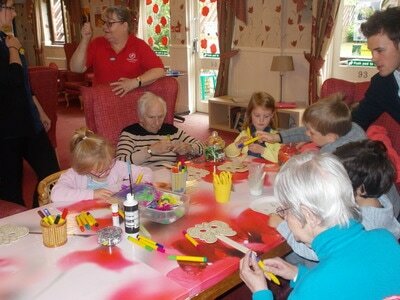 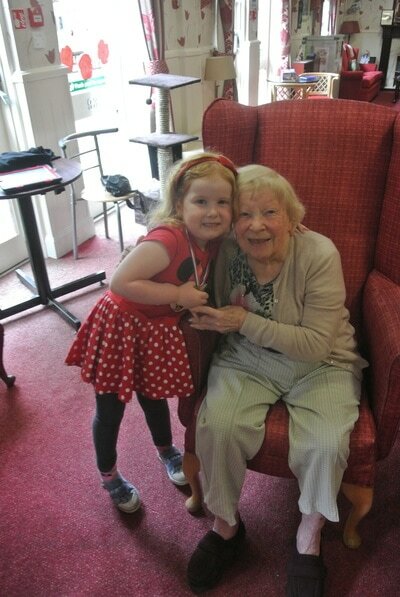 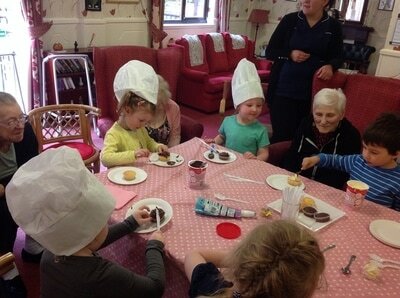 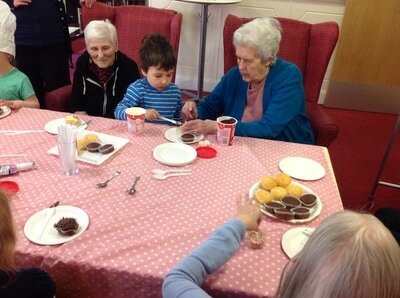 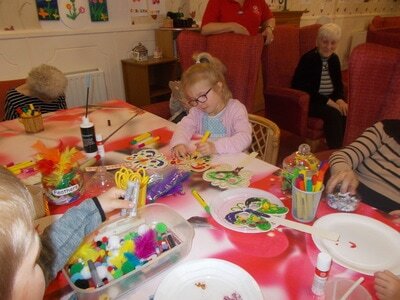 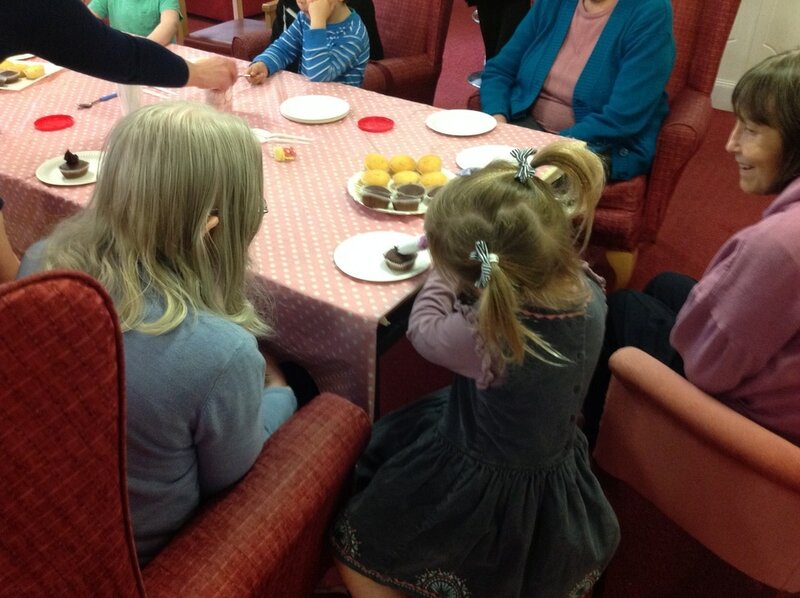 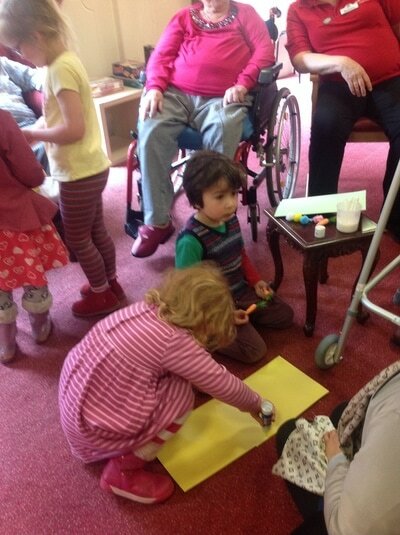 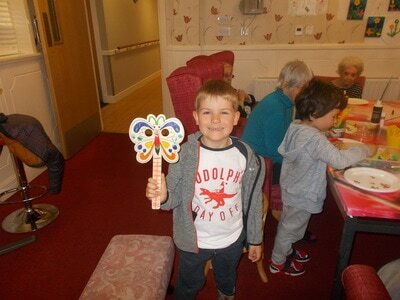 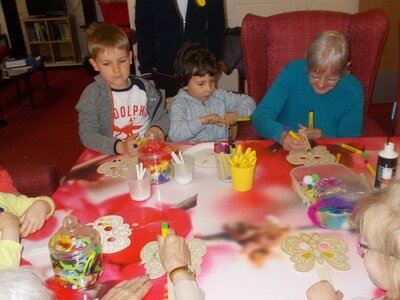 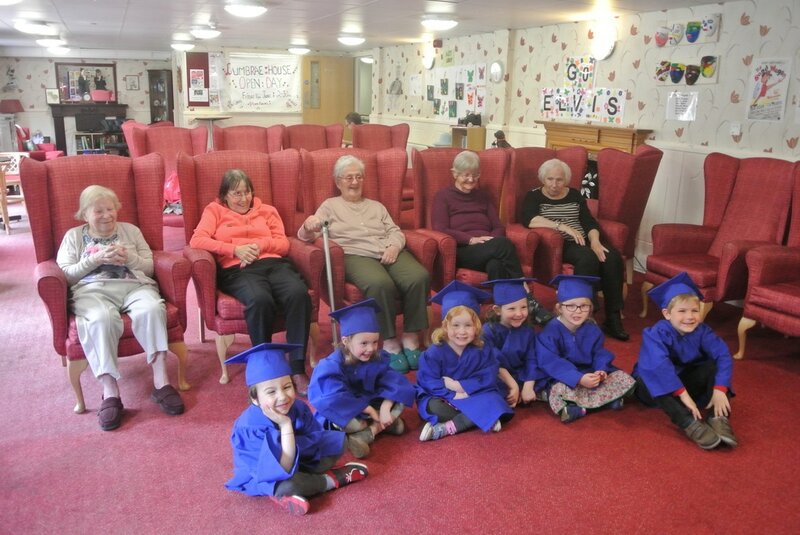 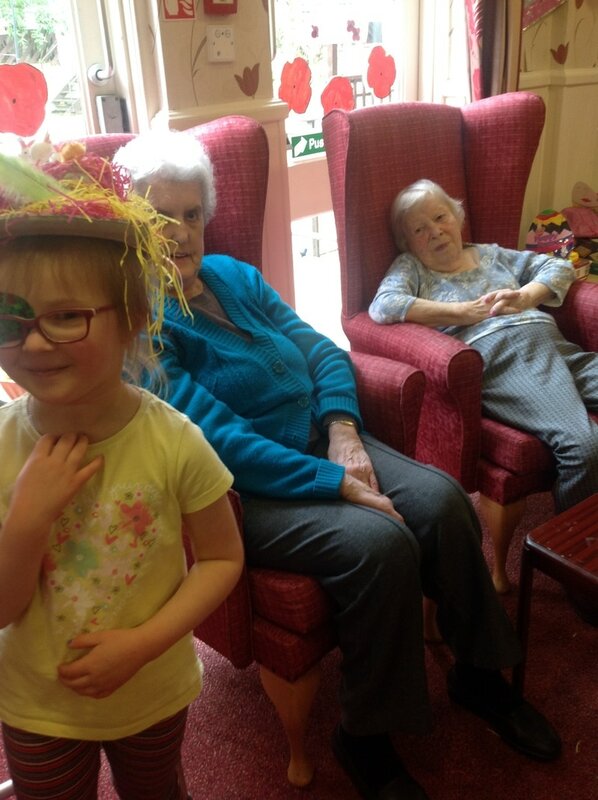 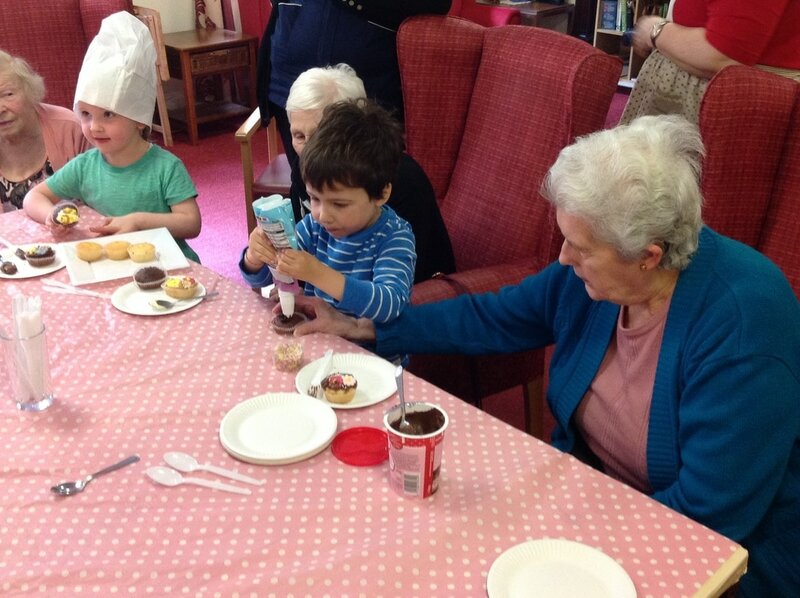 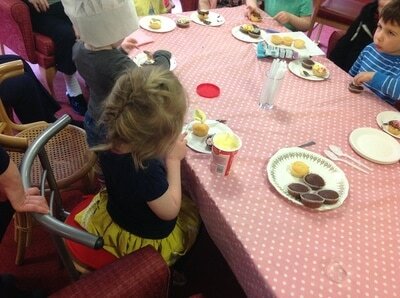 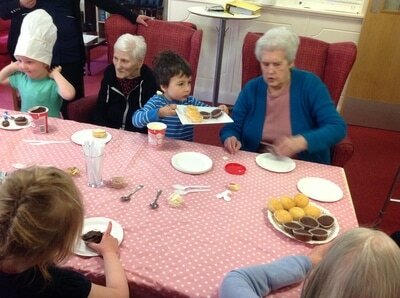 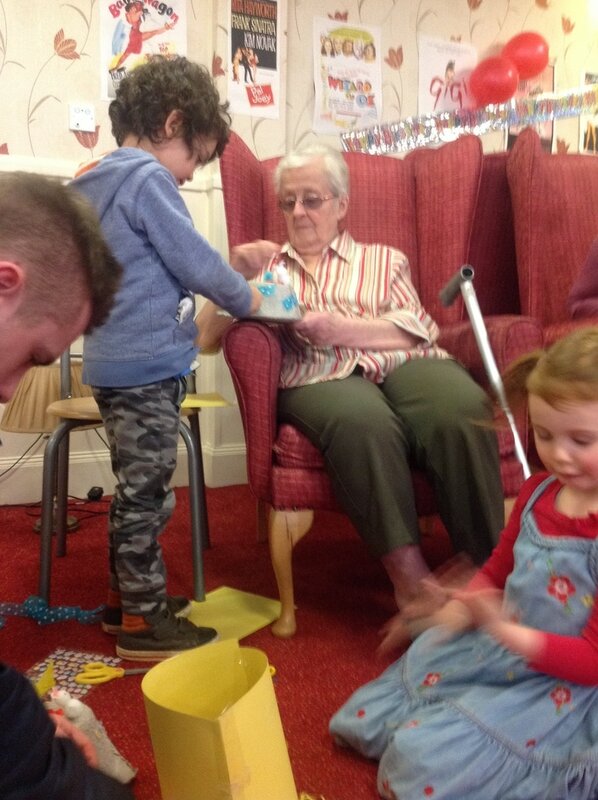 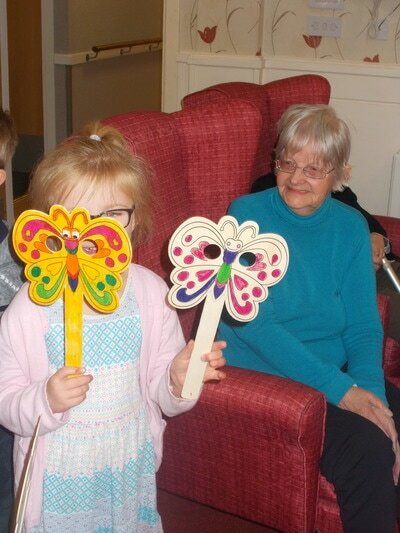 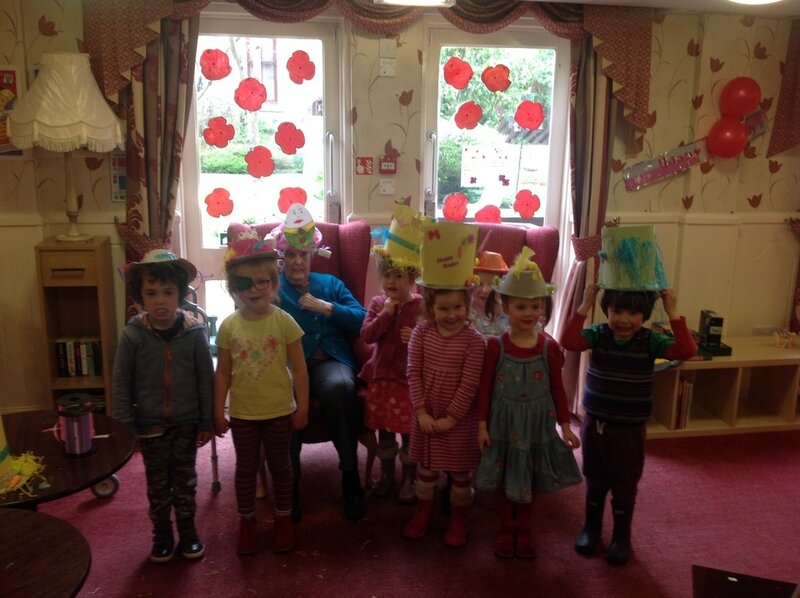 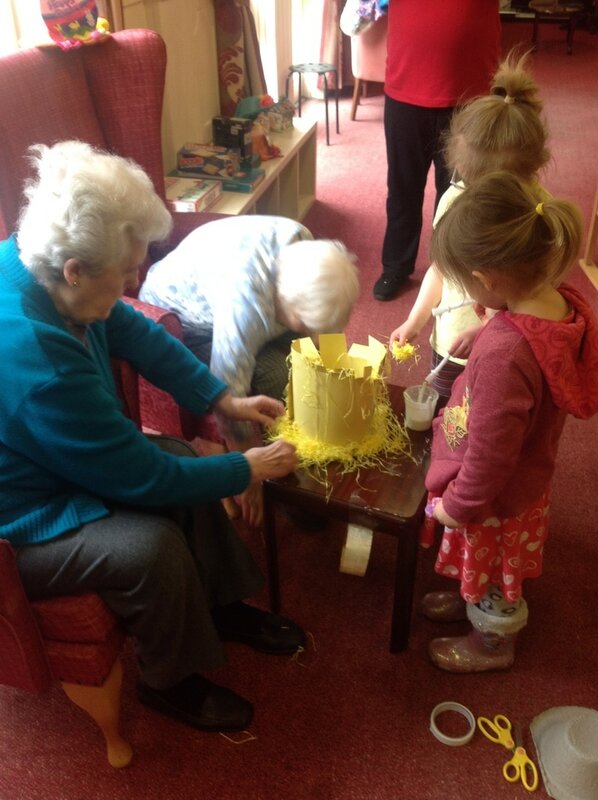 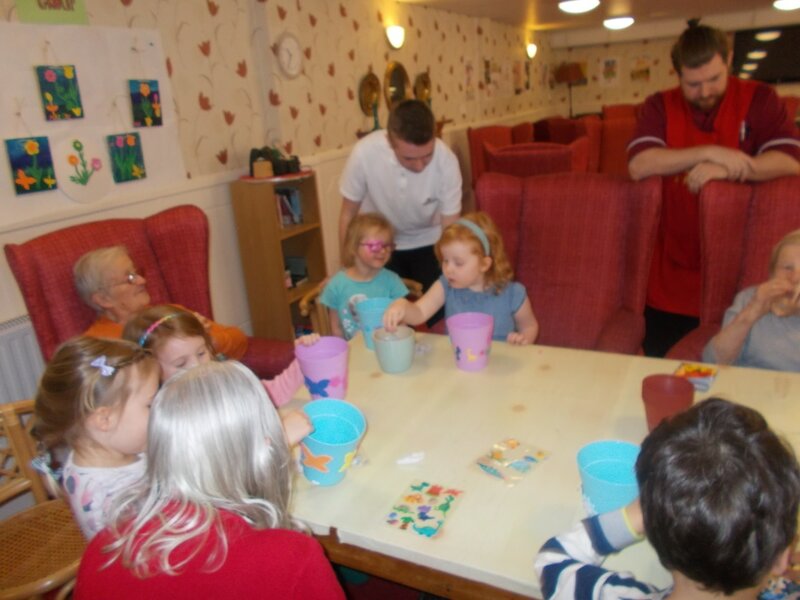 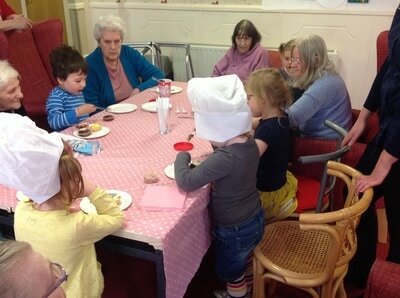 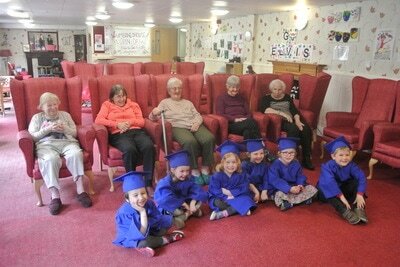 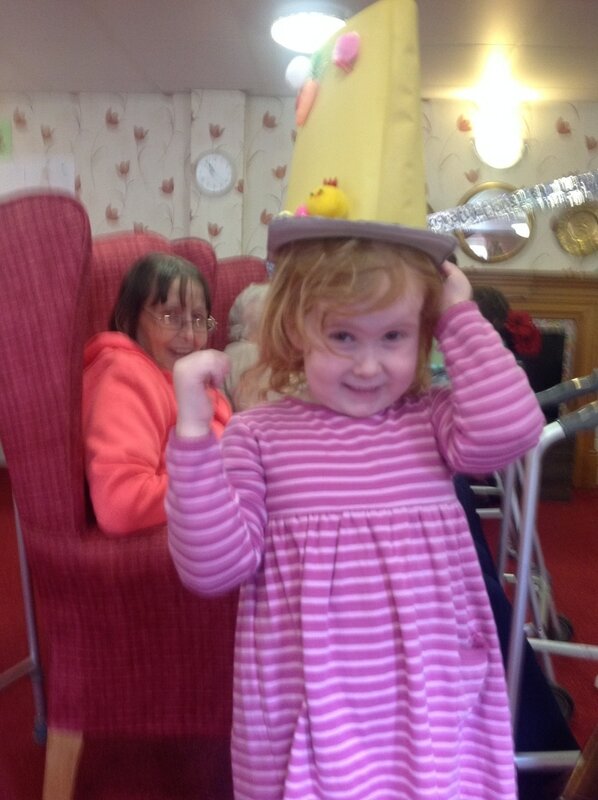 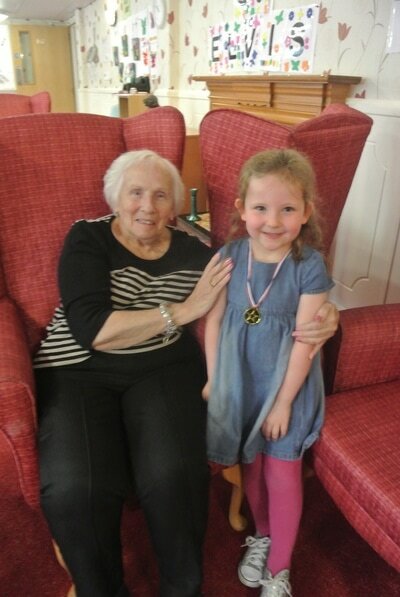 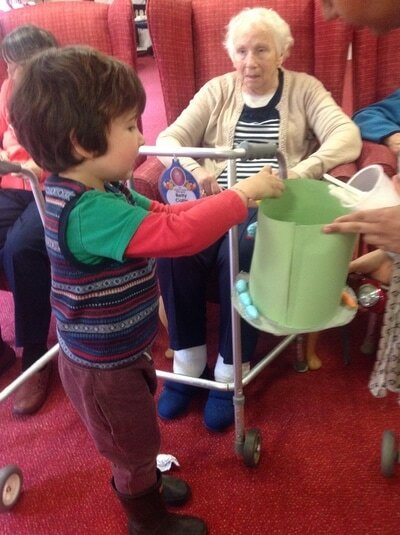 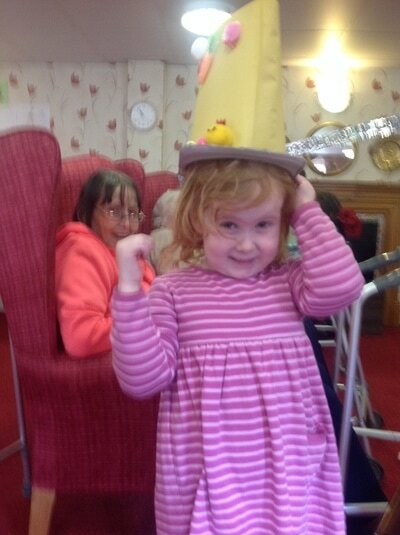 We visited Cumbrae House Care Home and the residents helped us to make our Easter Bonnets! 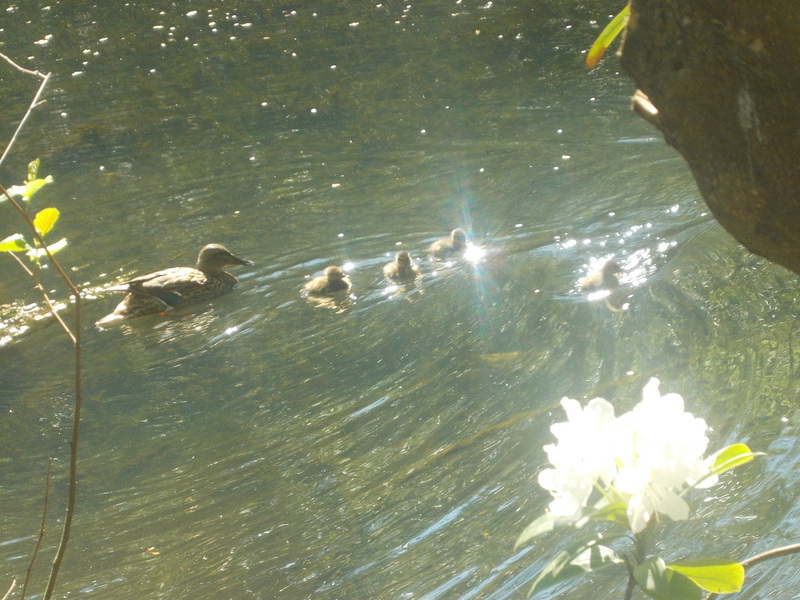 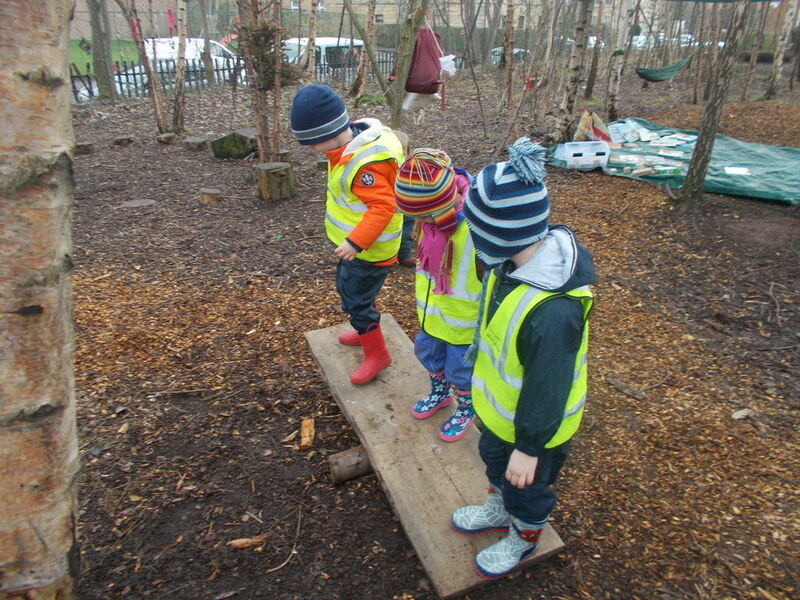 We are learning to be really great team players, supporting each other in our adventures. 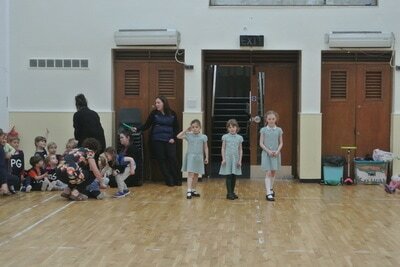 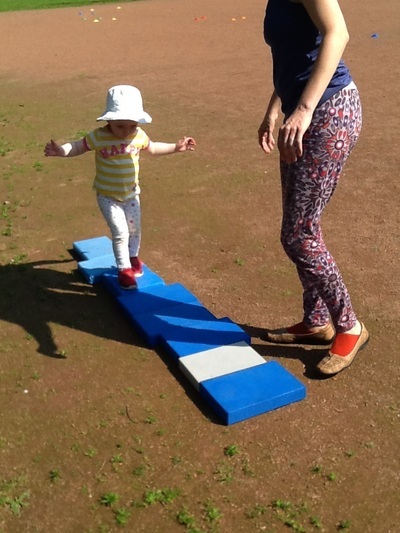 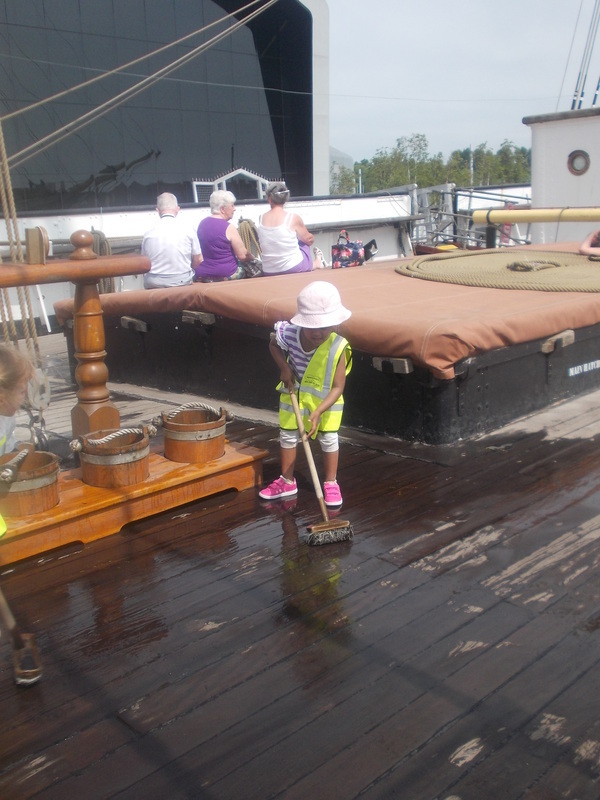 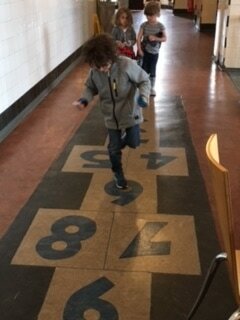 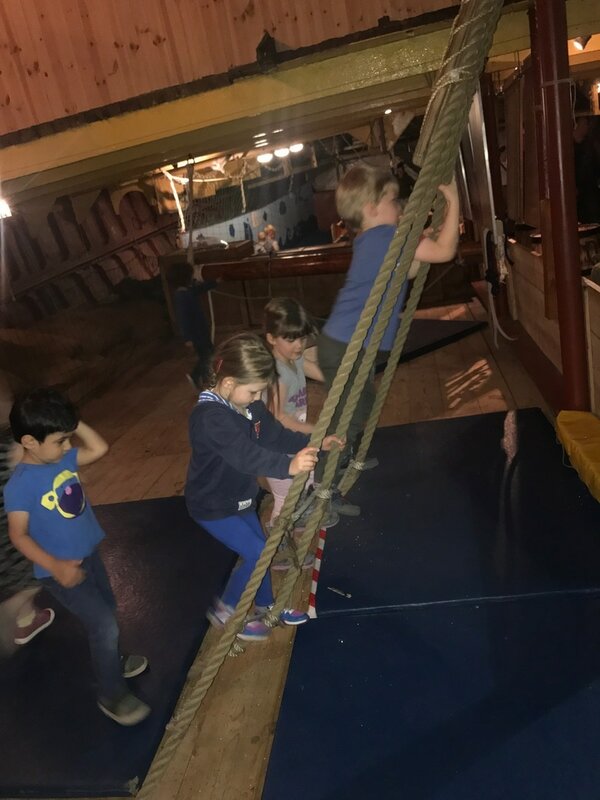 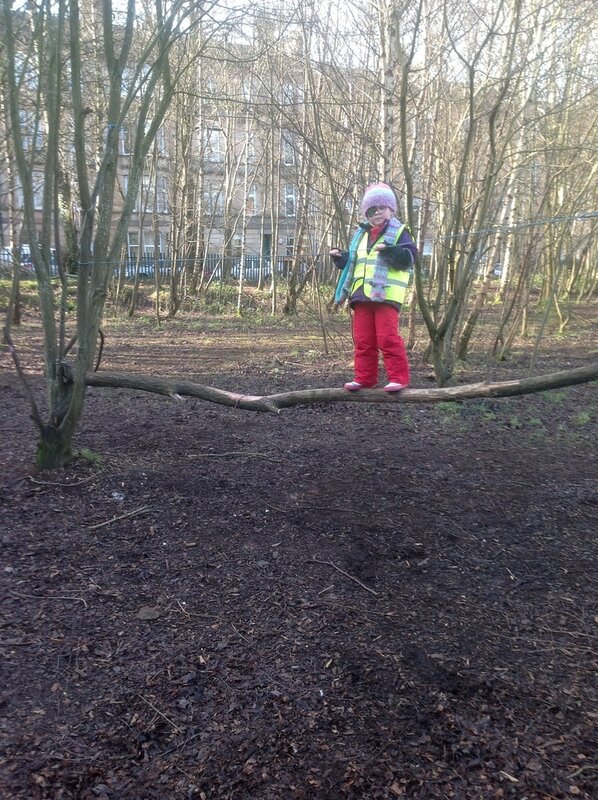 We are also developing some really important problem solving skills and we are measuring risk for ourselves. 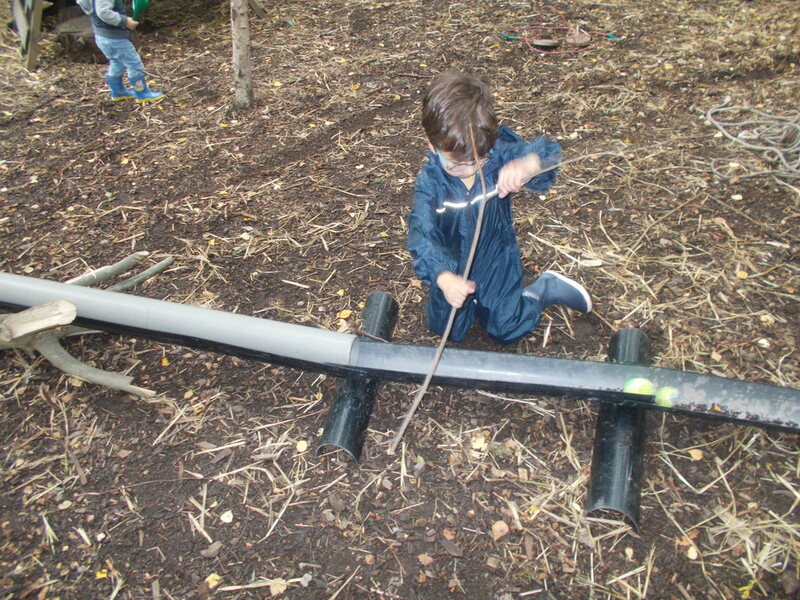 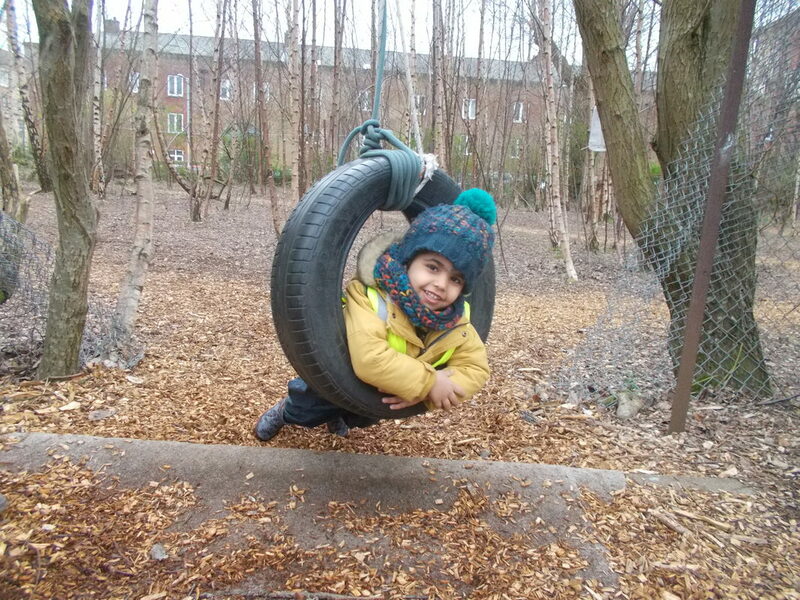 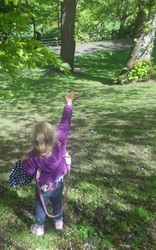 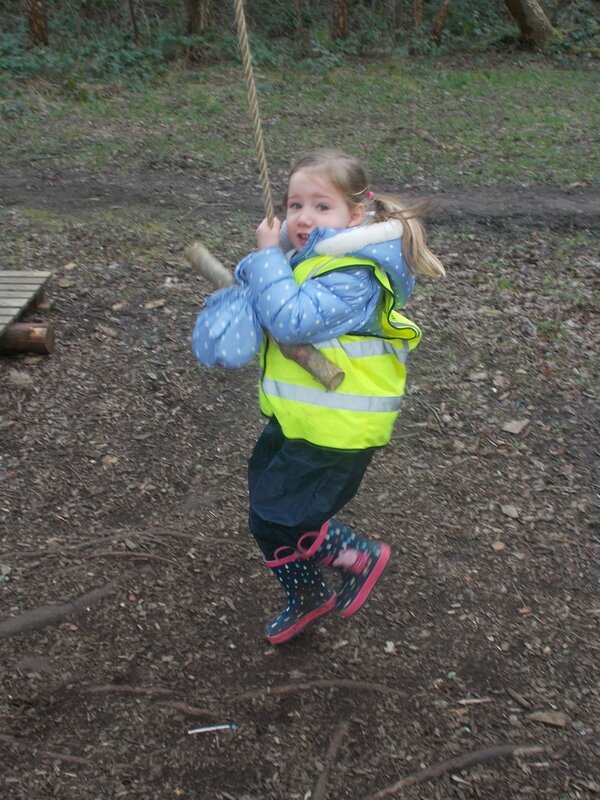 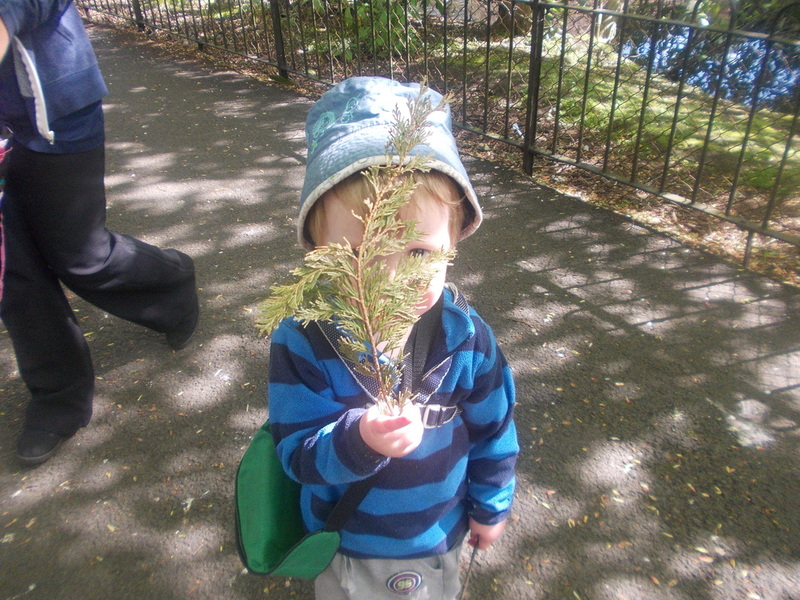 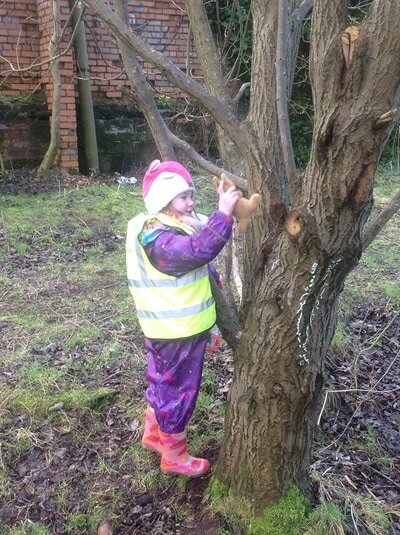 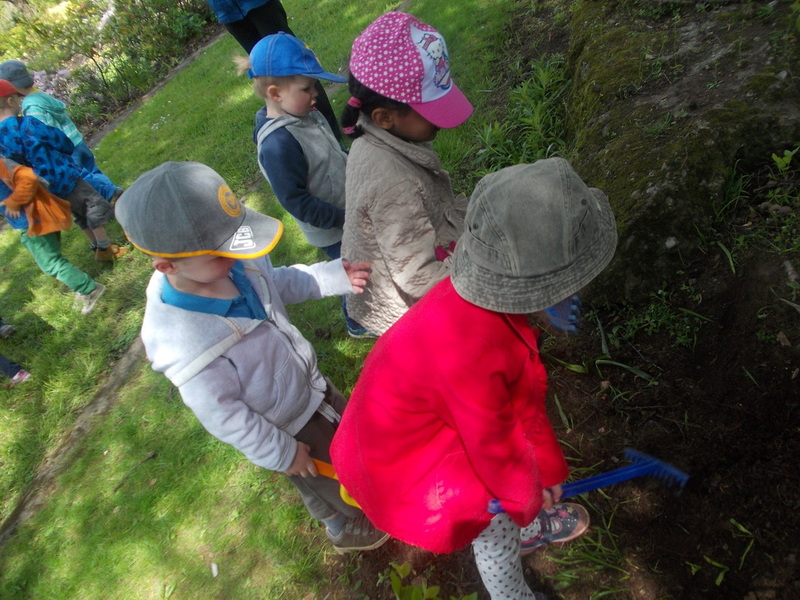 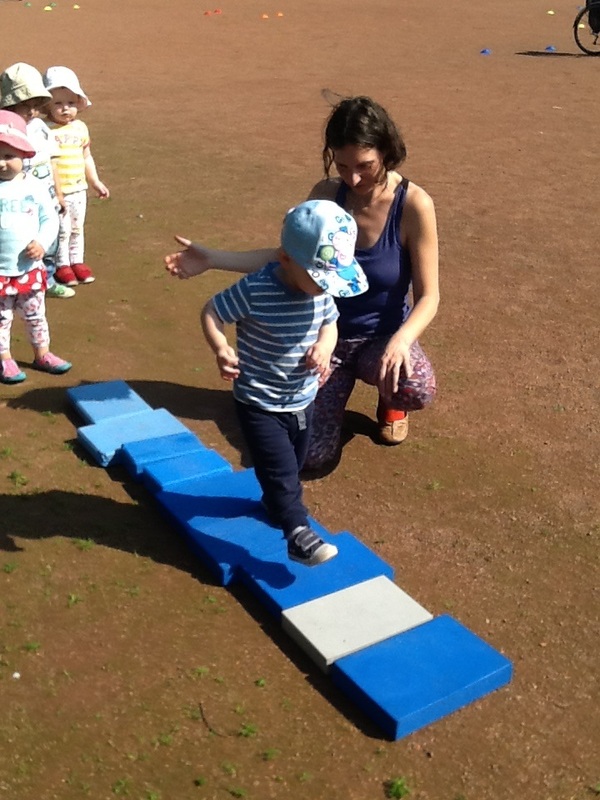 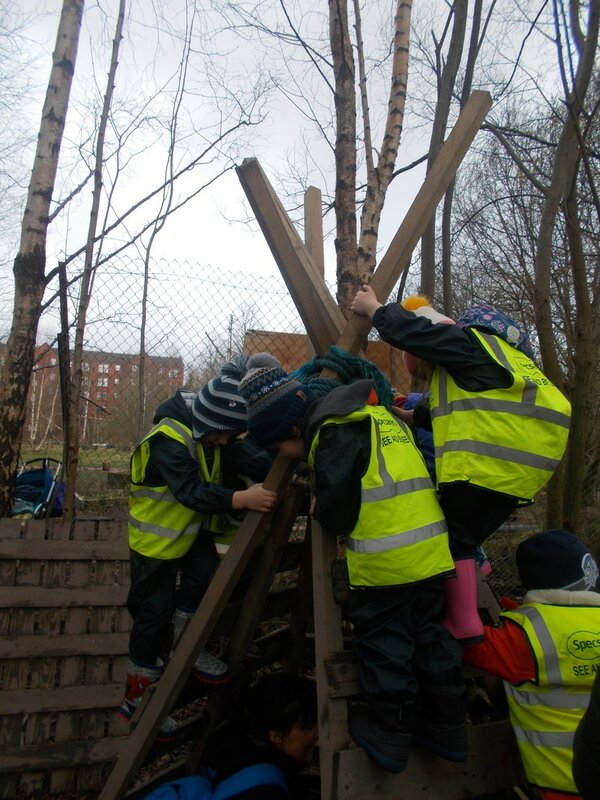 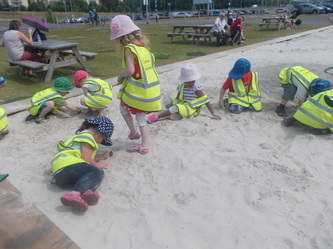 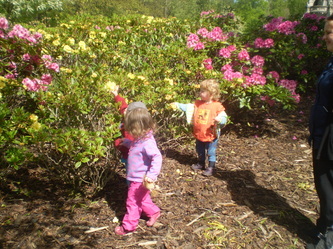 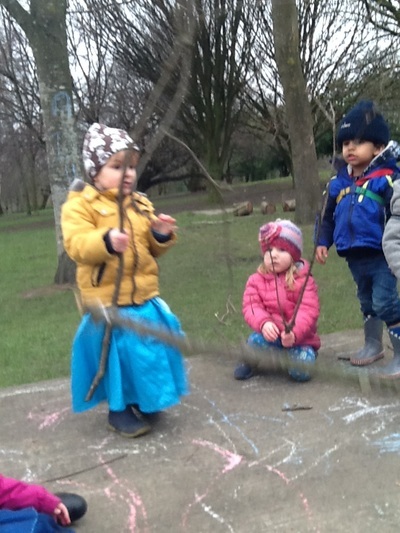 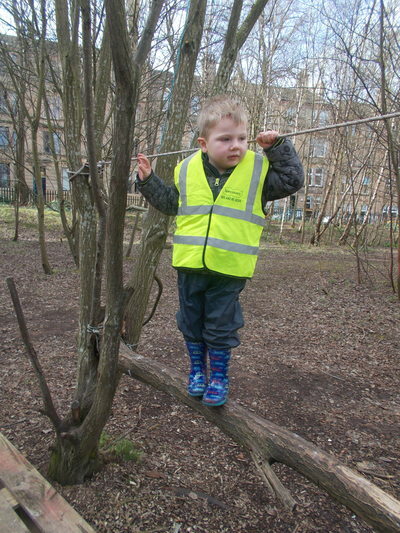 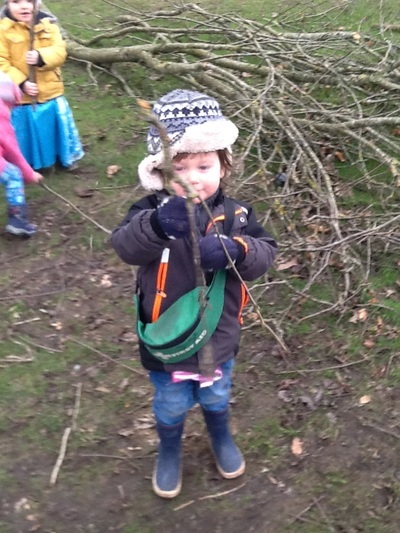 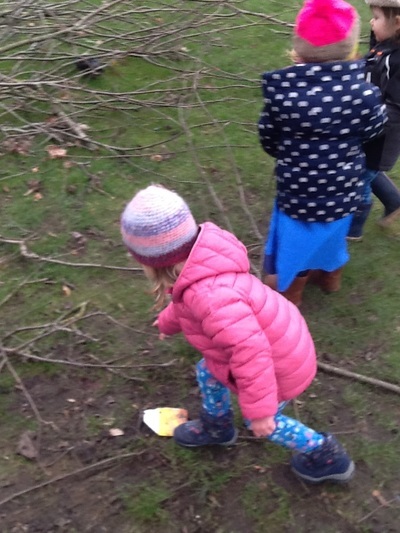 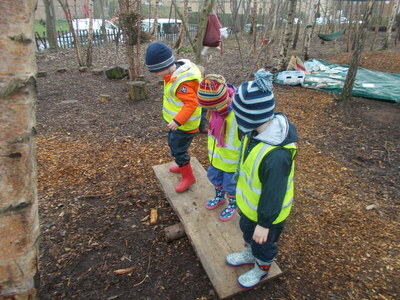 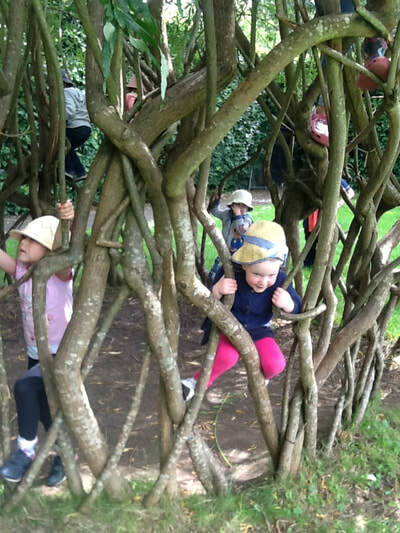 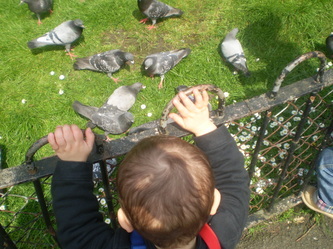 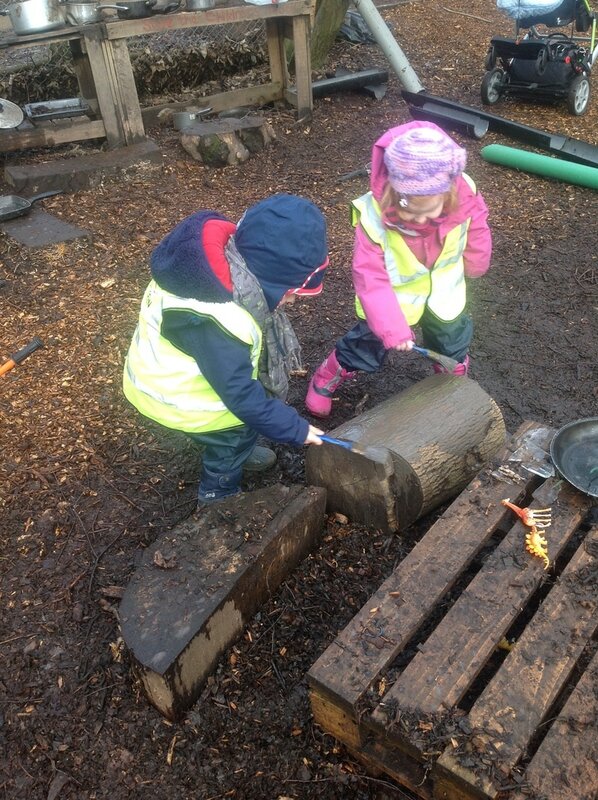 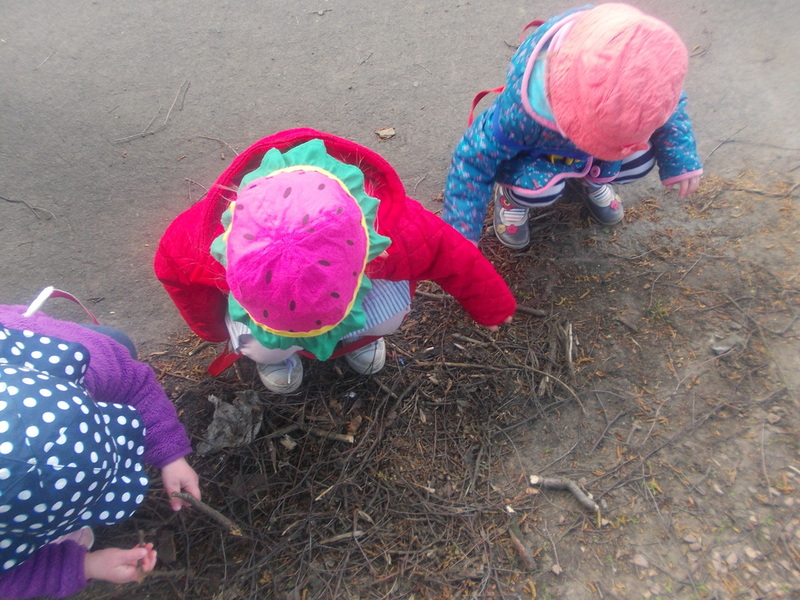 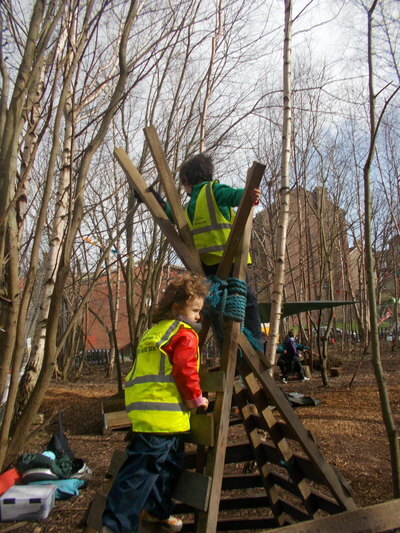 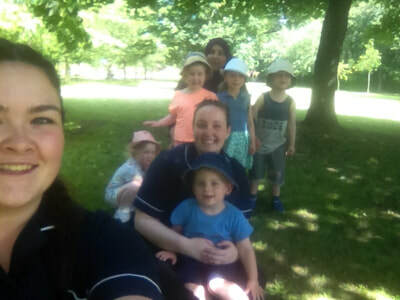 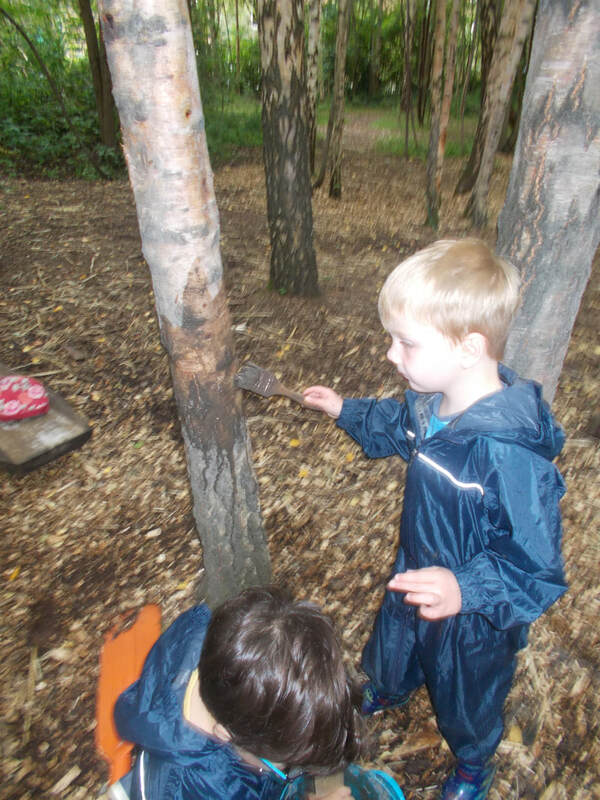 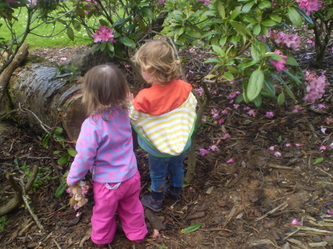 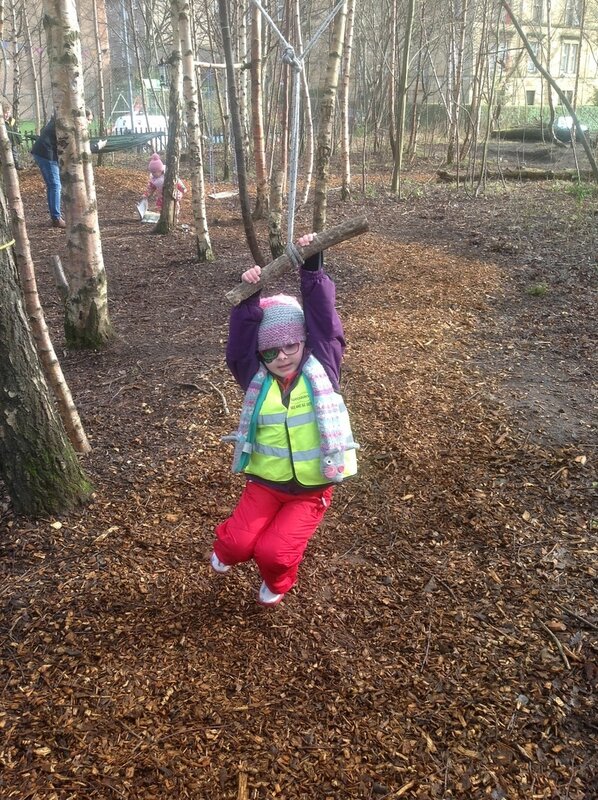 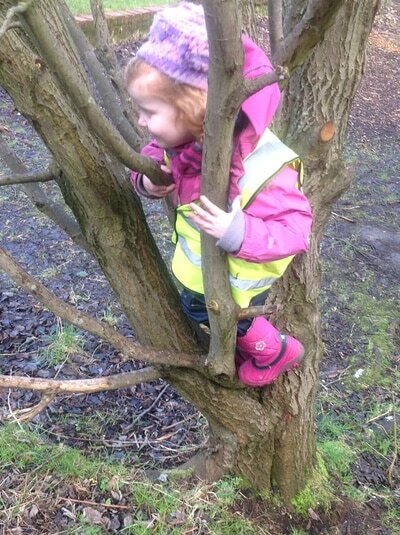 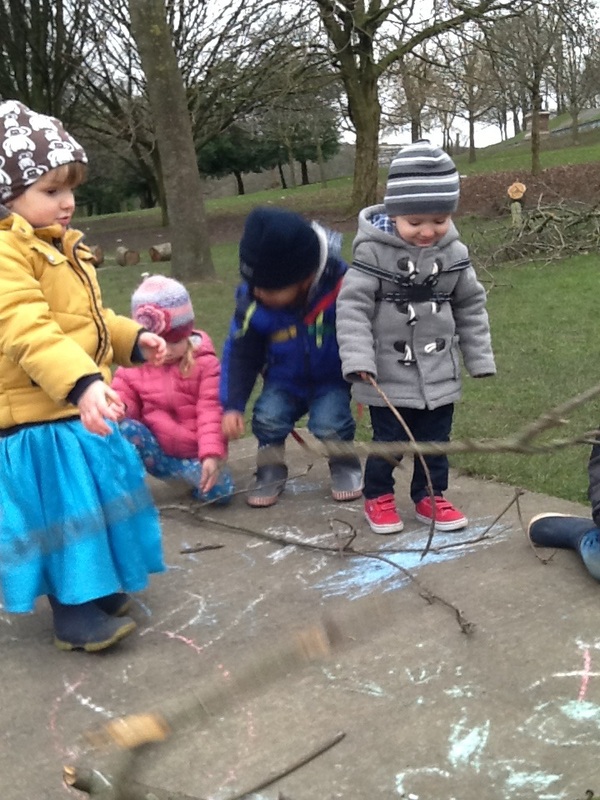 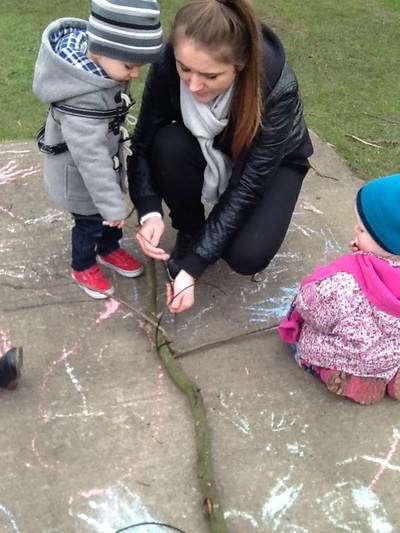 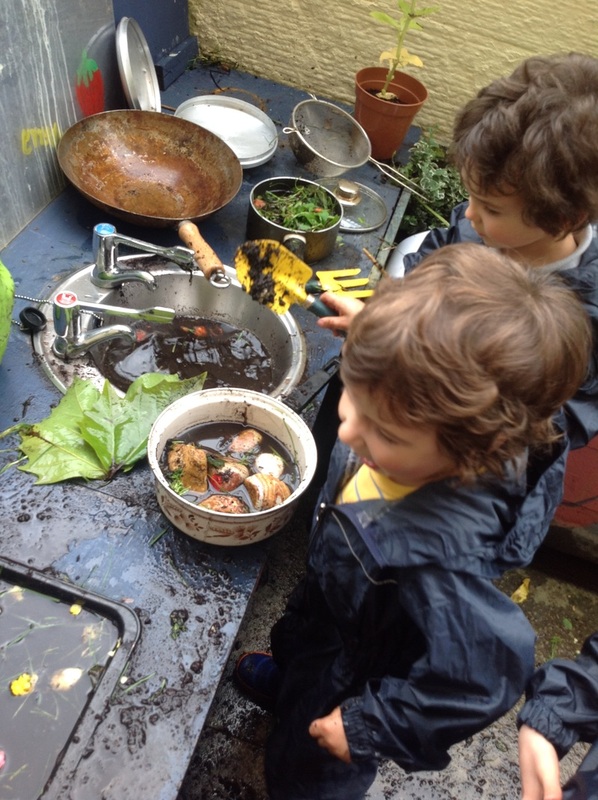 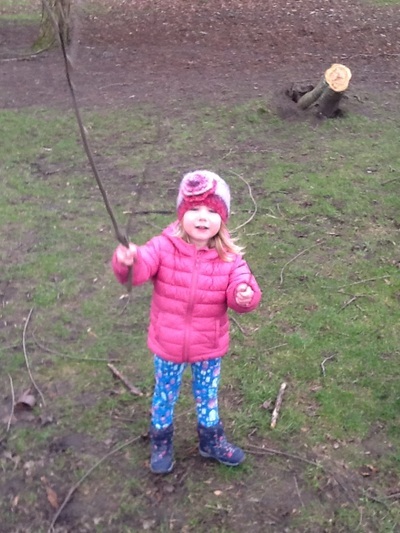 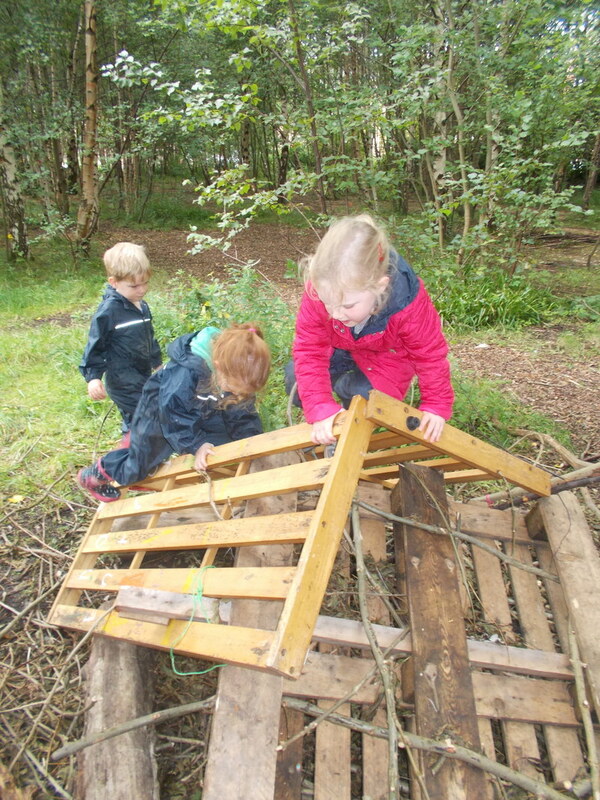 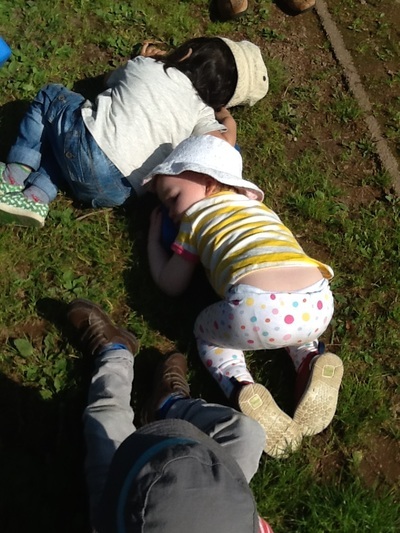 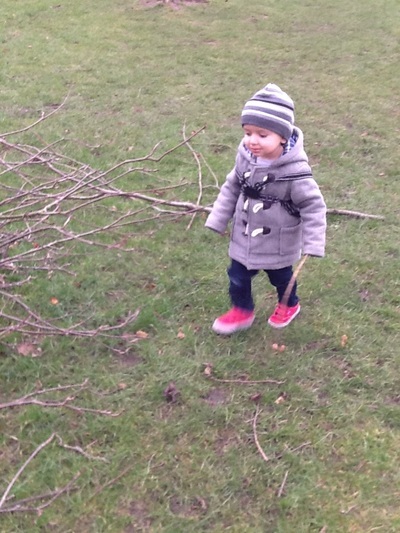 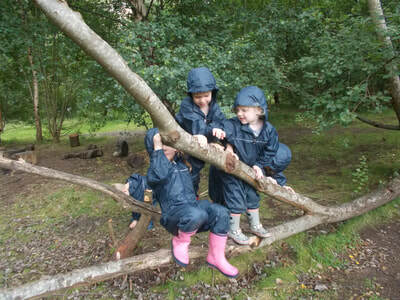 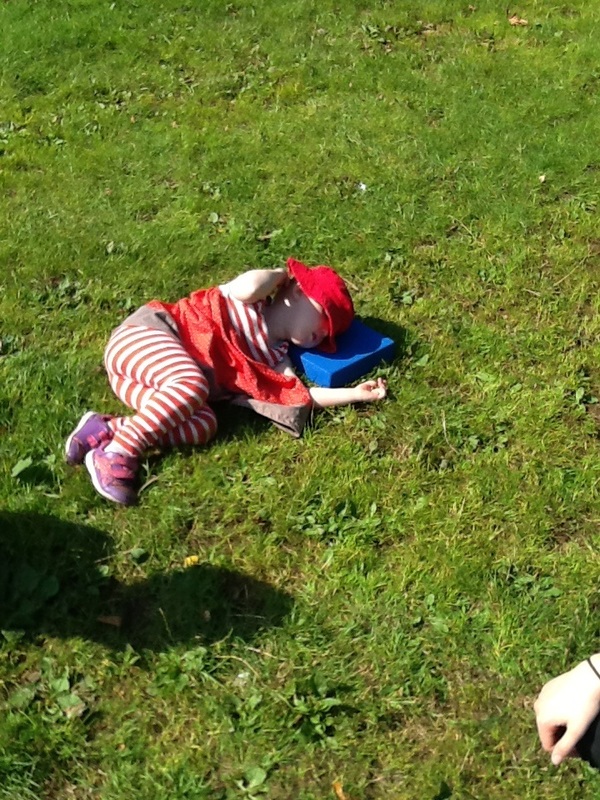 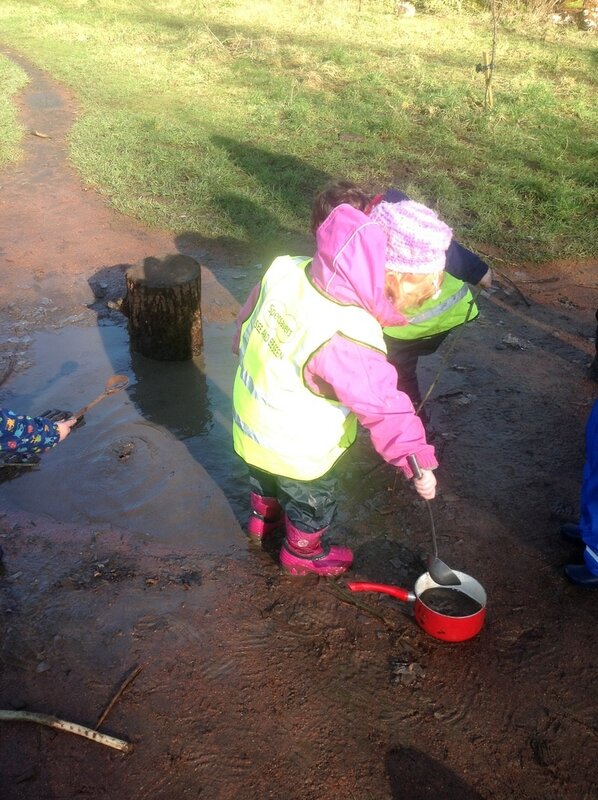 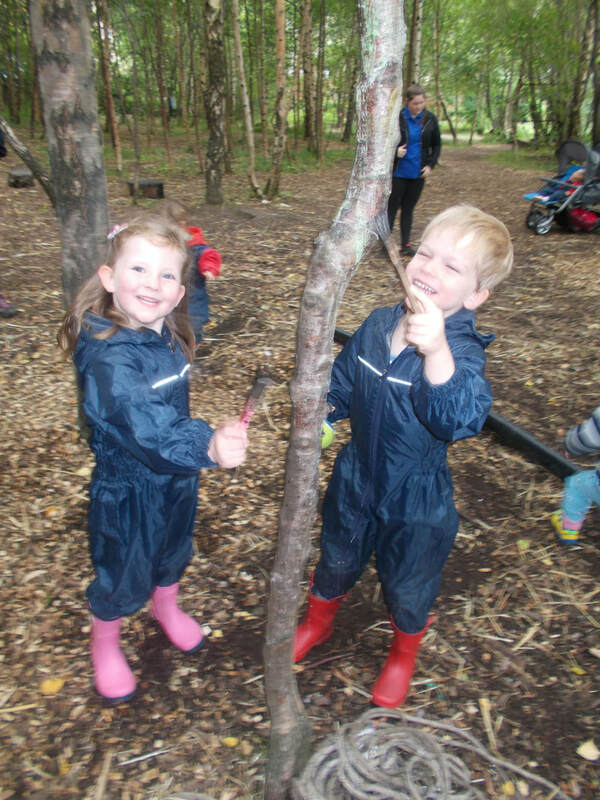 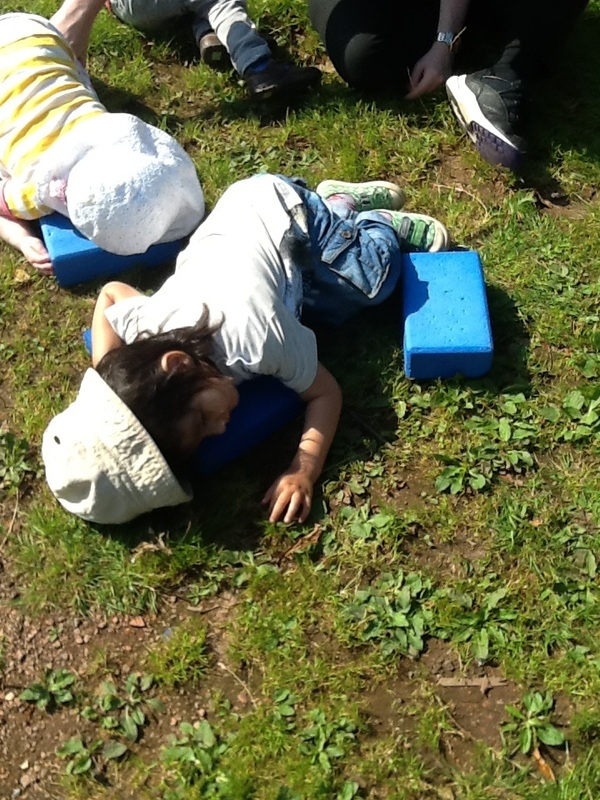 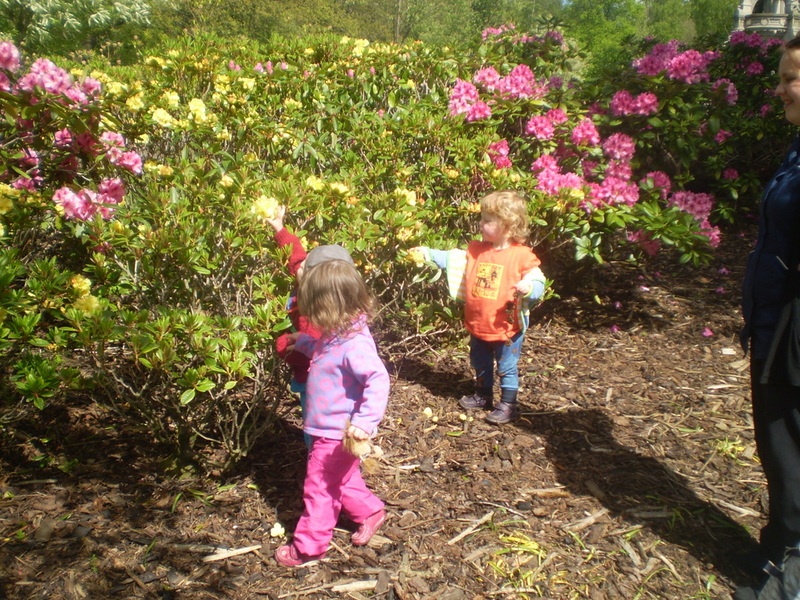 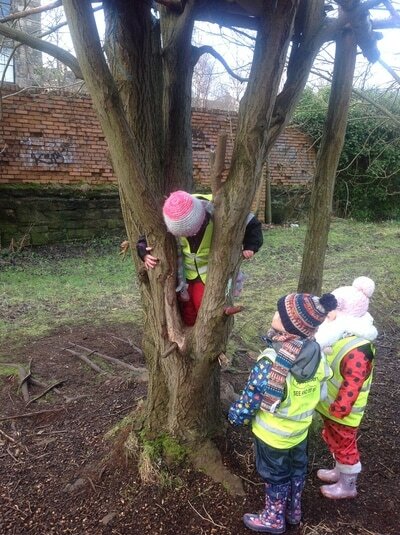 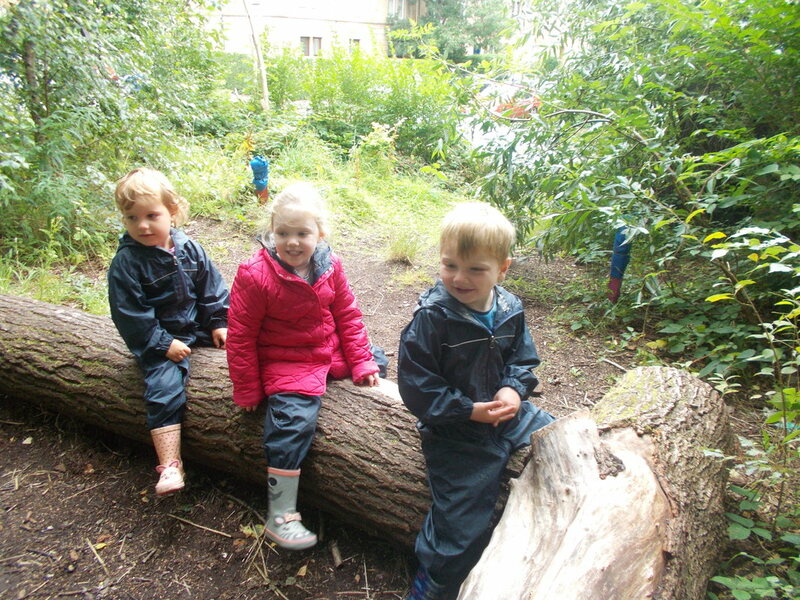 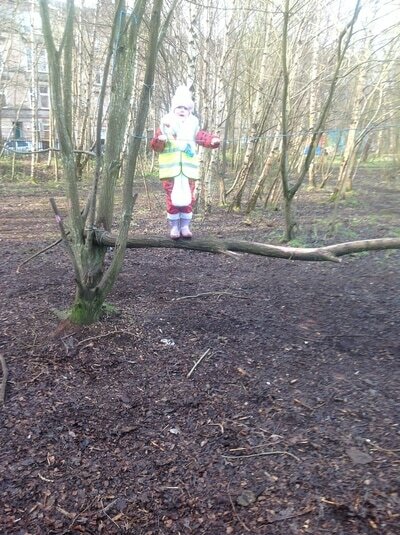 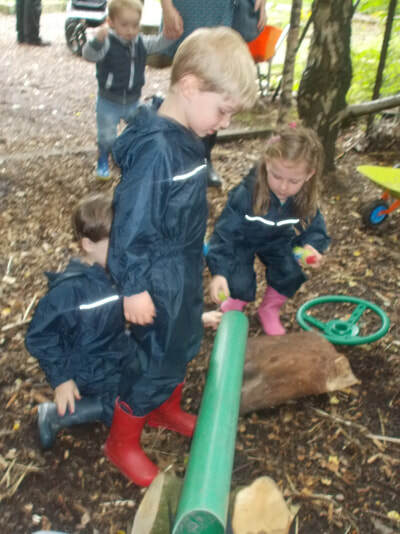 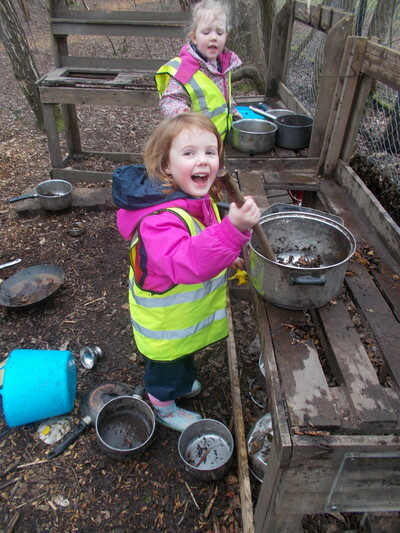 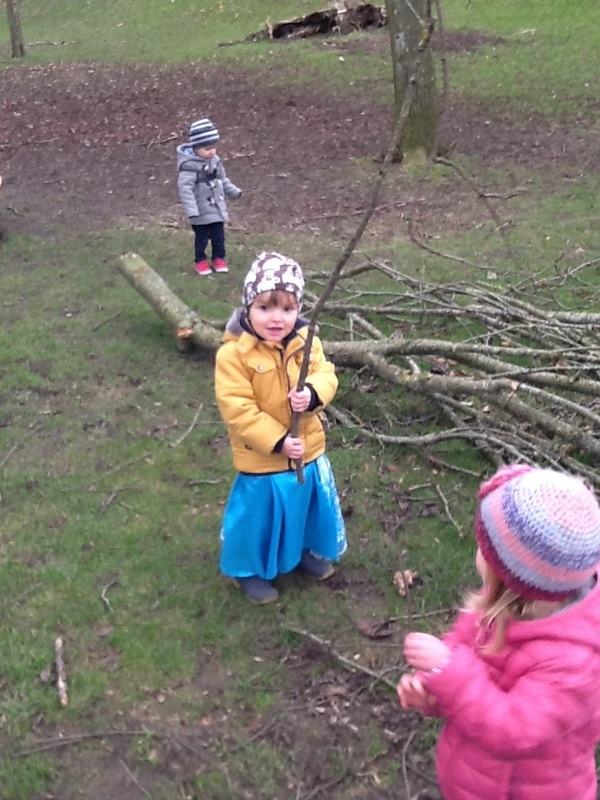 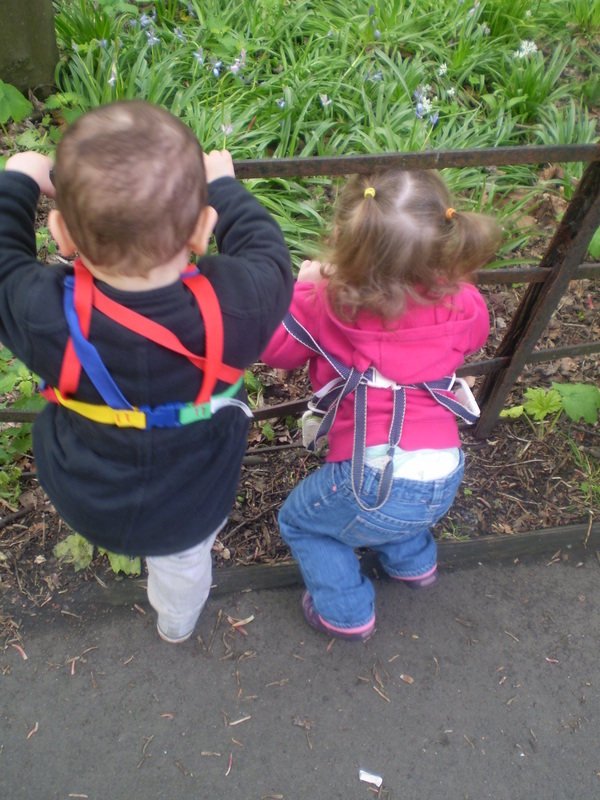 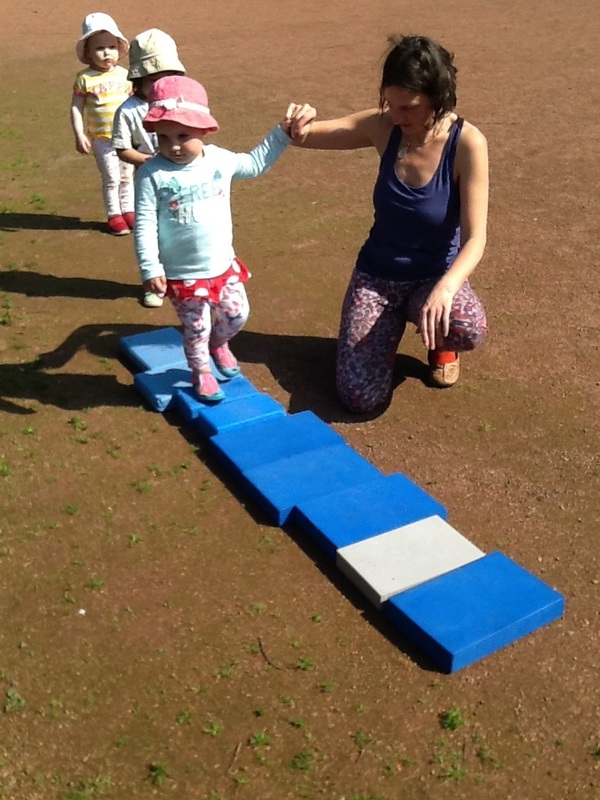 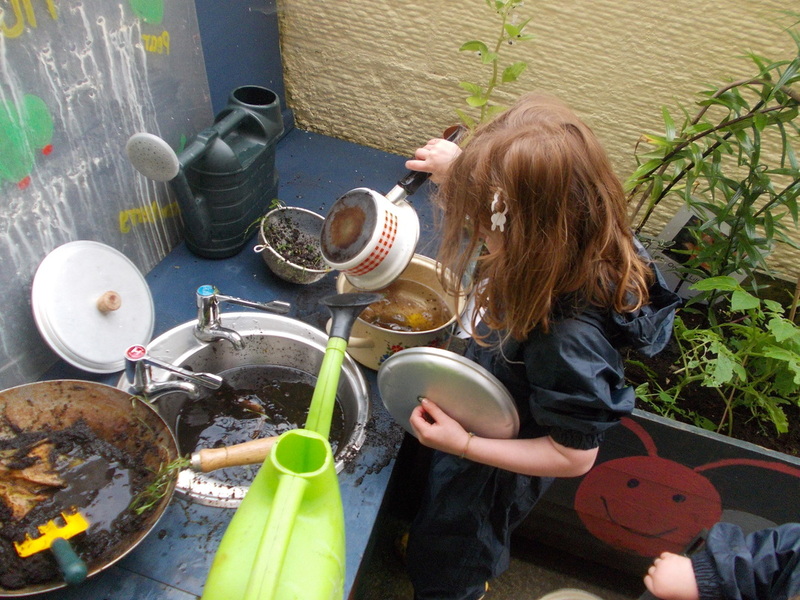 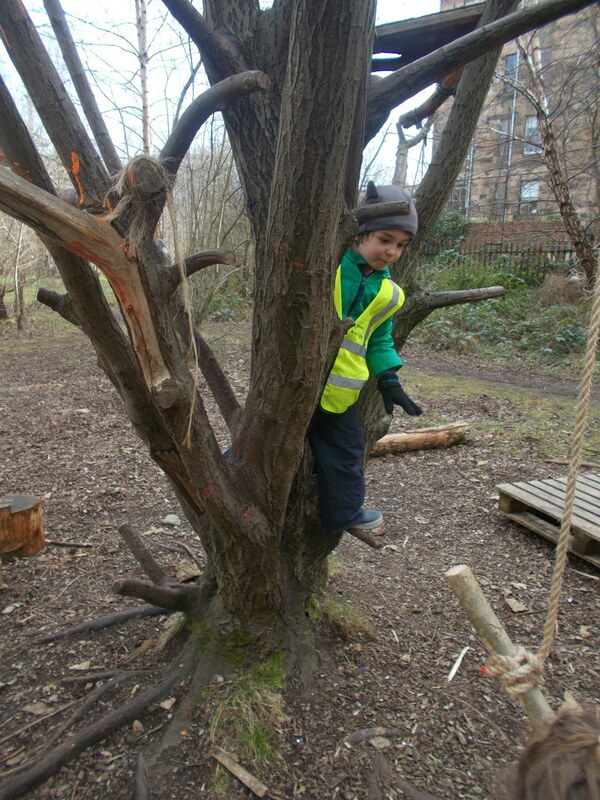 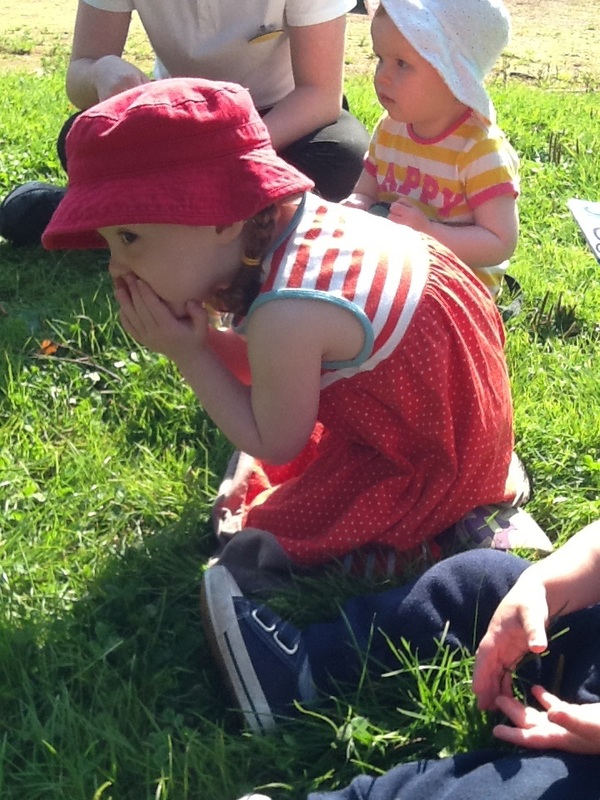 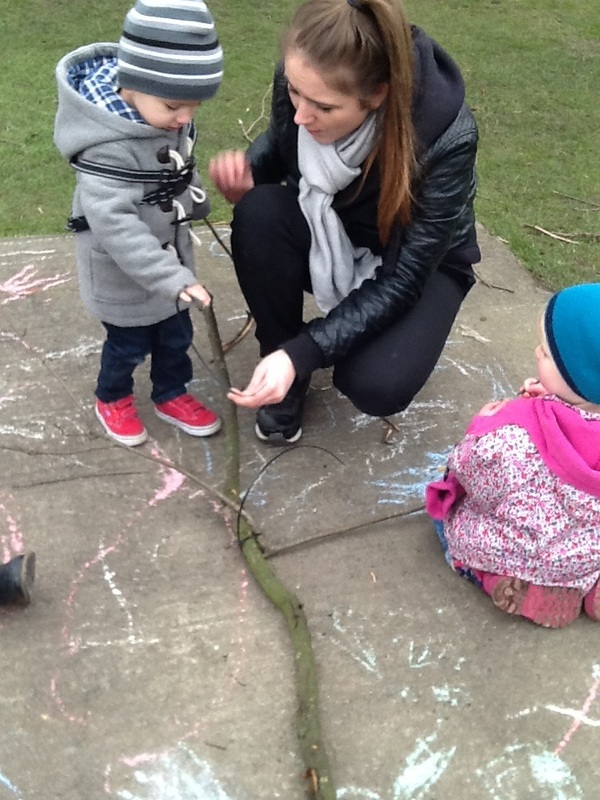 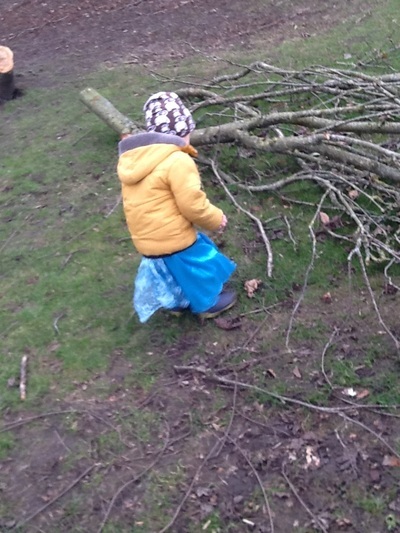 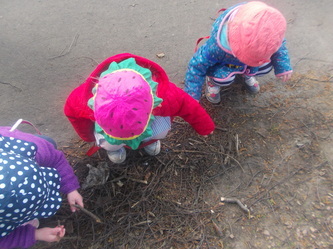 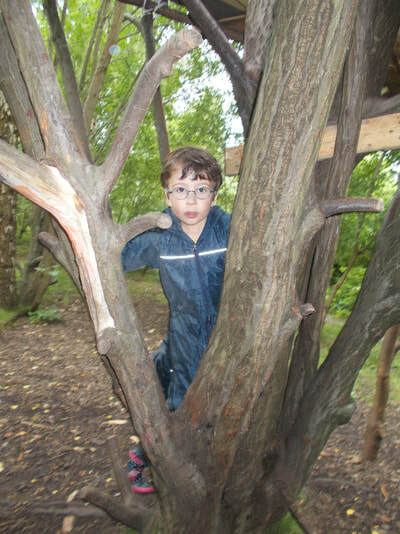 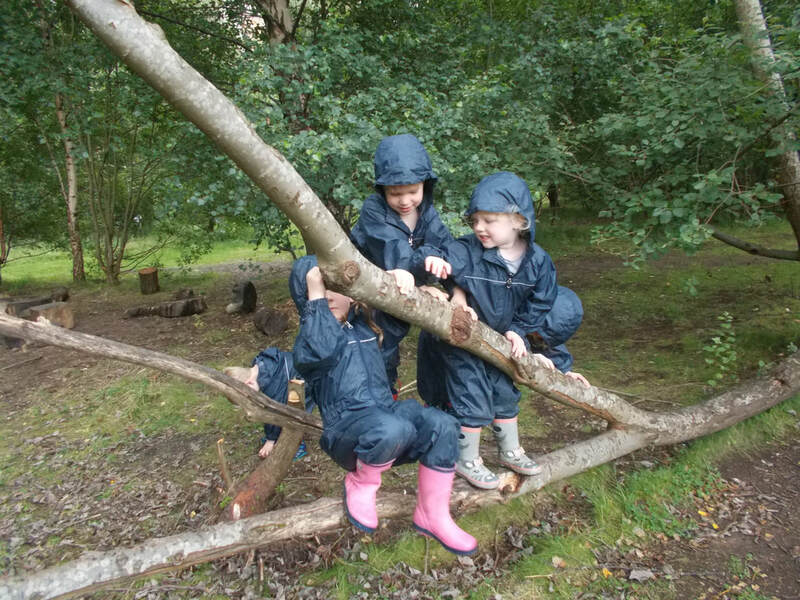 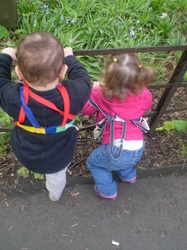 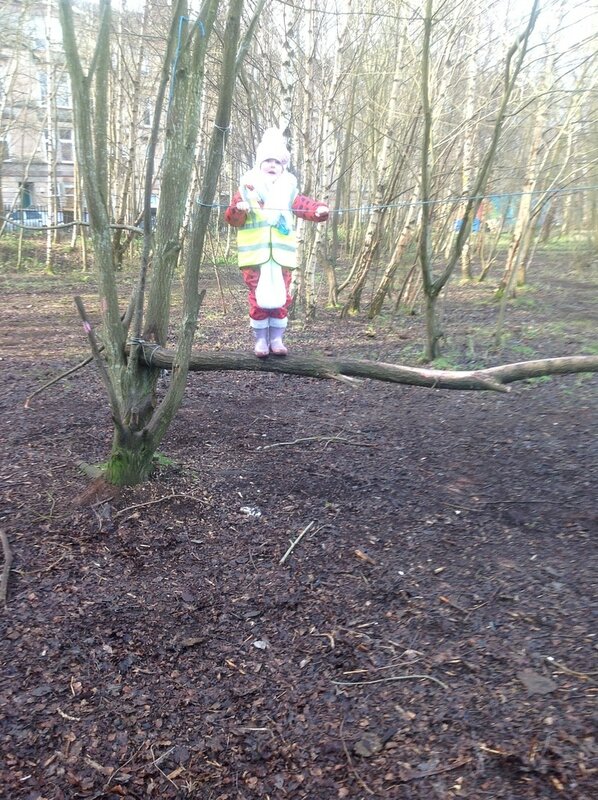 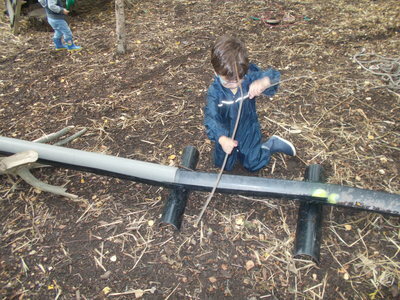 Outdoor Play at The Children's Wood. 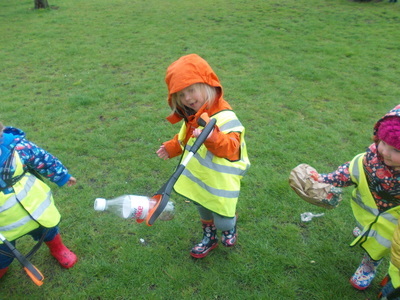 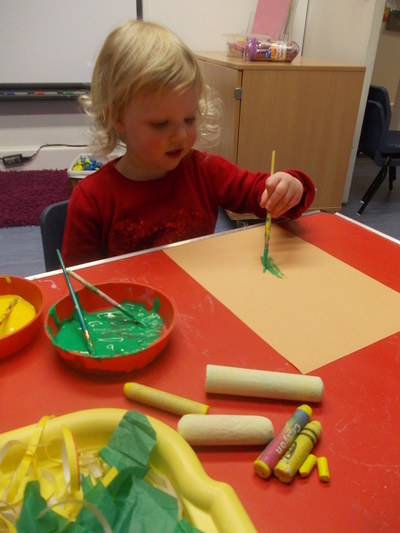 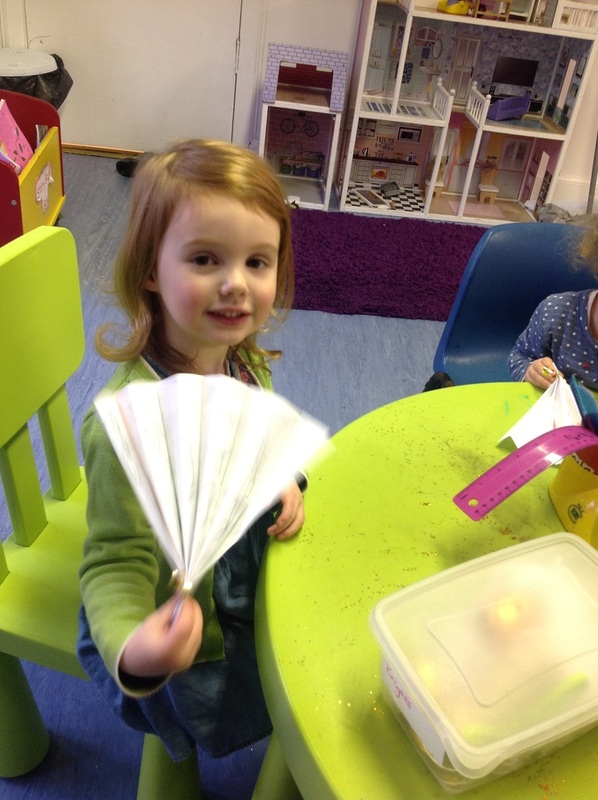 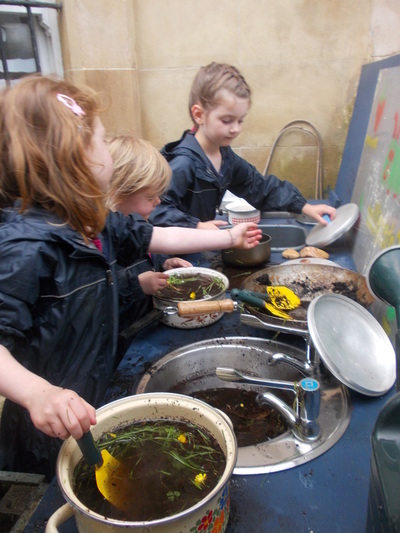 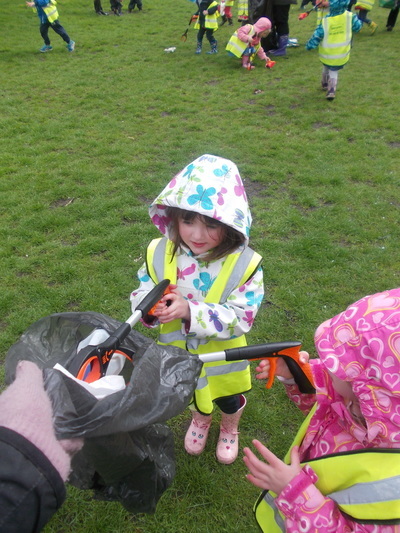 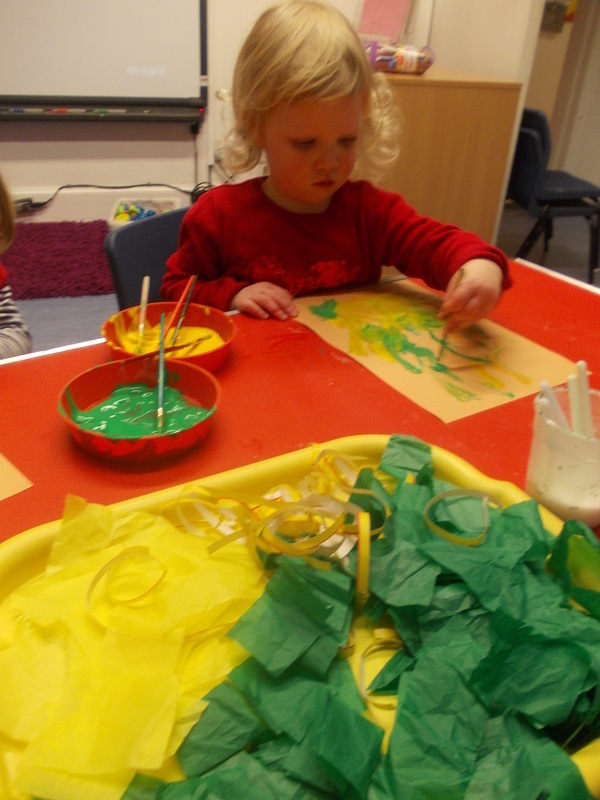 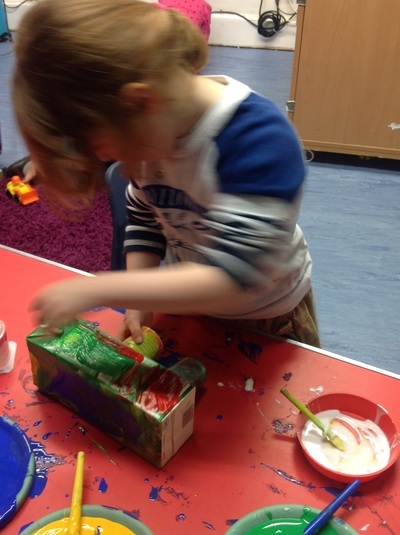 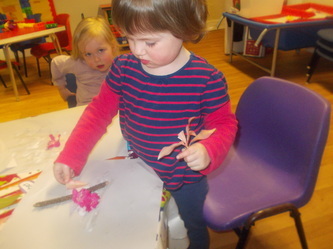 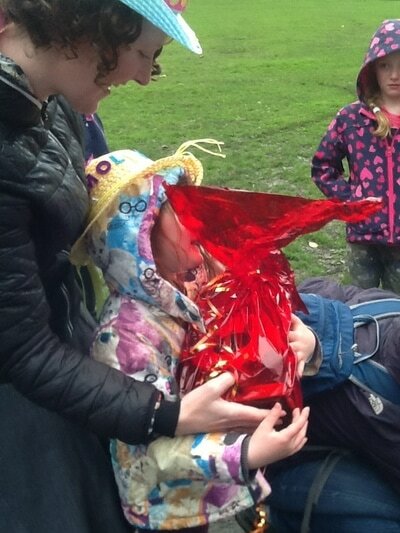 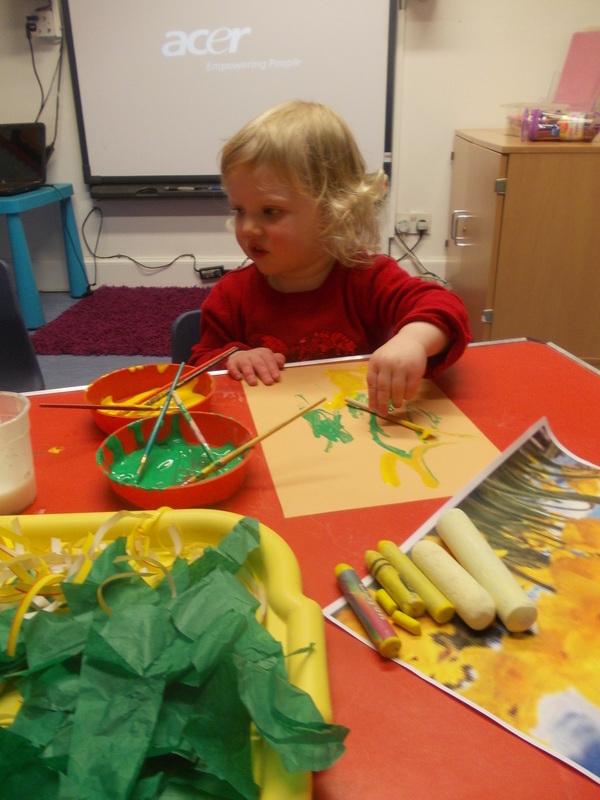 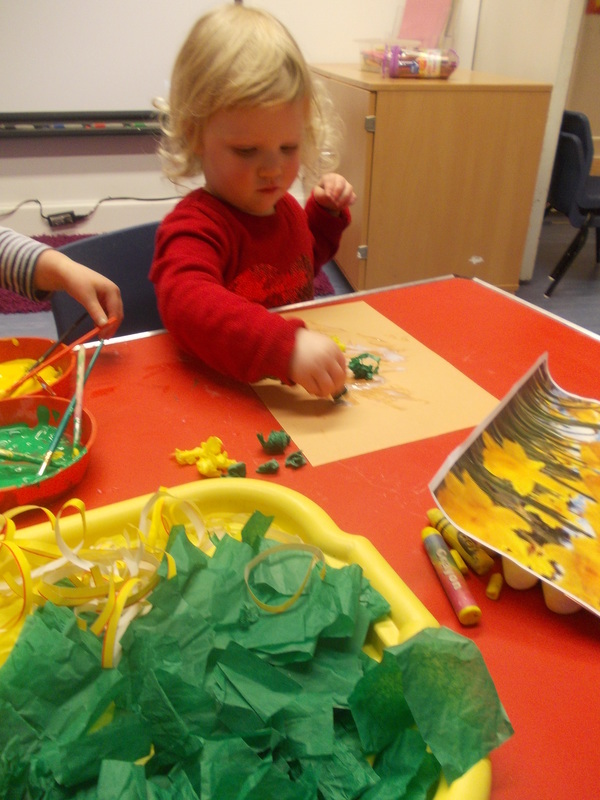 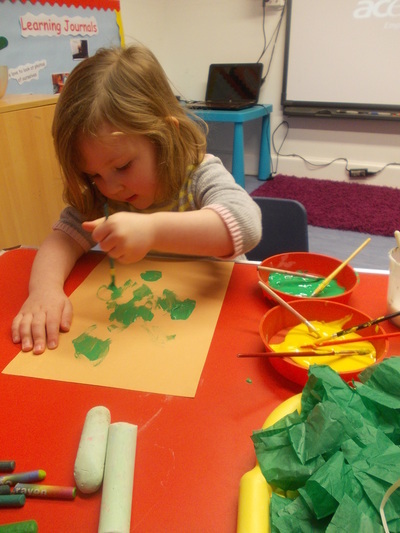 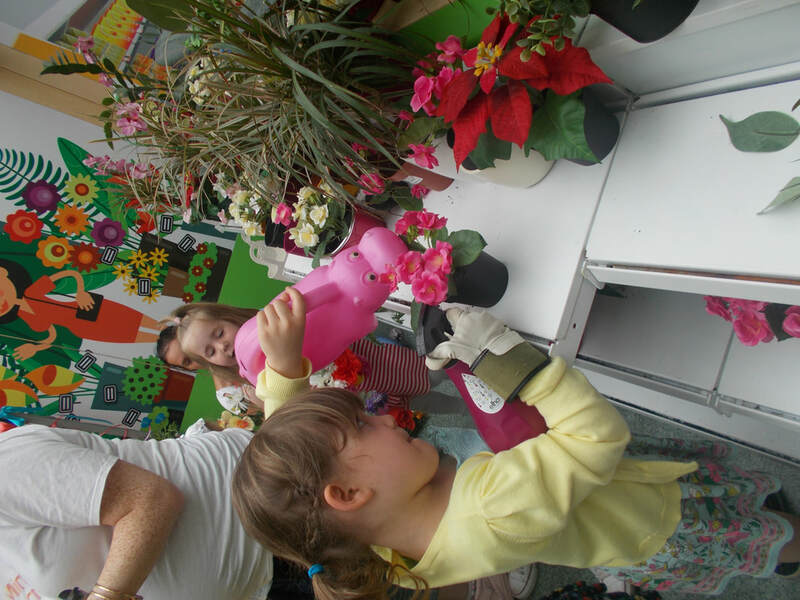 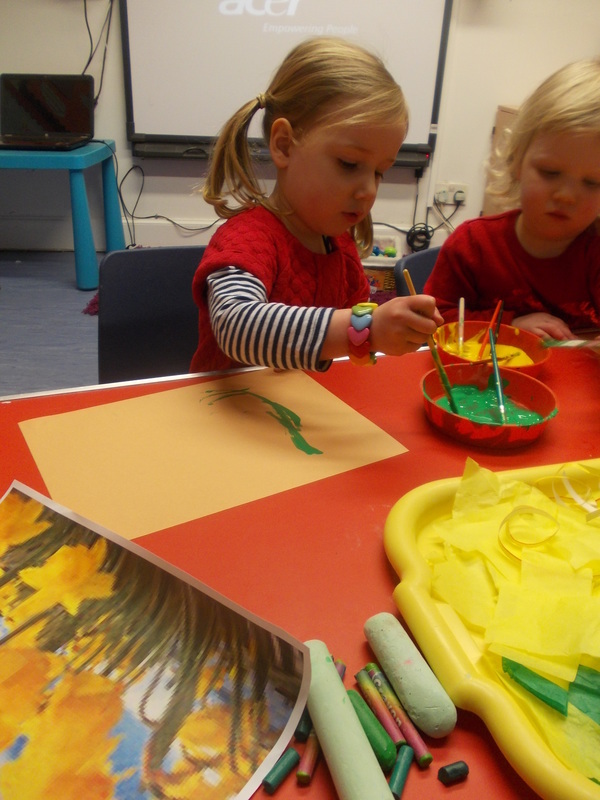 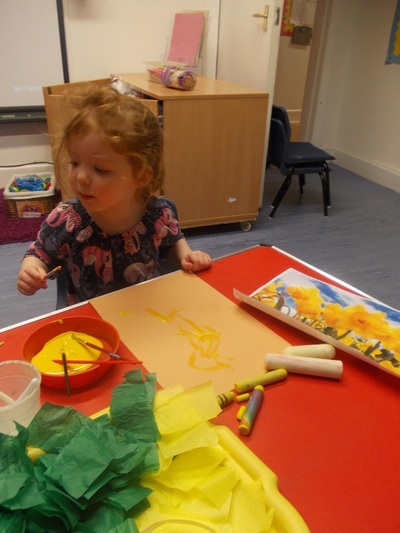 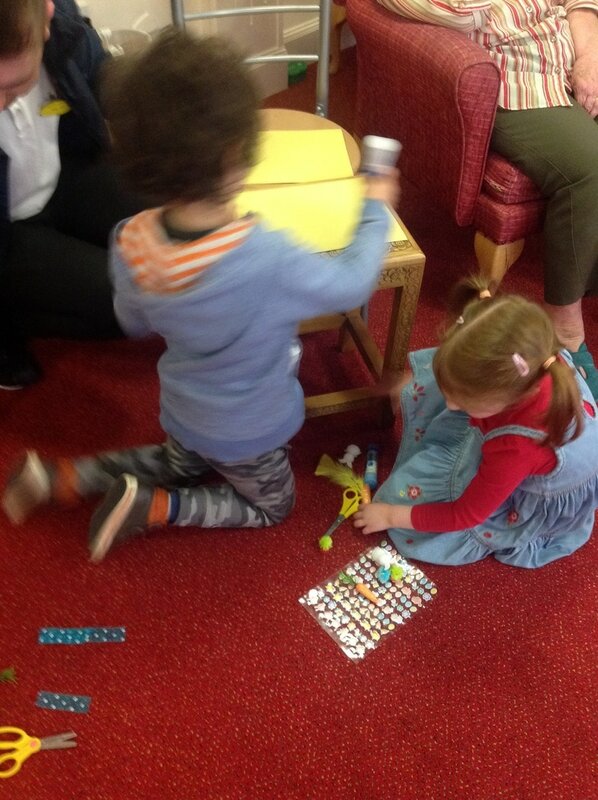 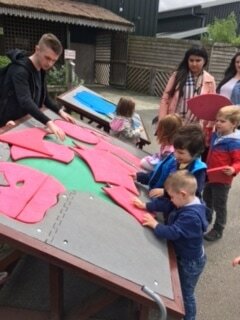 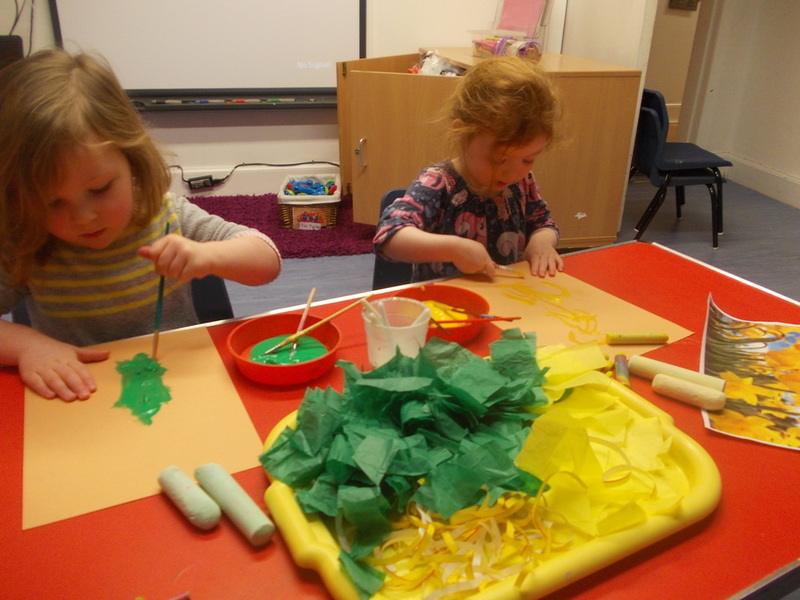 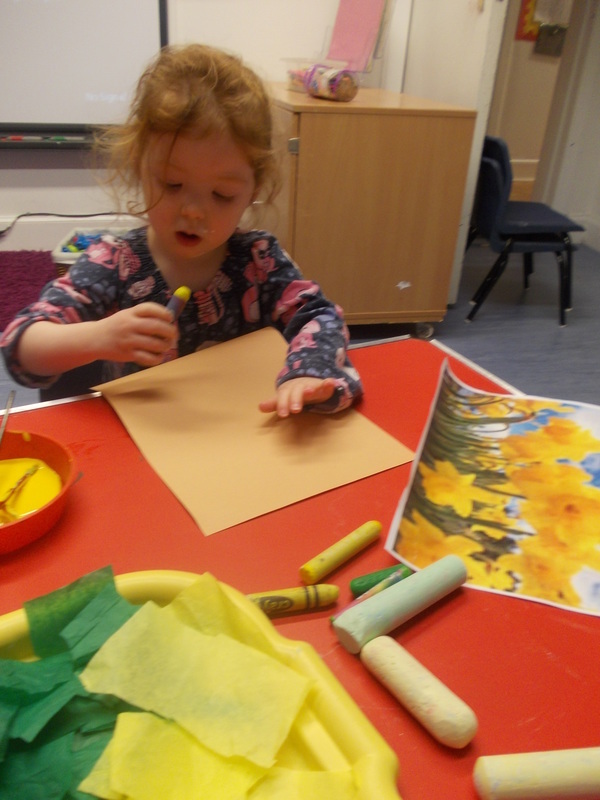 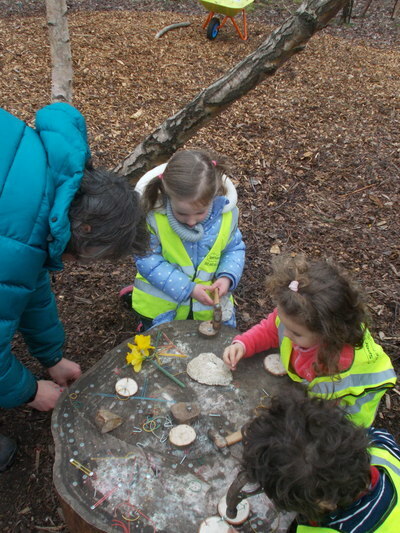 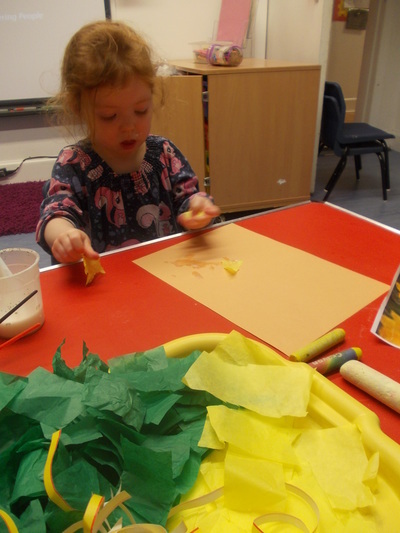 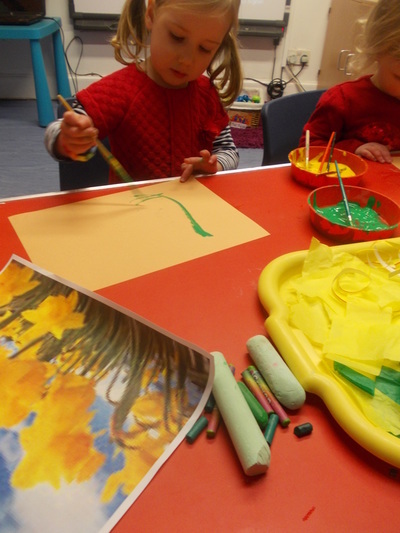 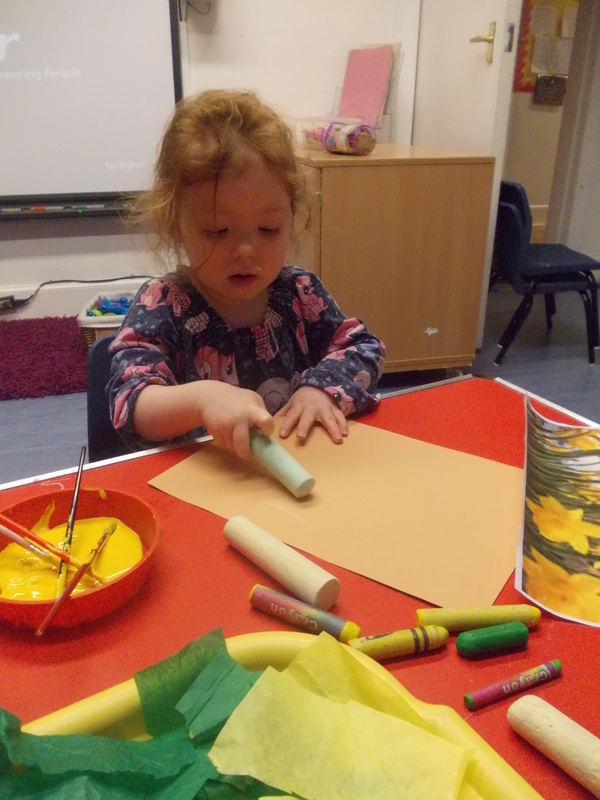 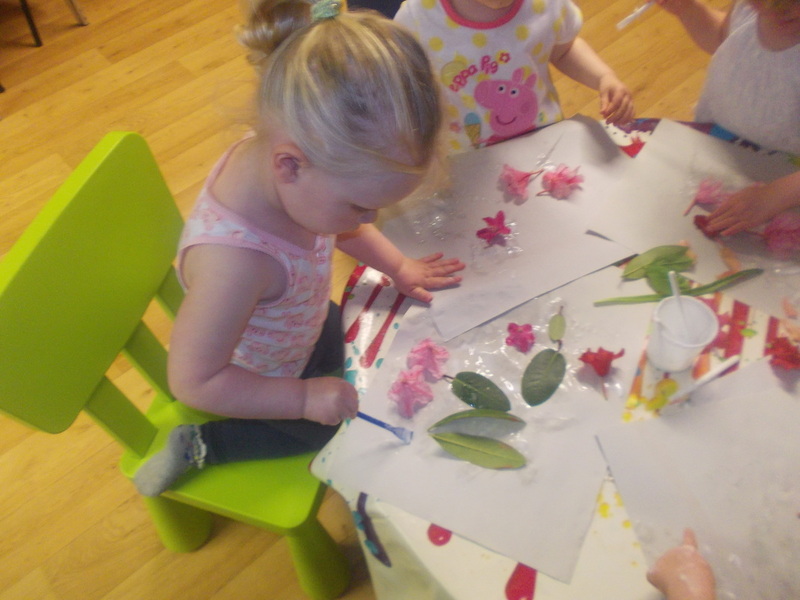 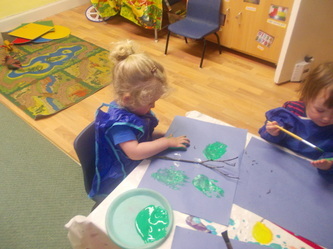 The children choose from a variety of resources to make their own spring Daffodil! The Tweenies are building a den in the park!